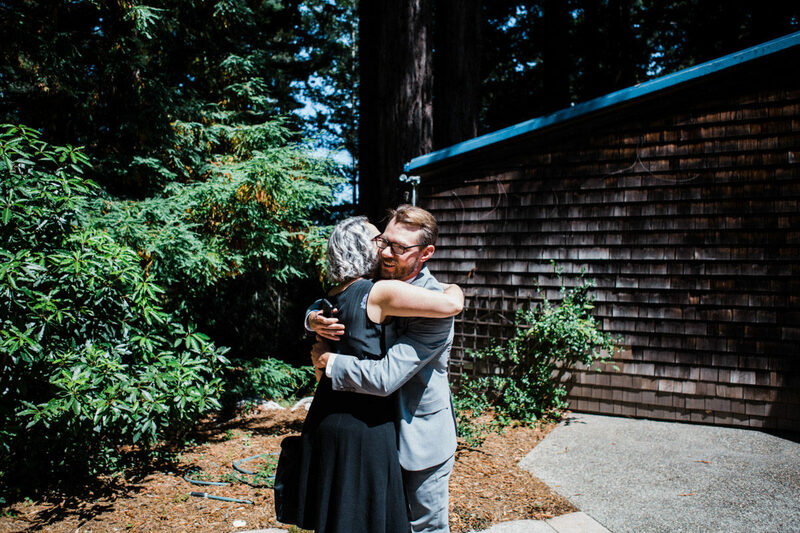 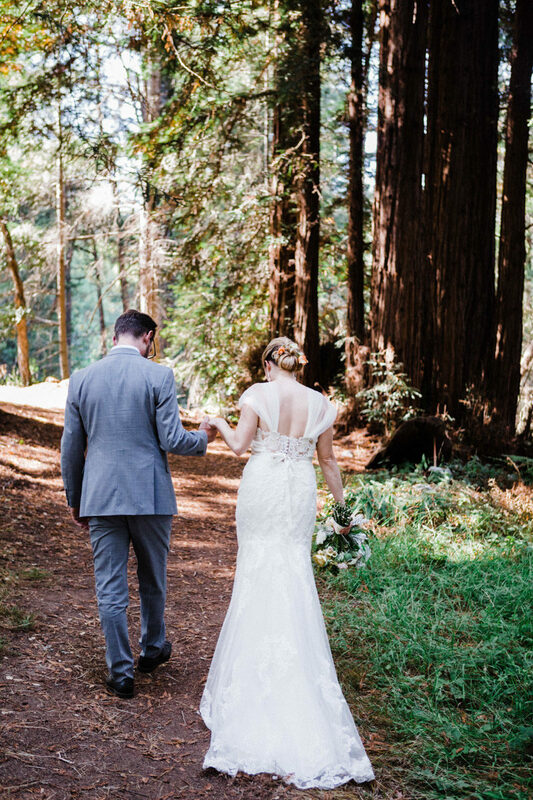 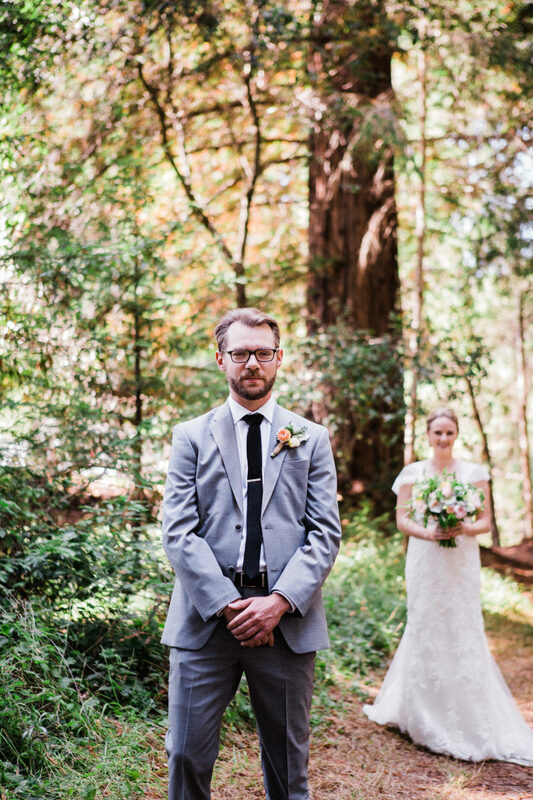 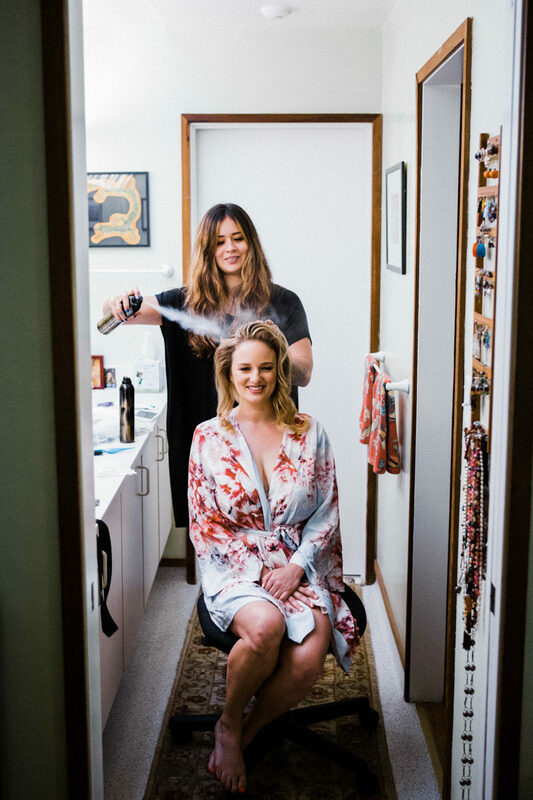 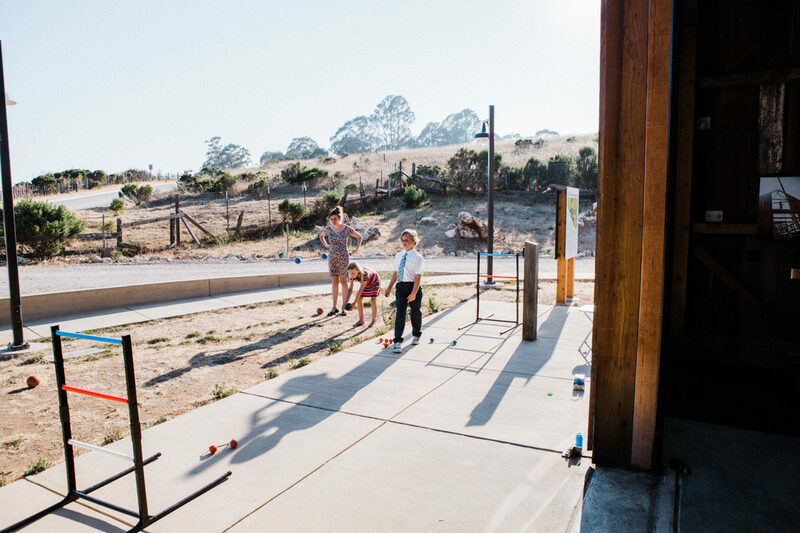 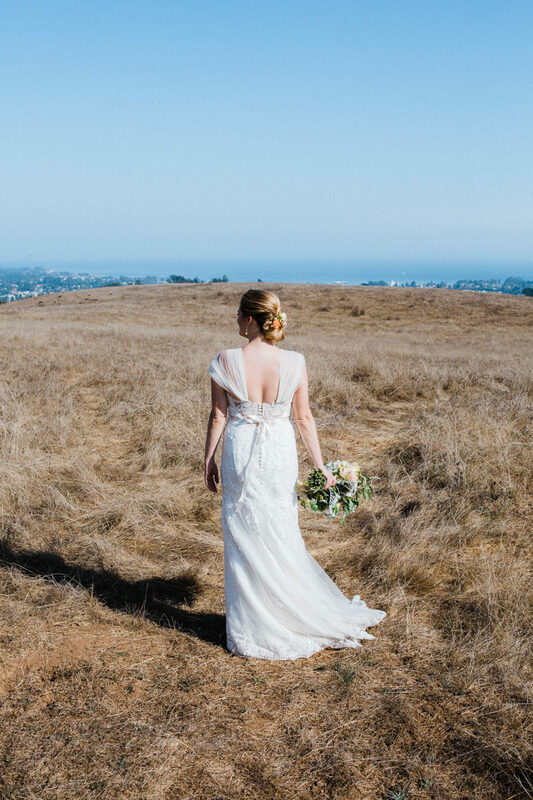 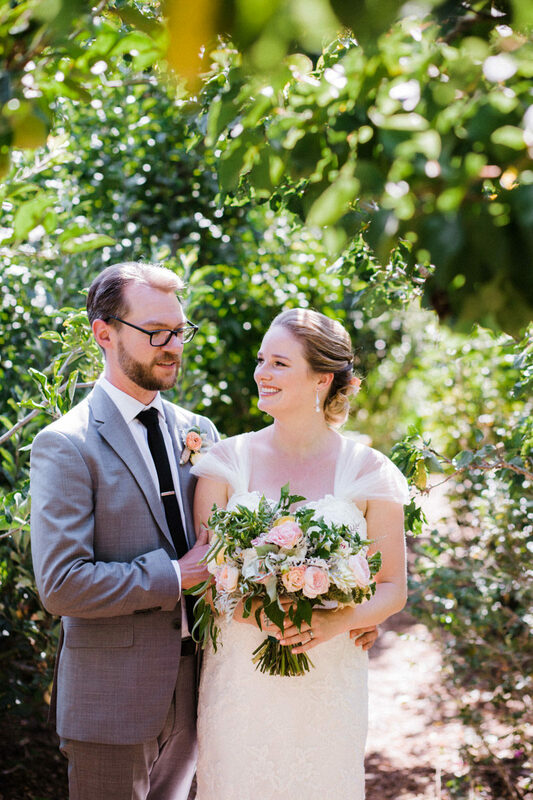 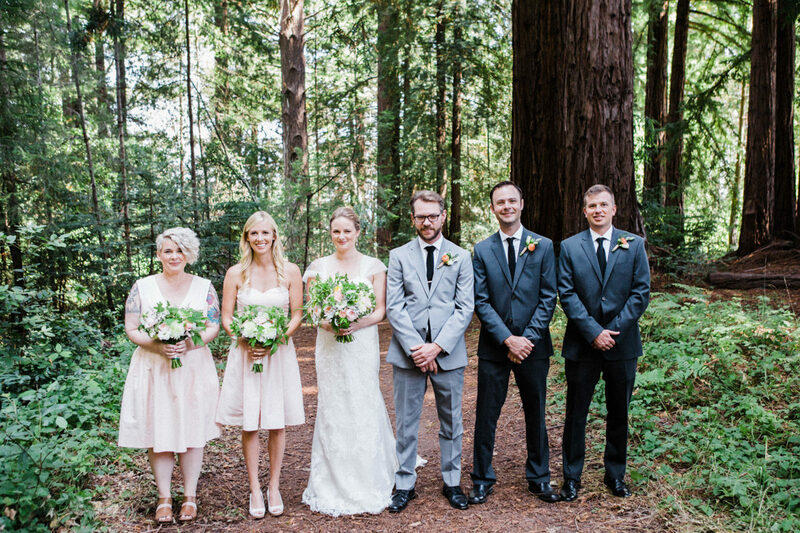 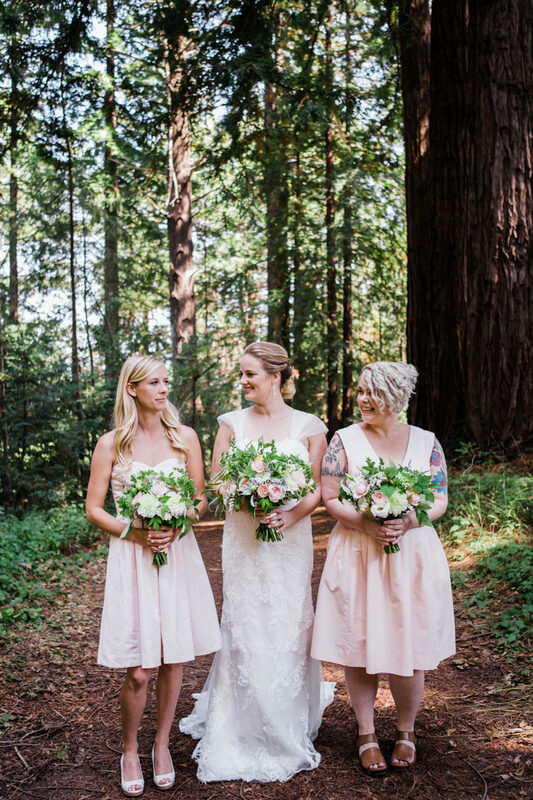 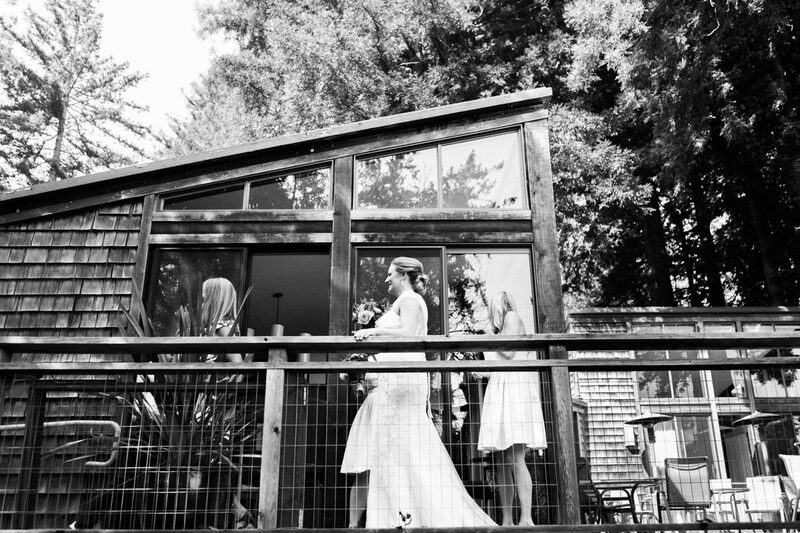 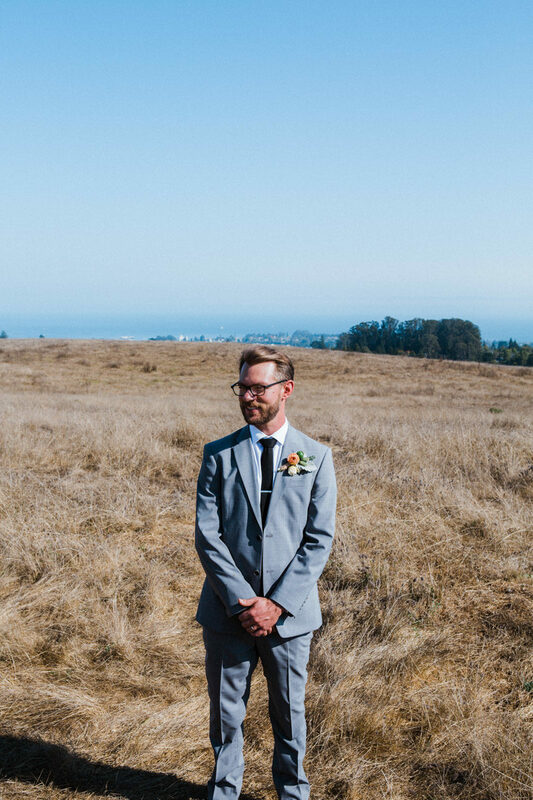 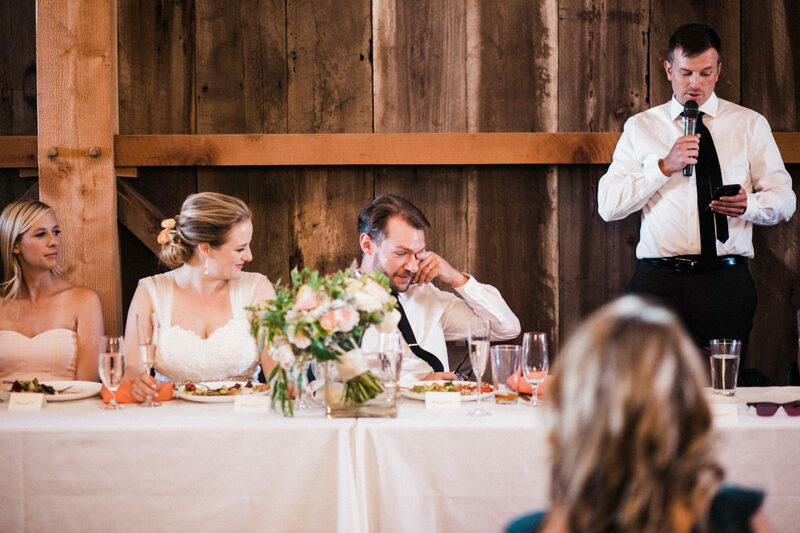 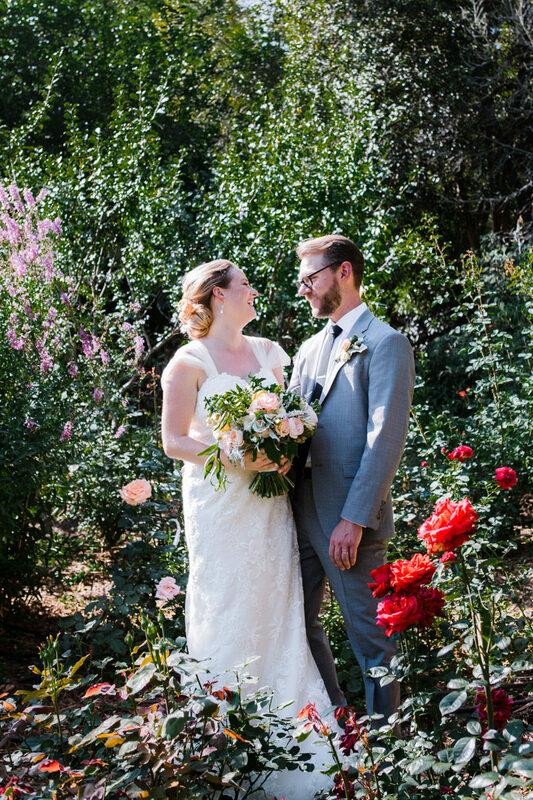 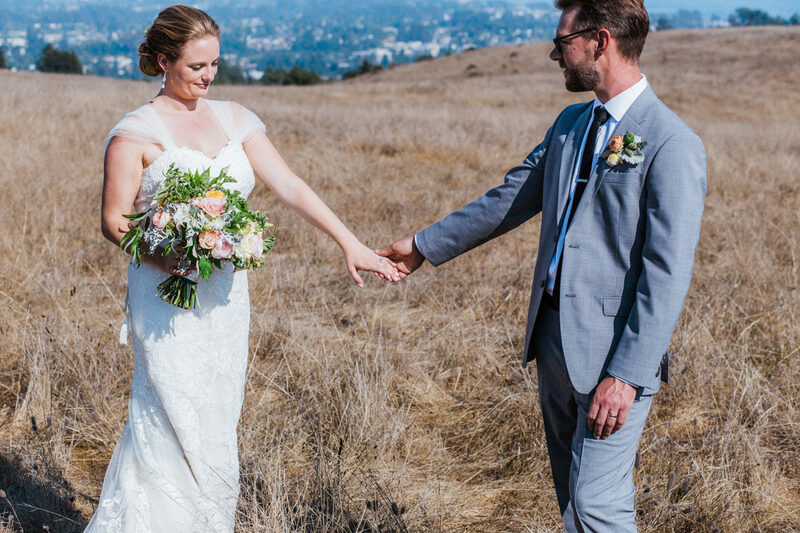 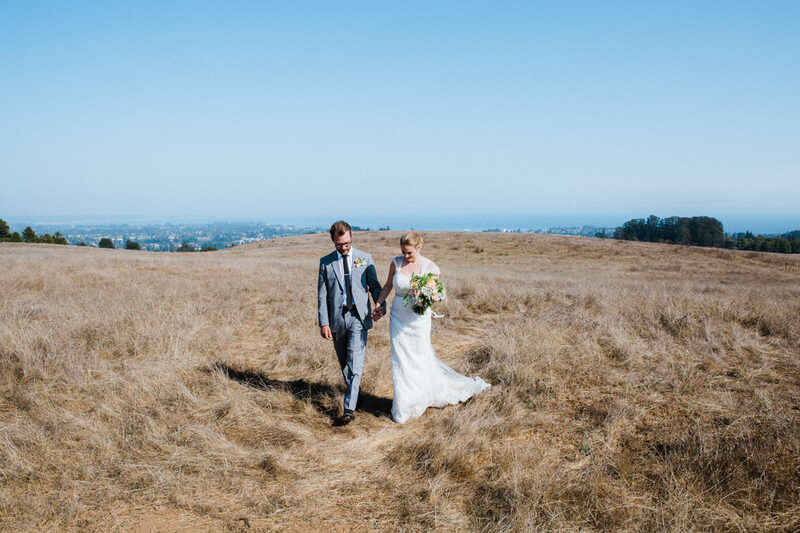 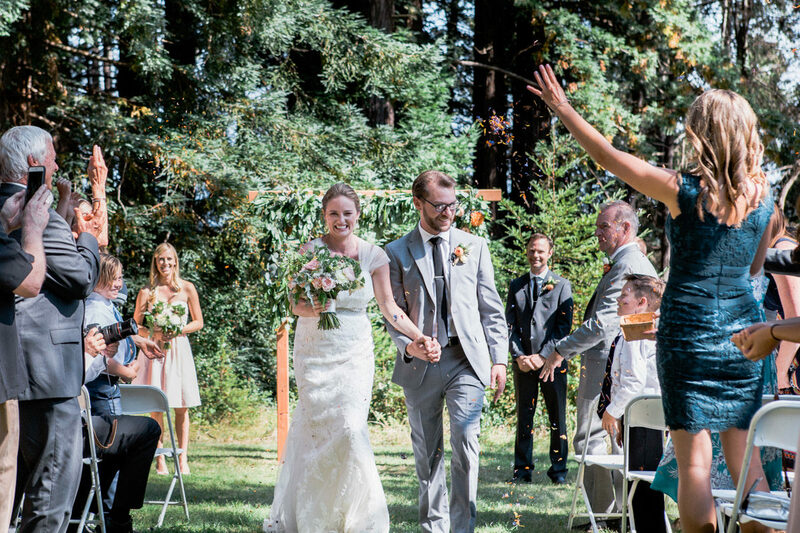 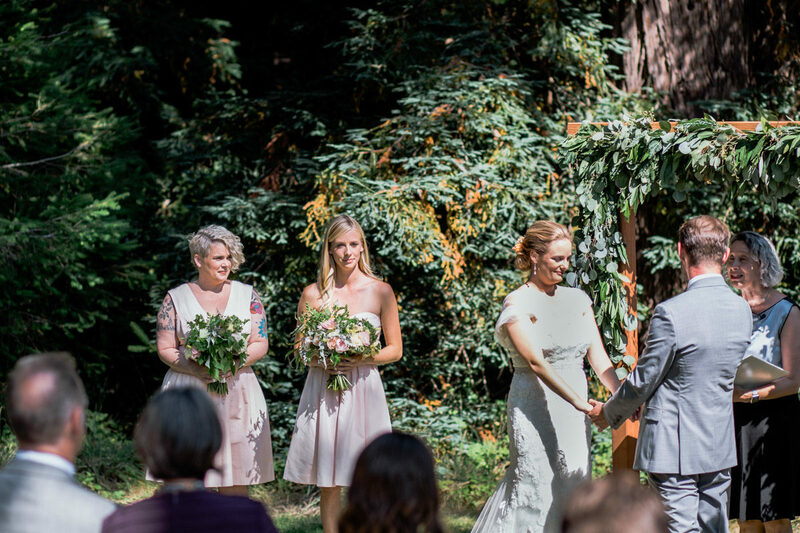 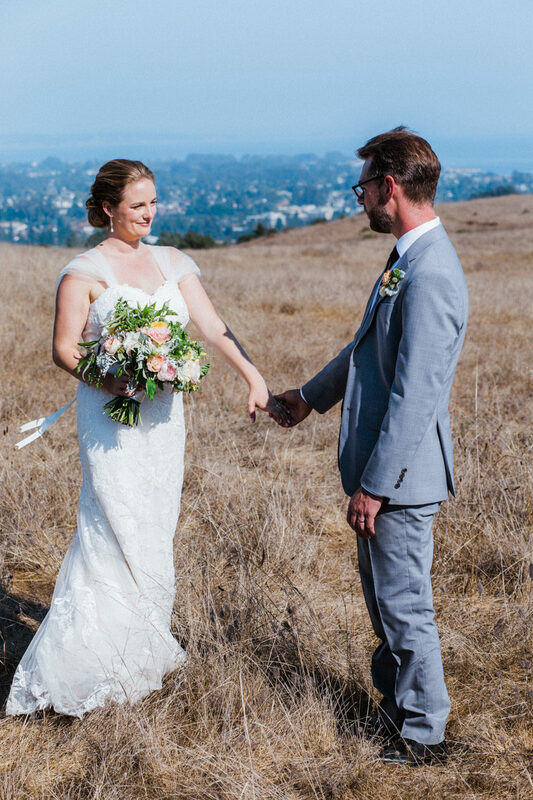 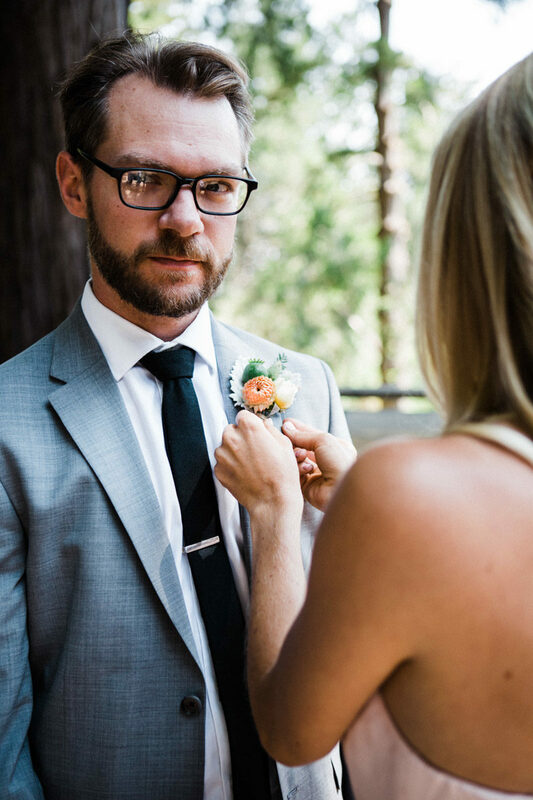 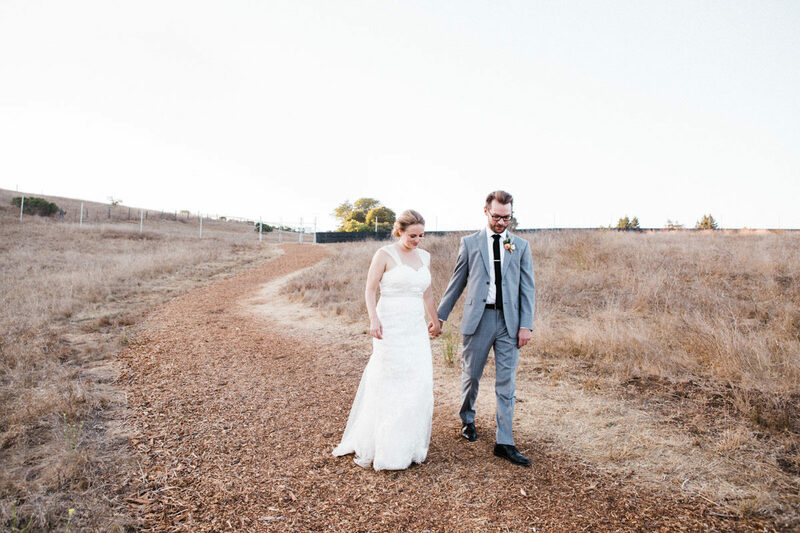 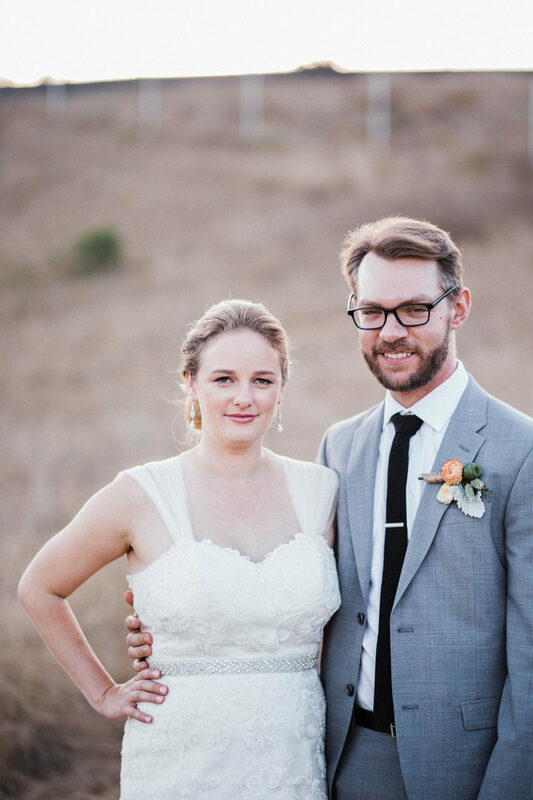 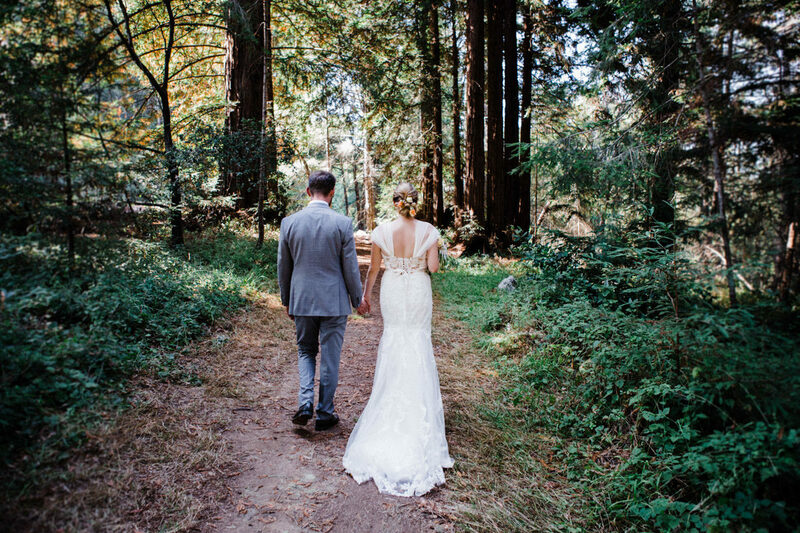 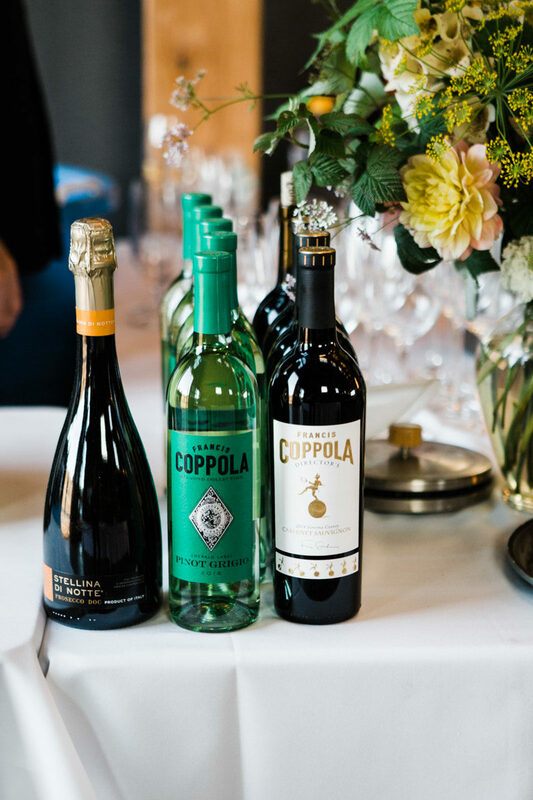 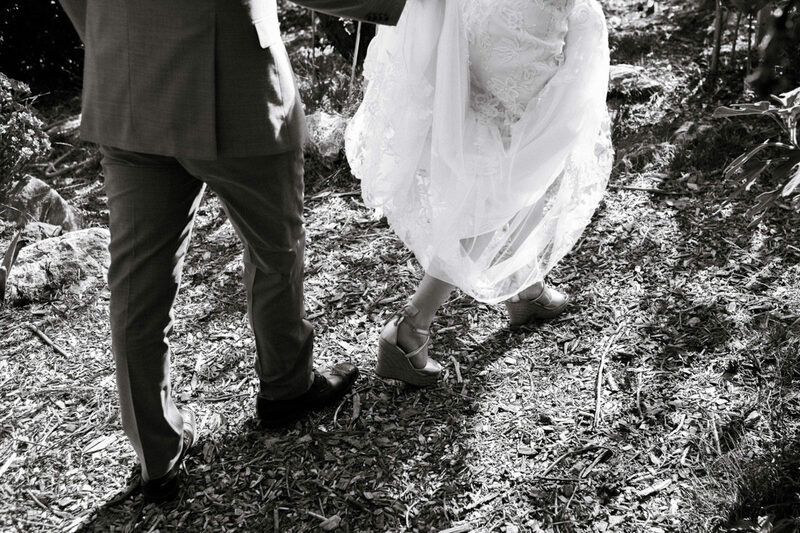 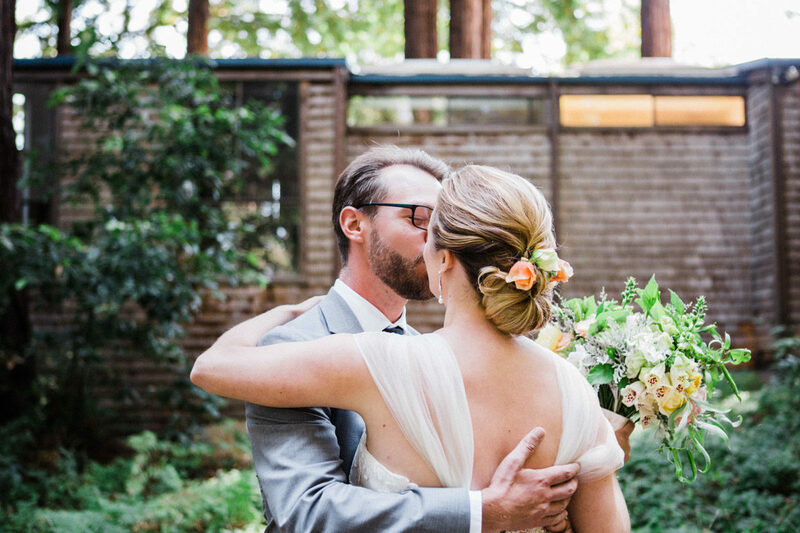 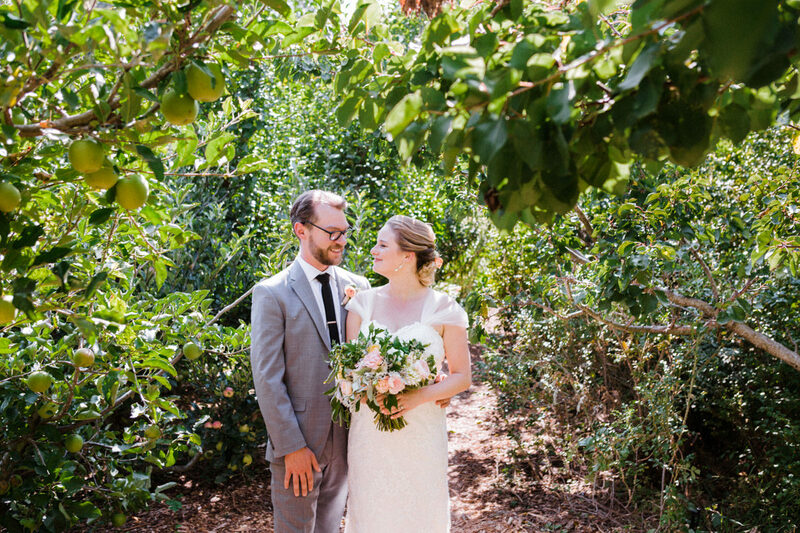 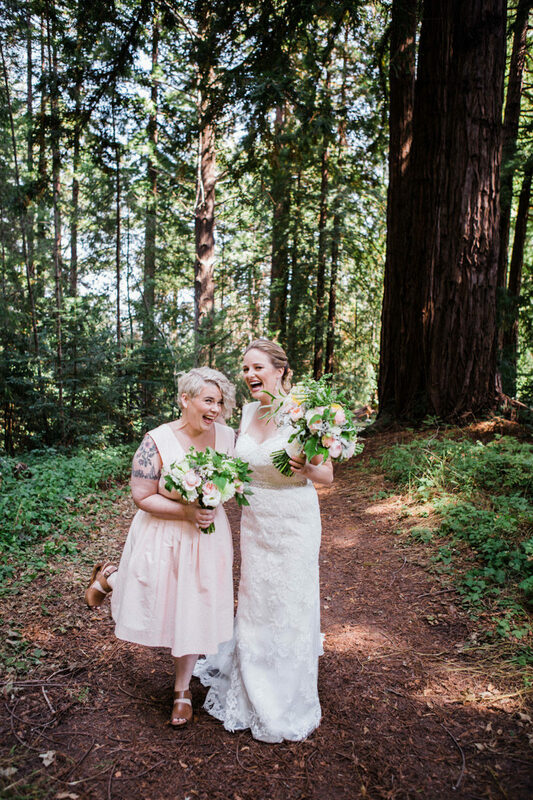 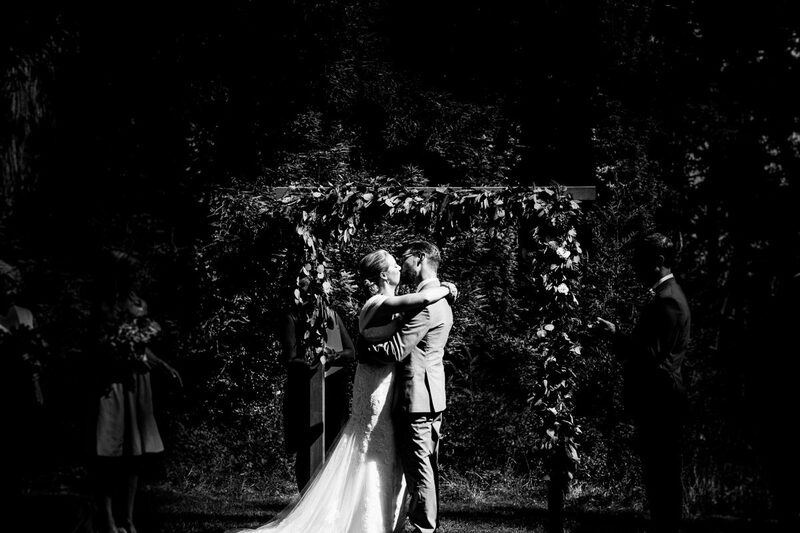 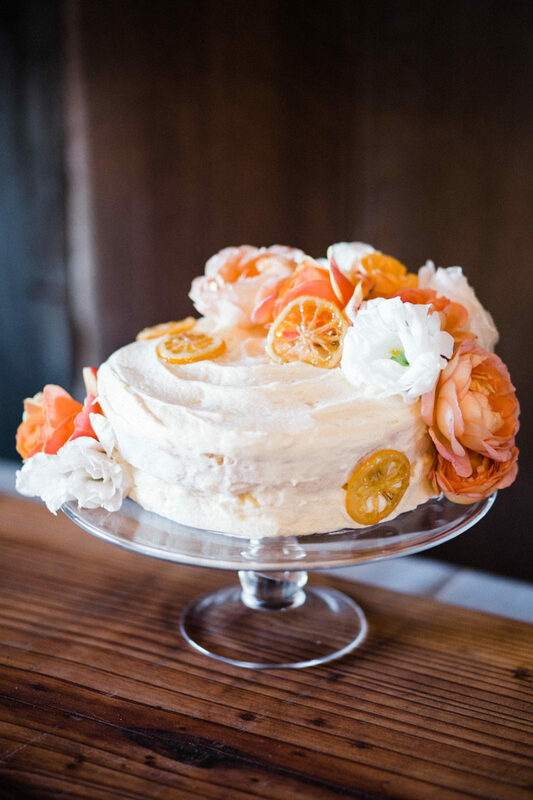 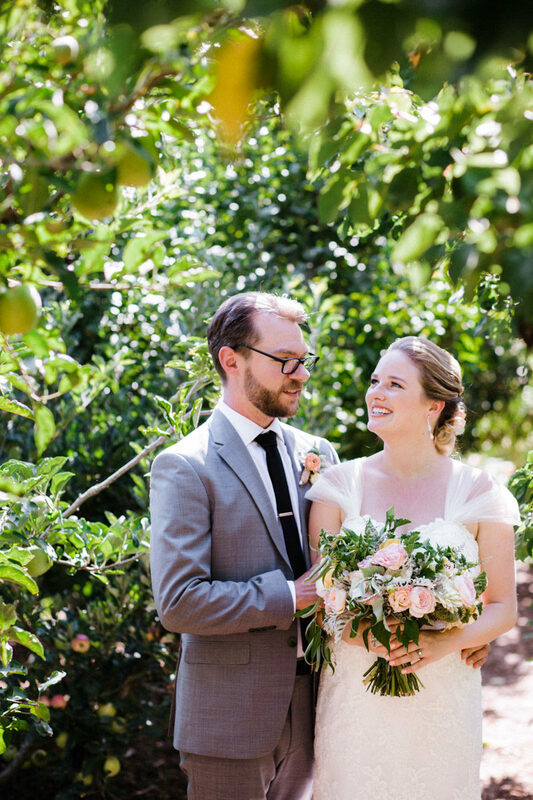 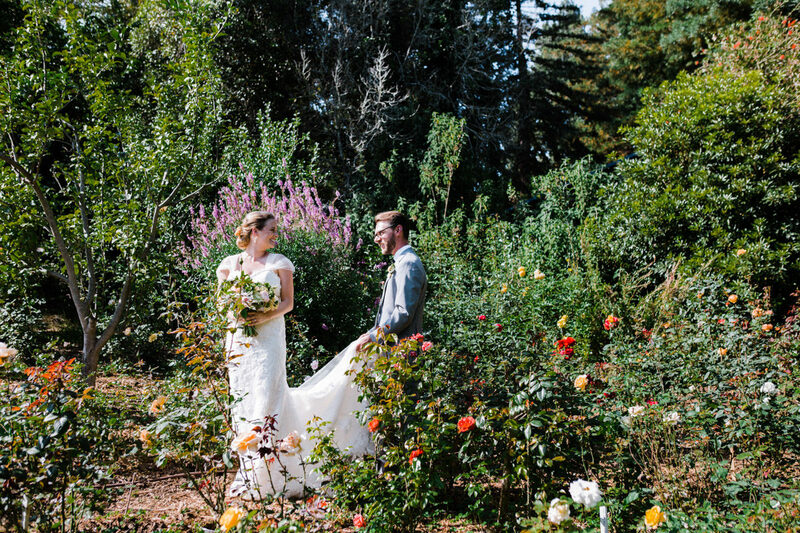 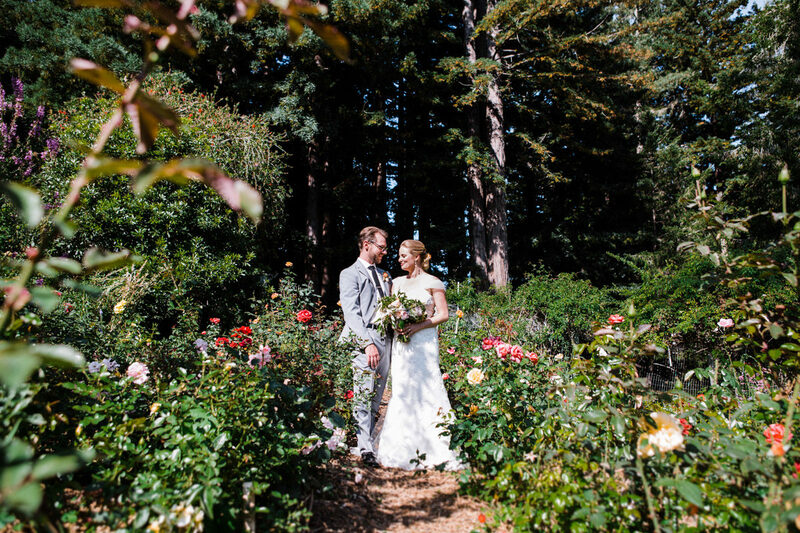 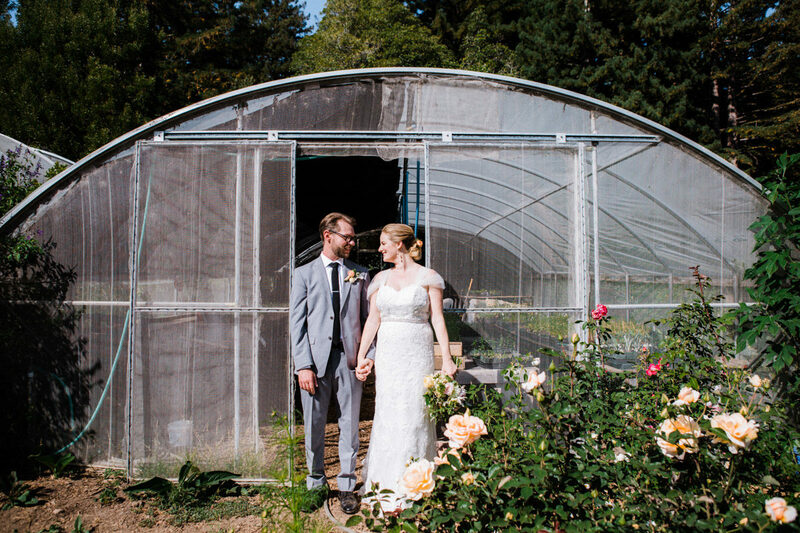 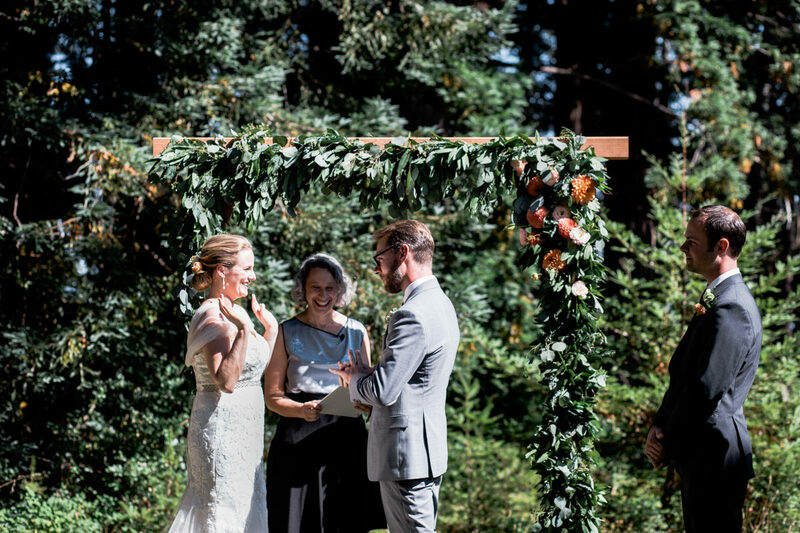 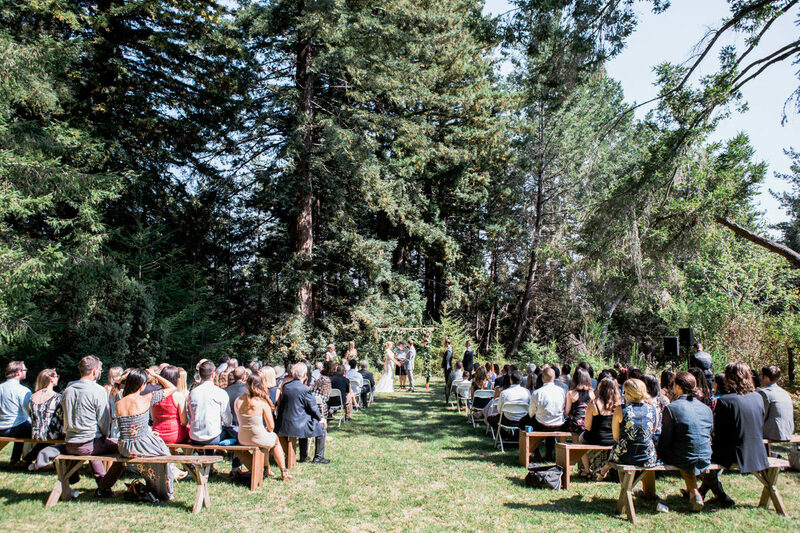 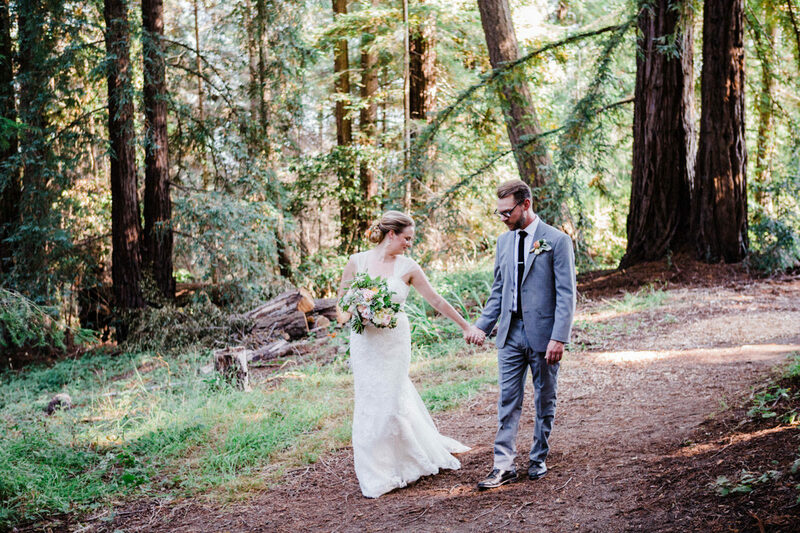 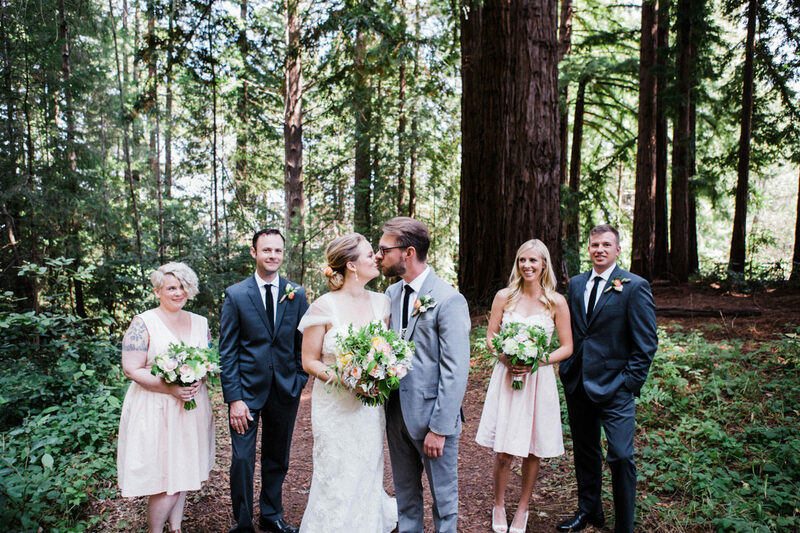 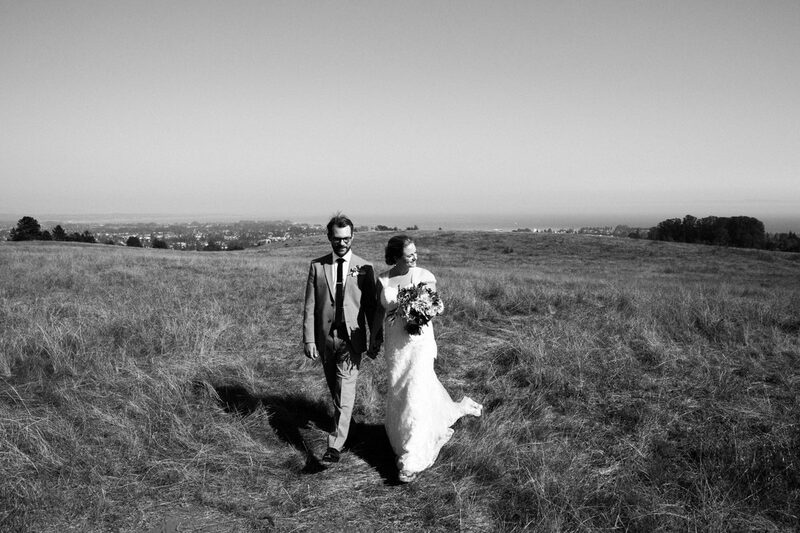 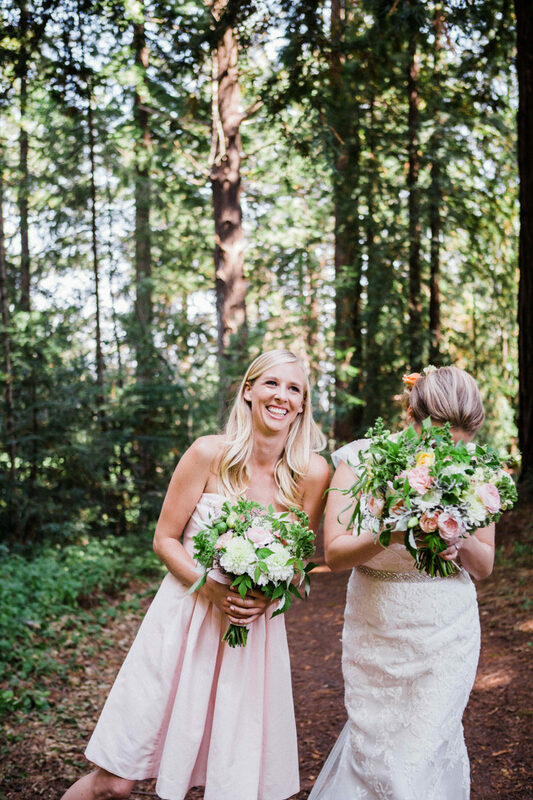 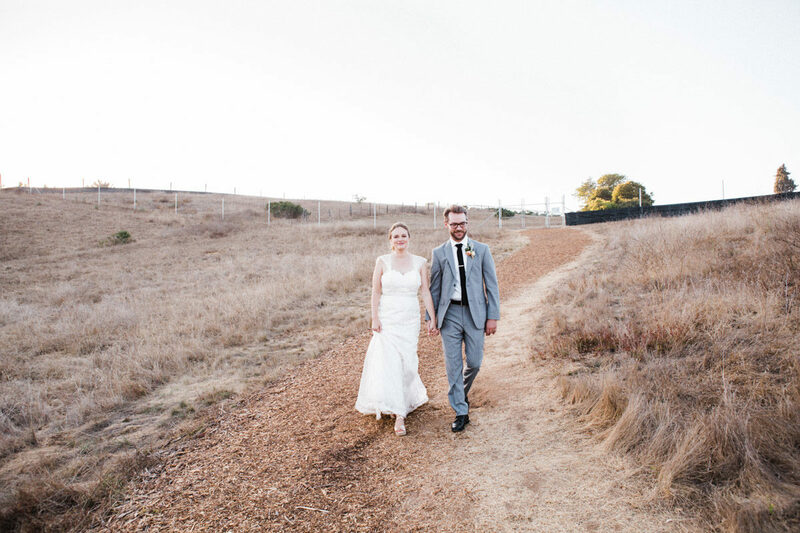 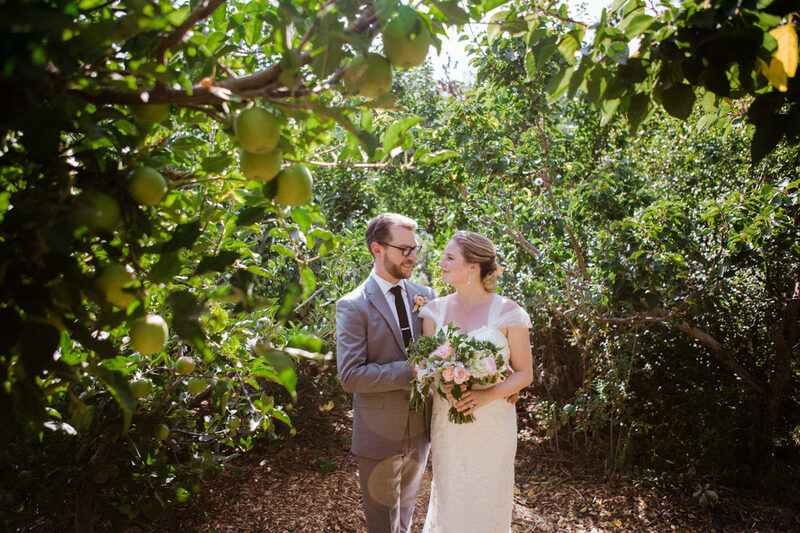 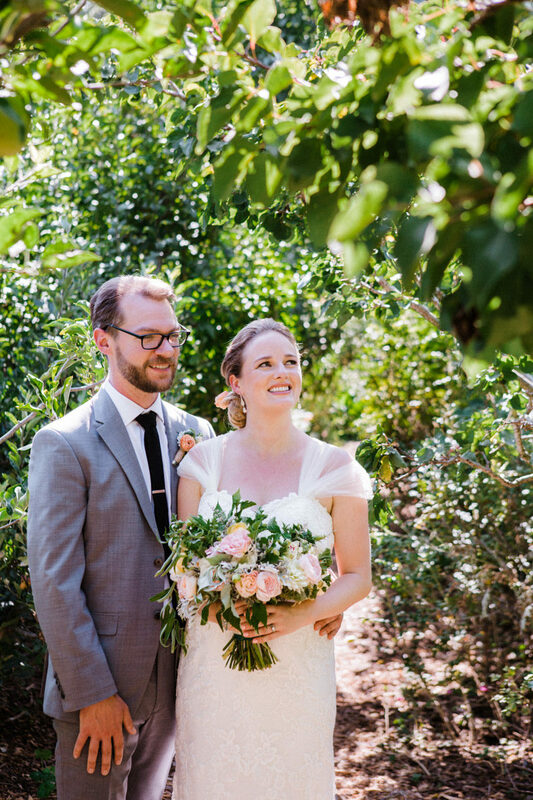 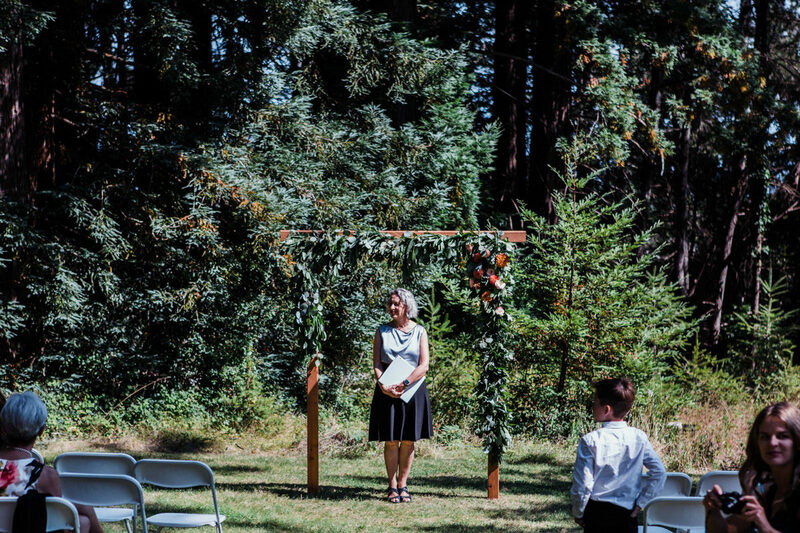 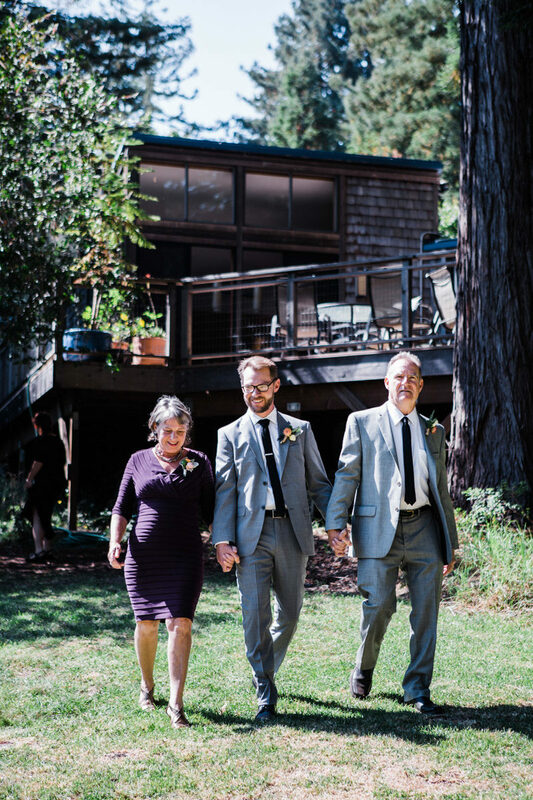 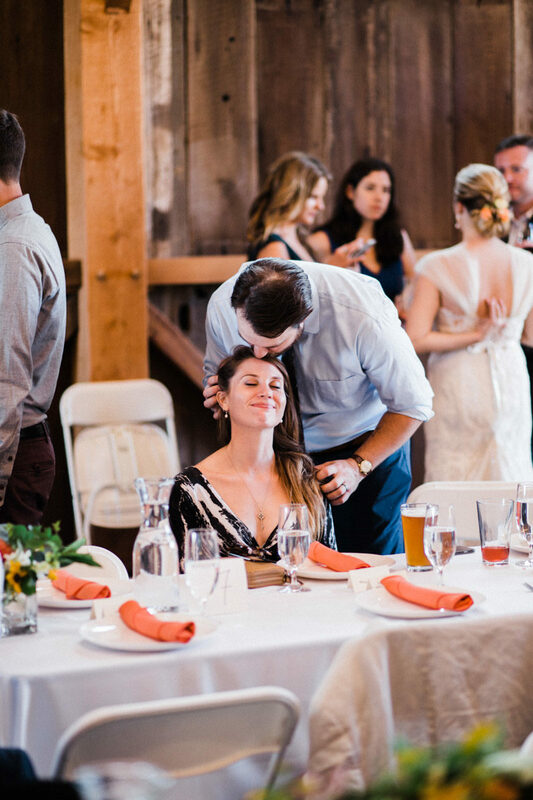 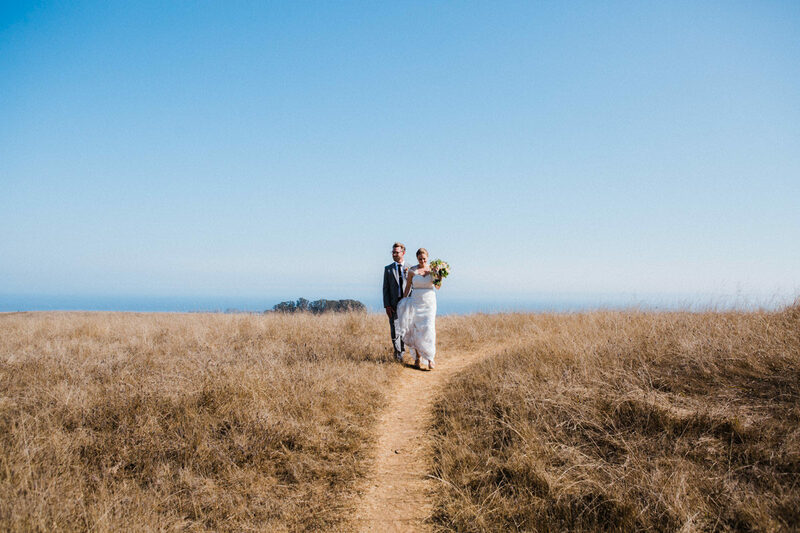 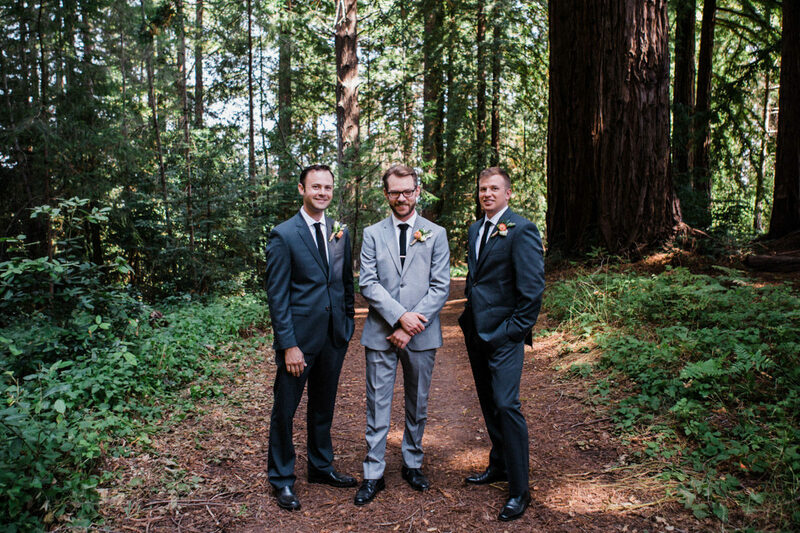 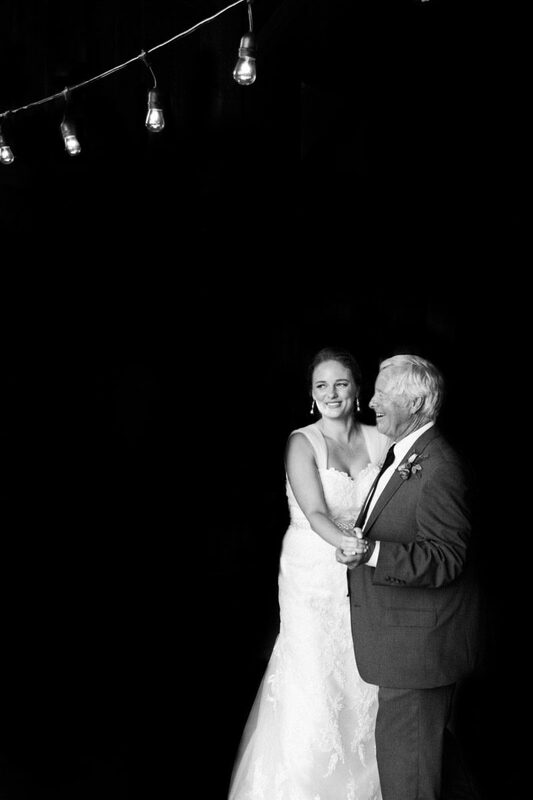 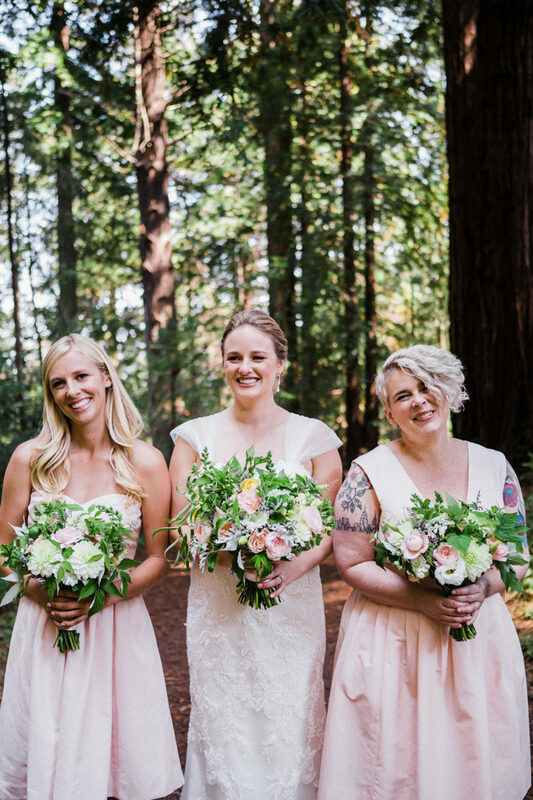 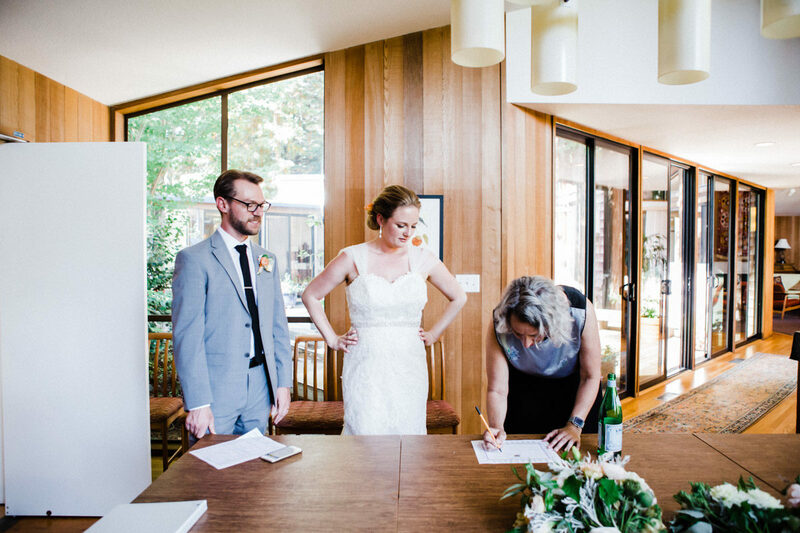 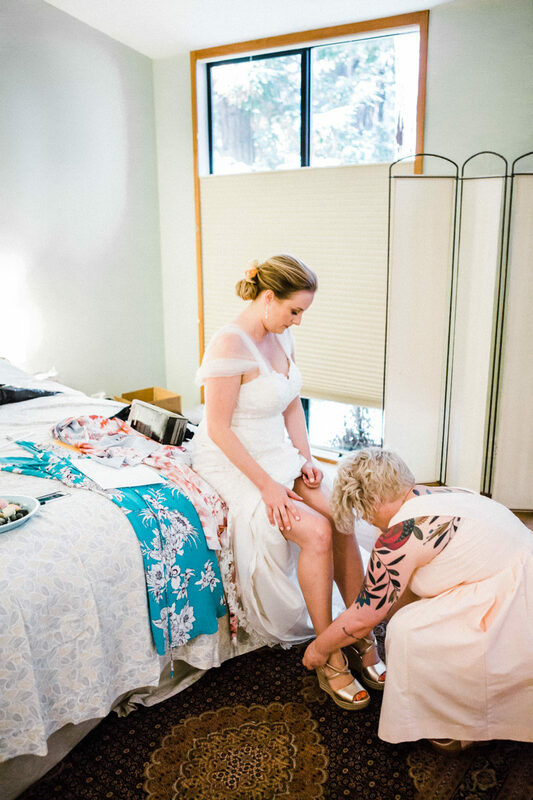 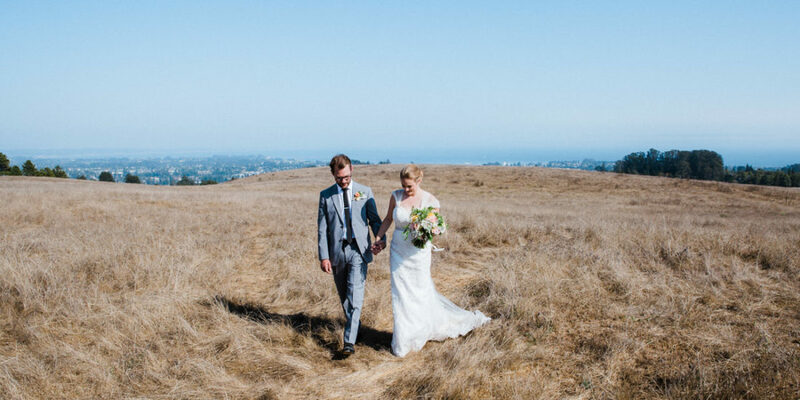 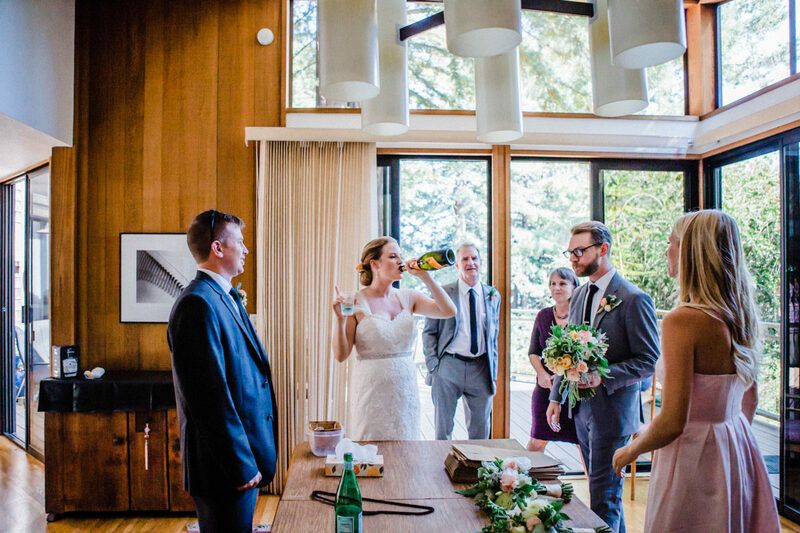 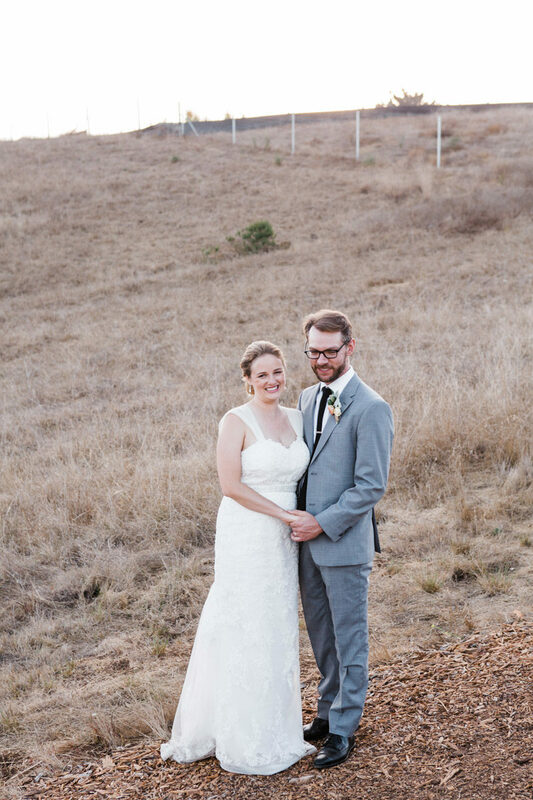 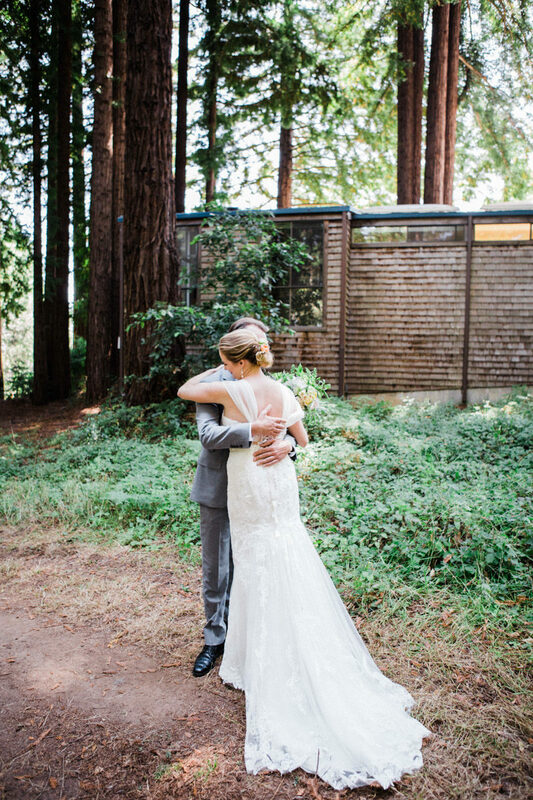 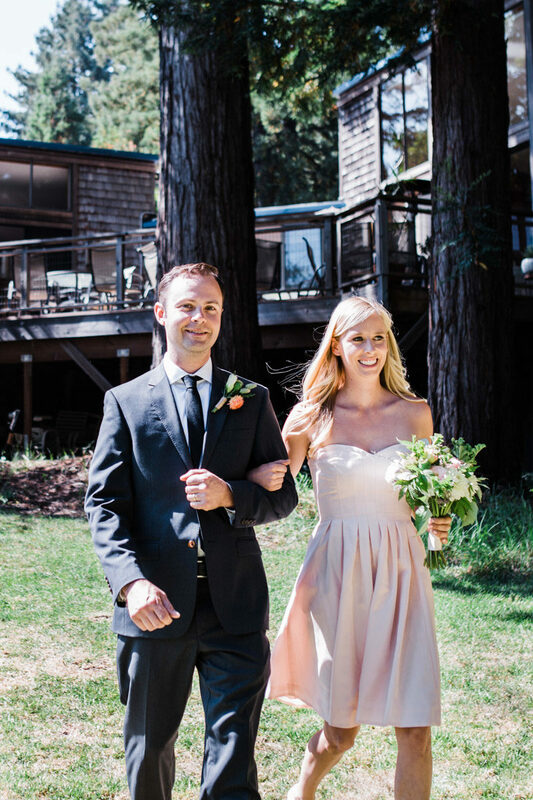 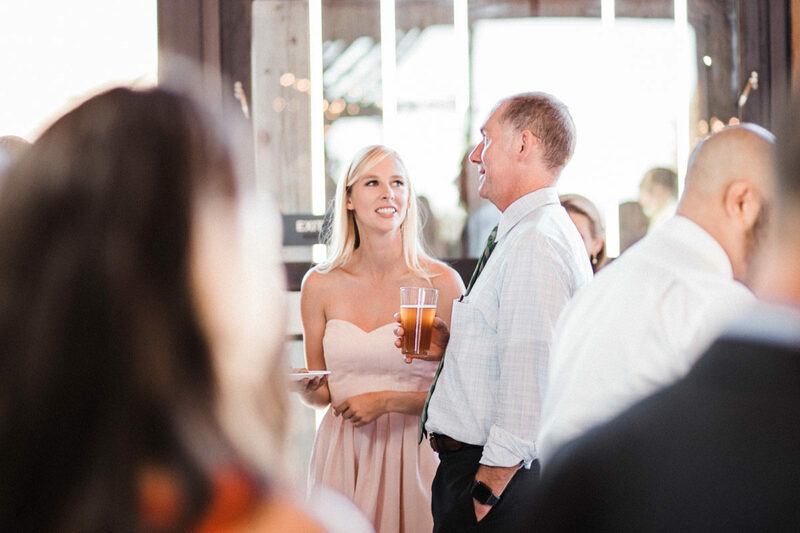 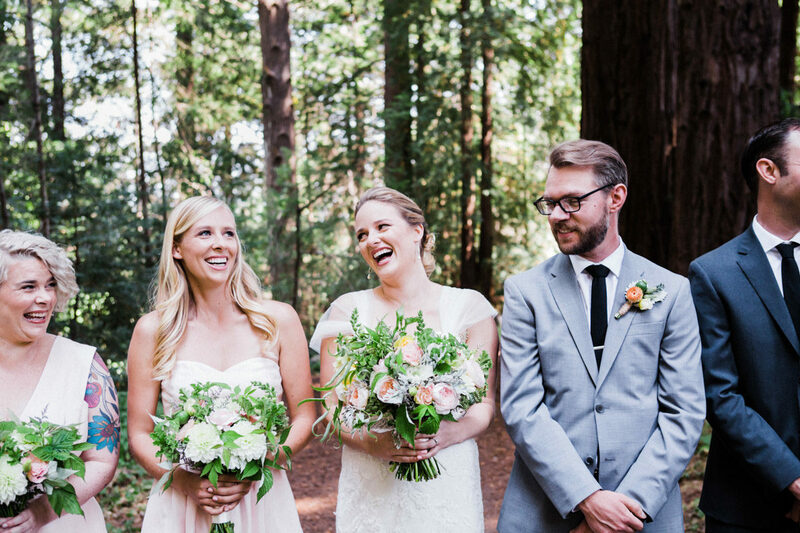 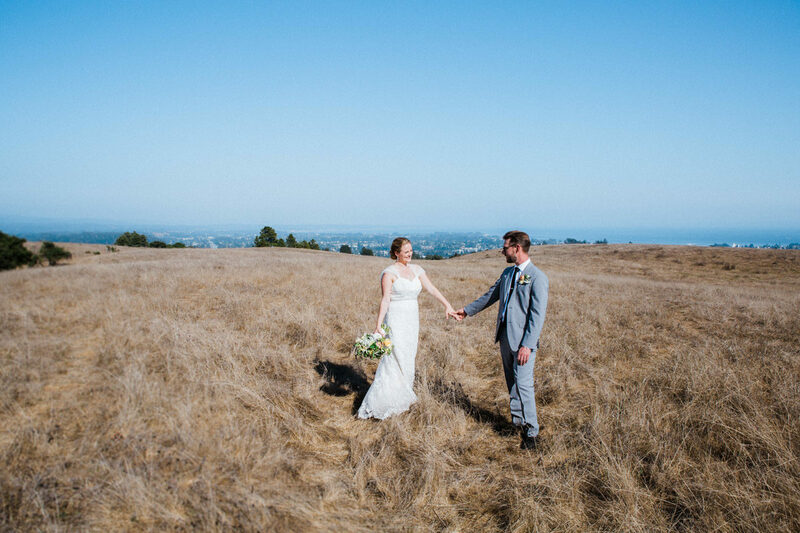 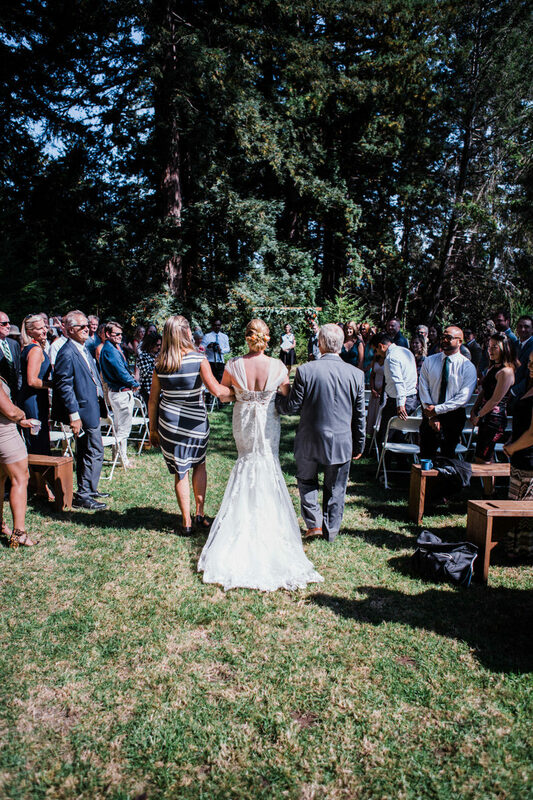 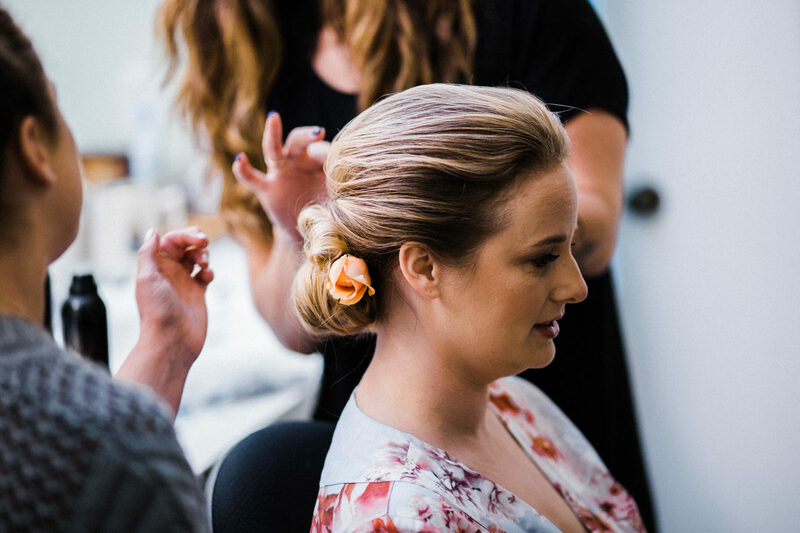 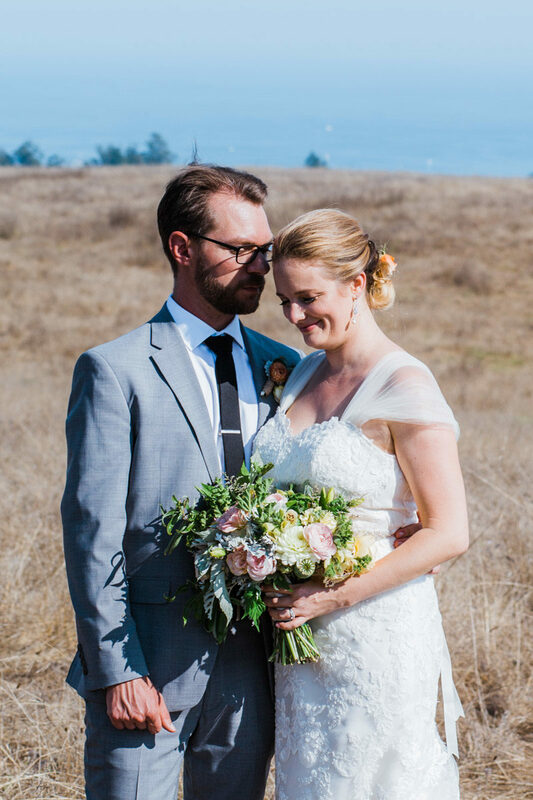 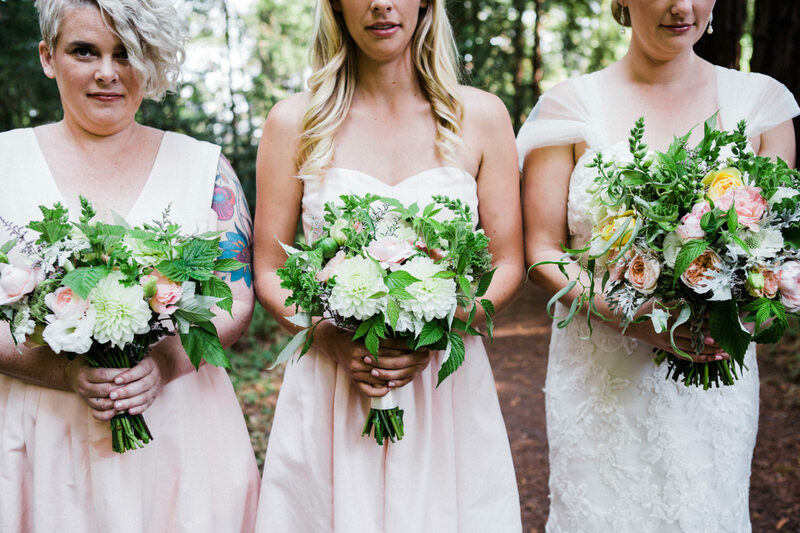 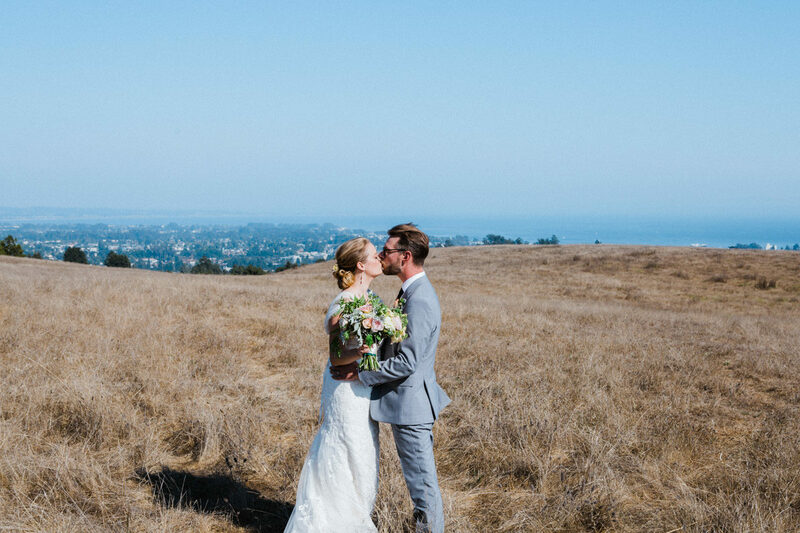 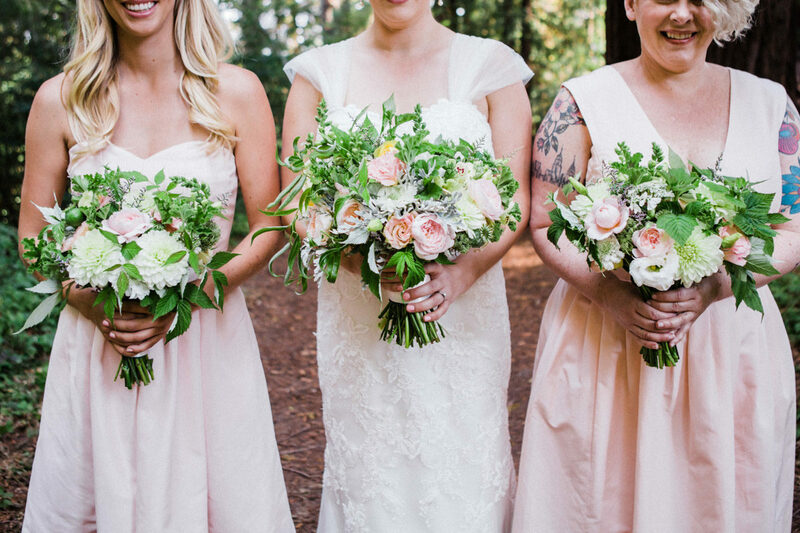 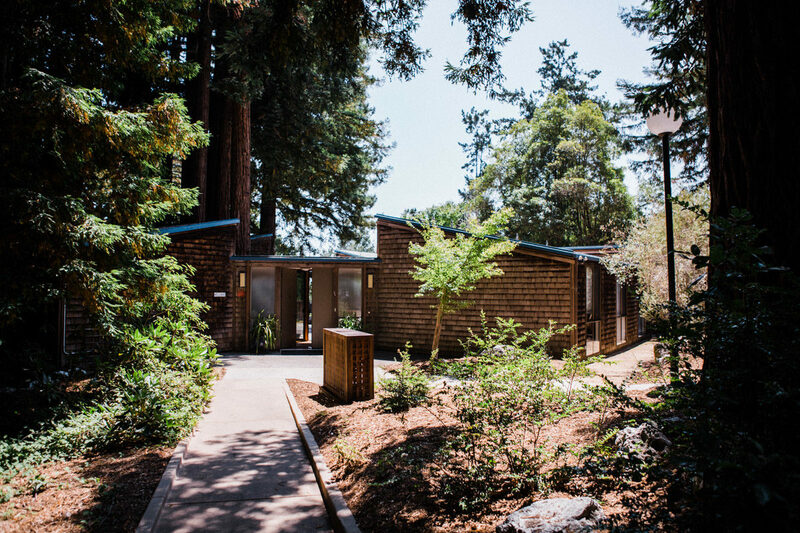 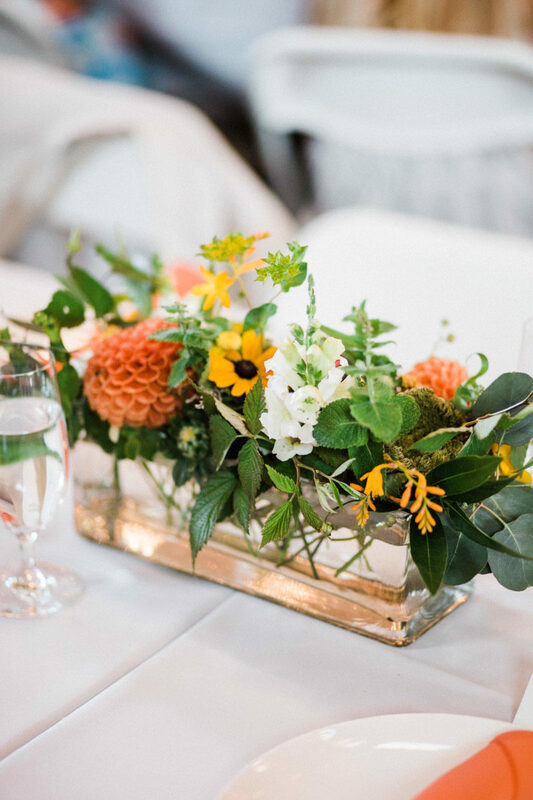 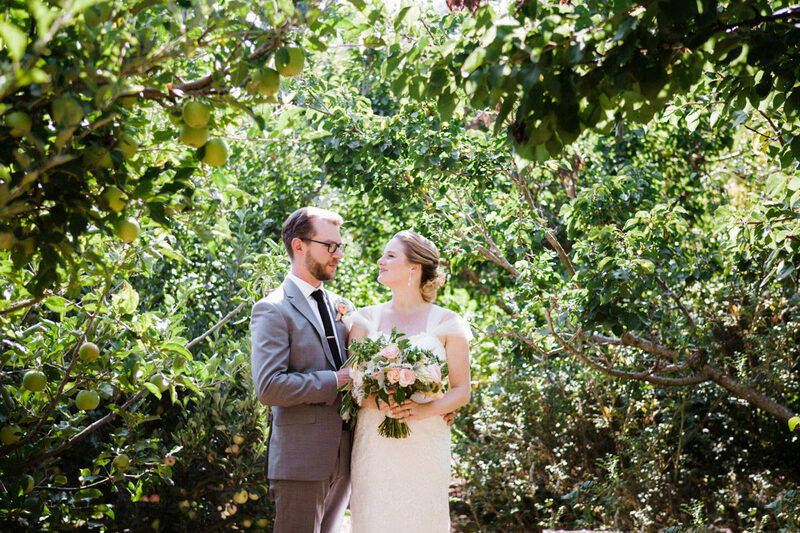 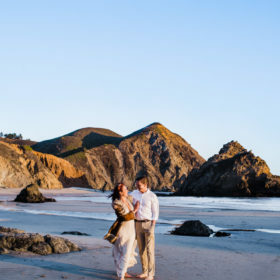 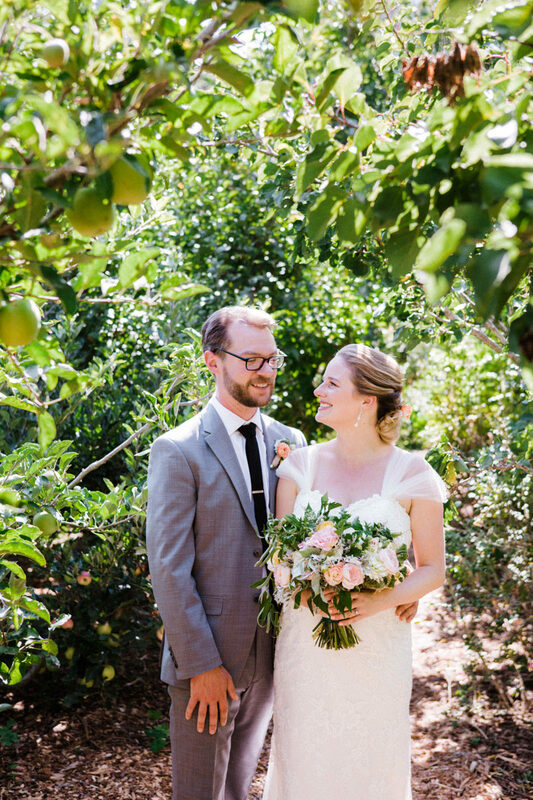 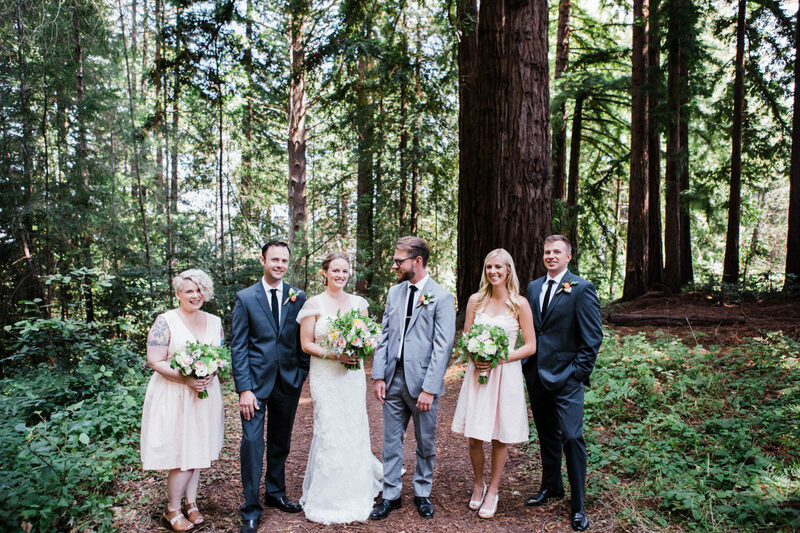 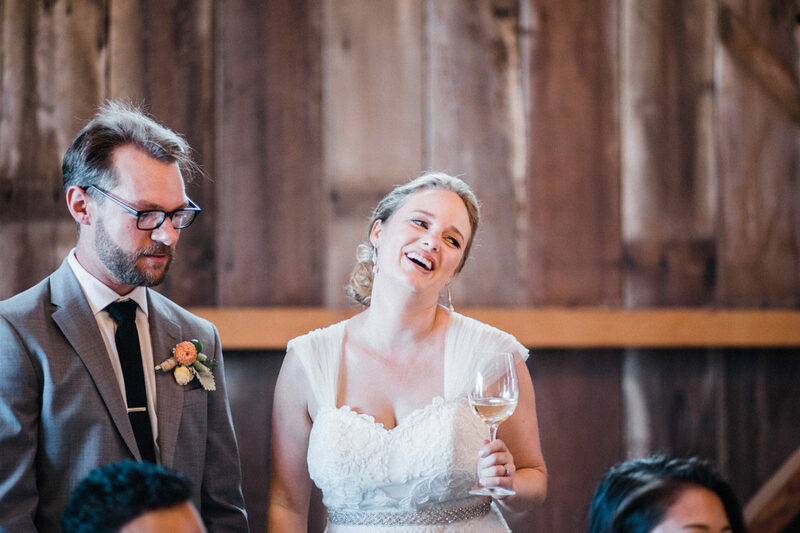 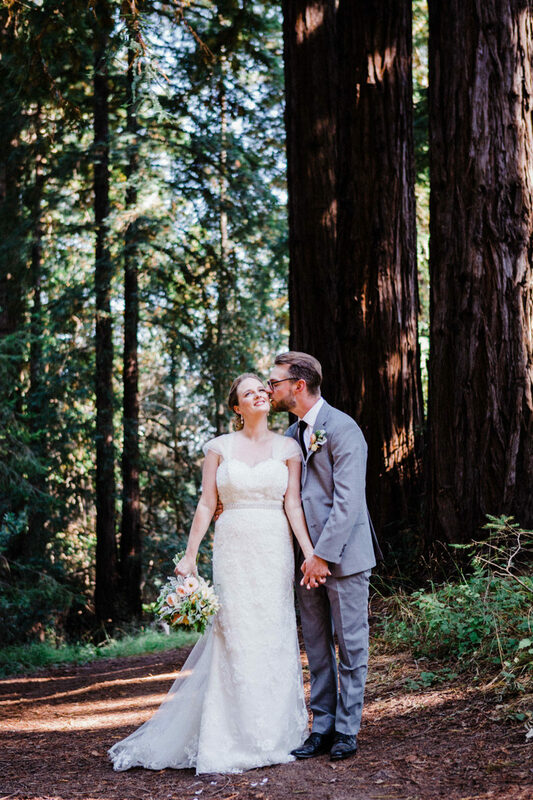 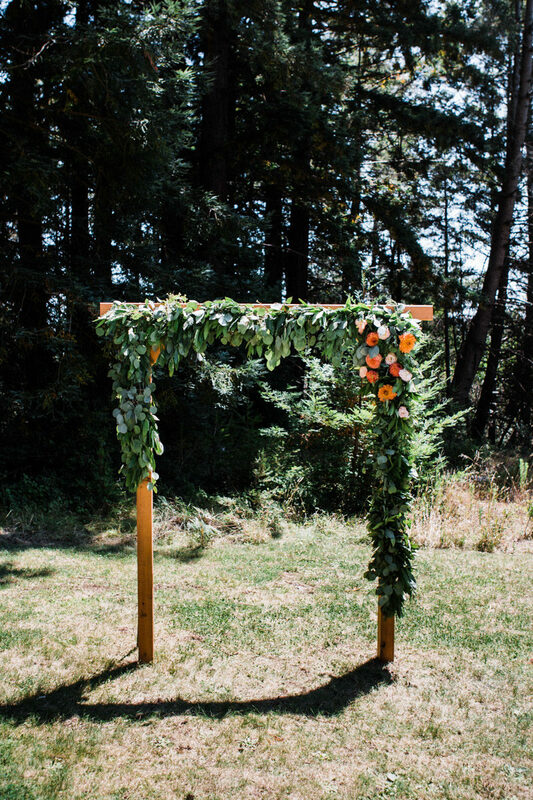 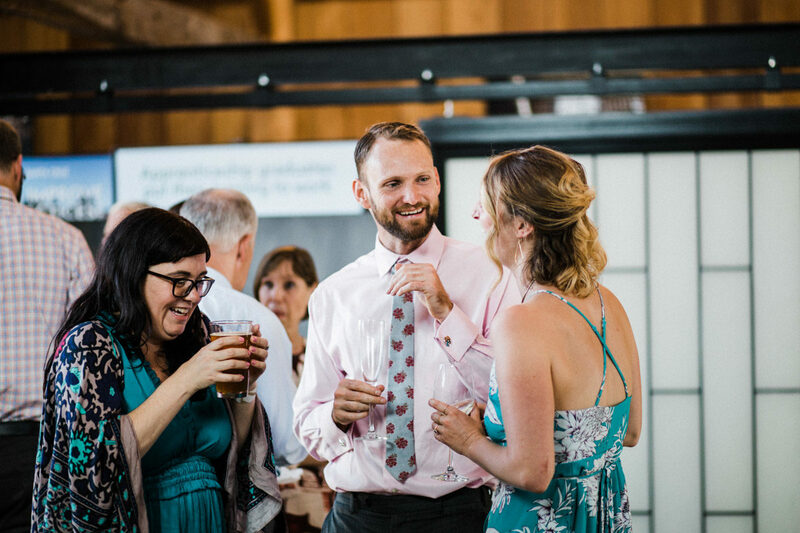 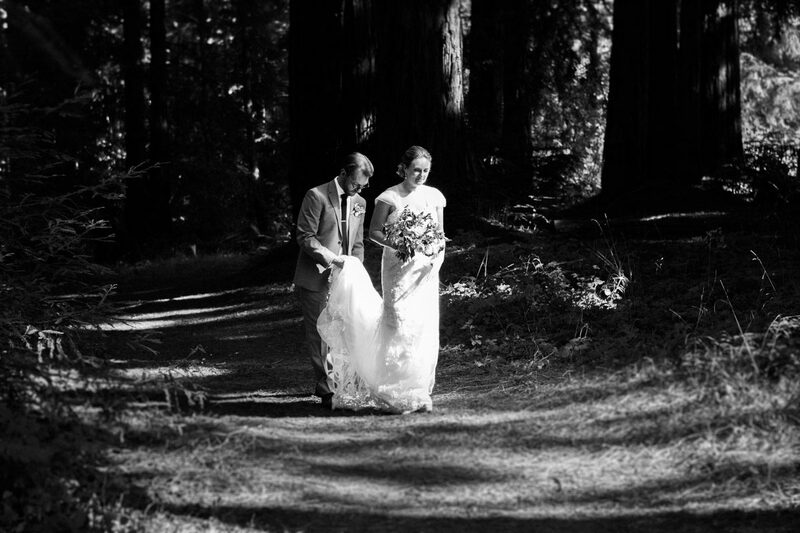 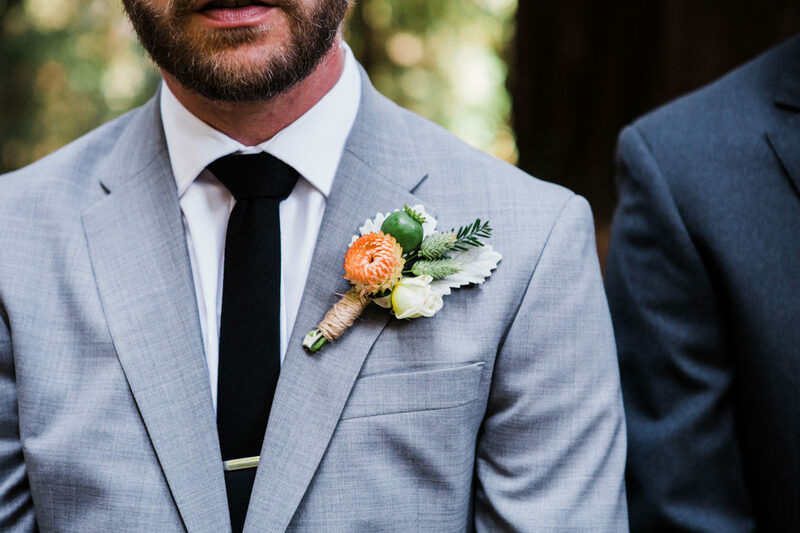 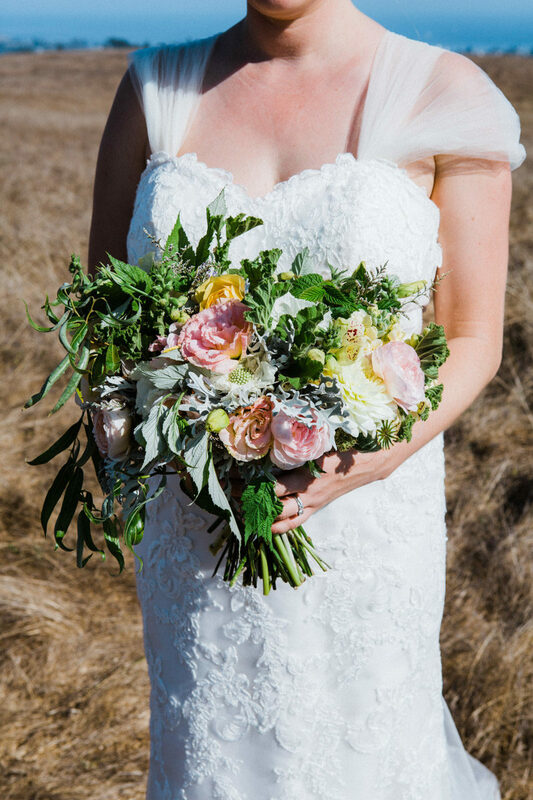 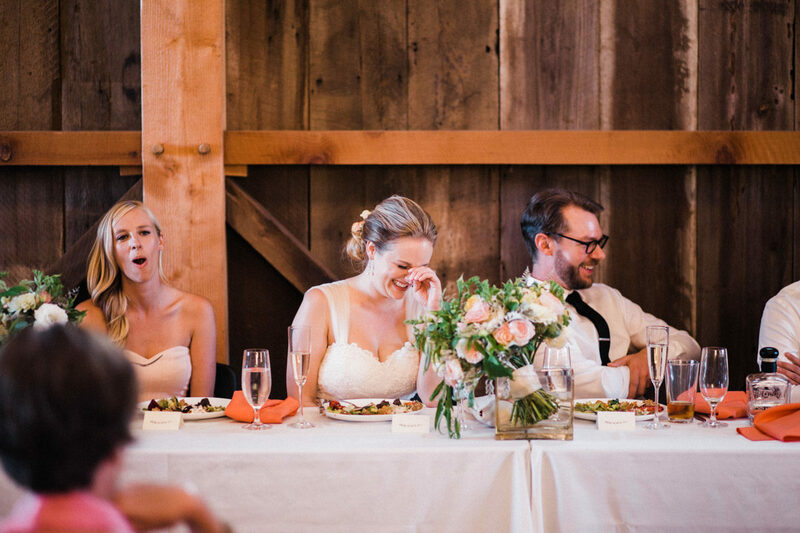 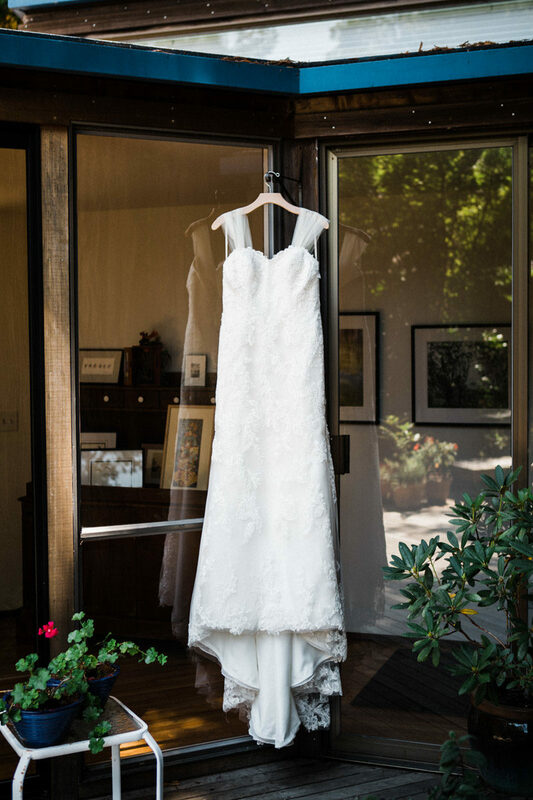 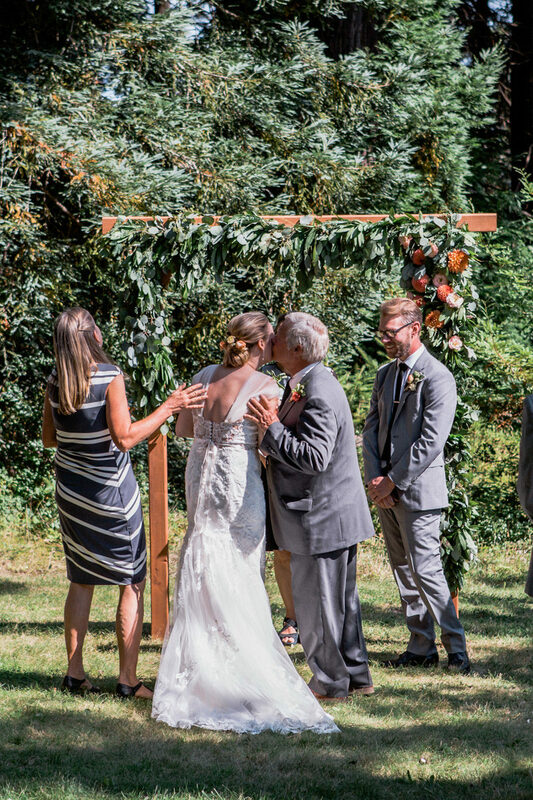 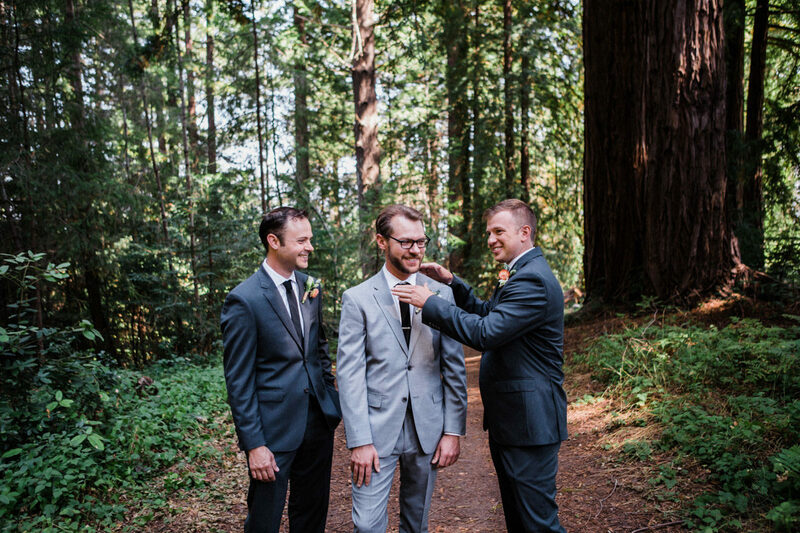 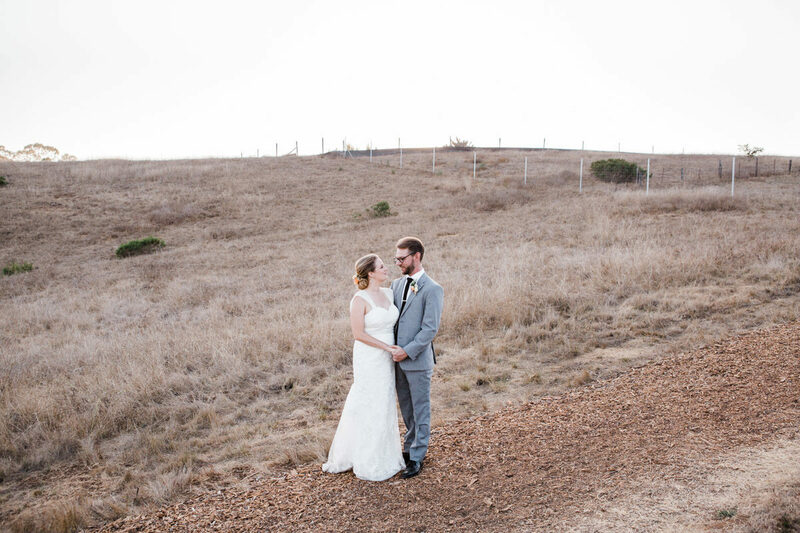 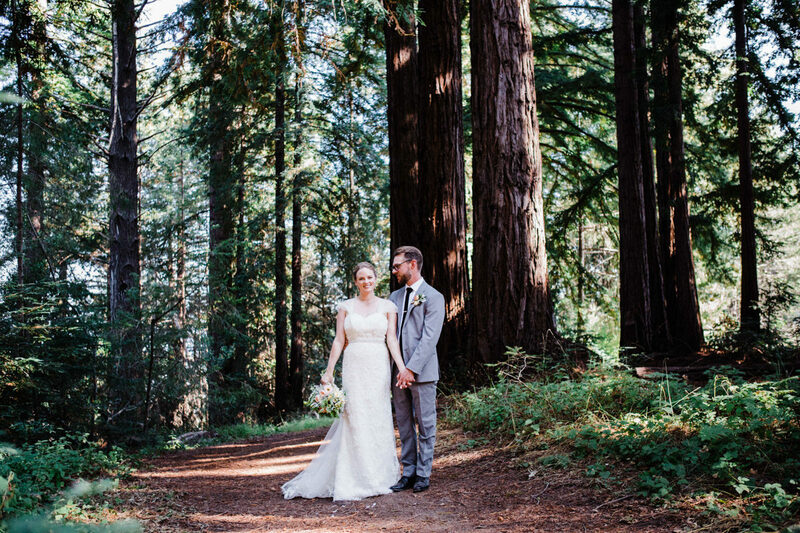 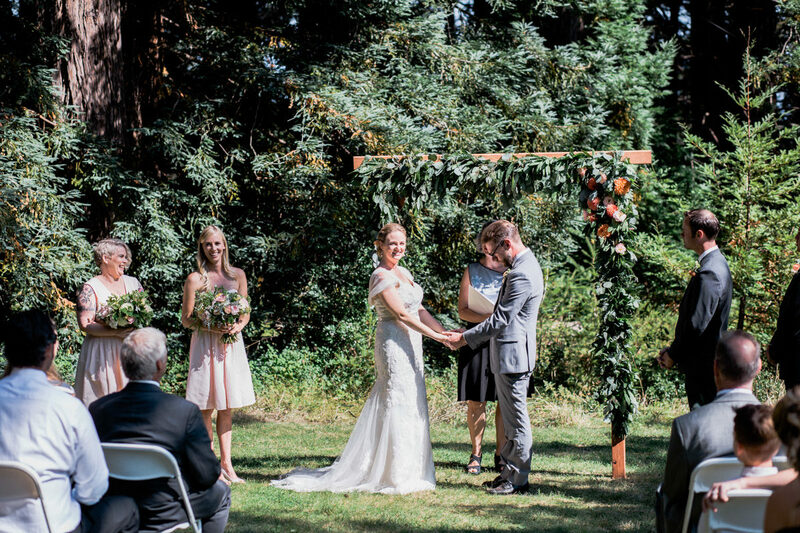 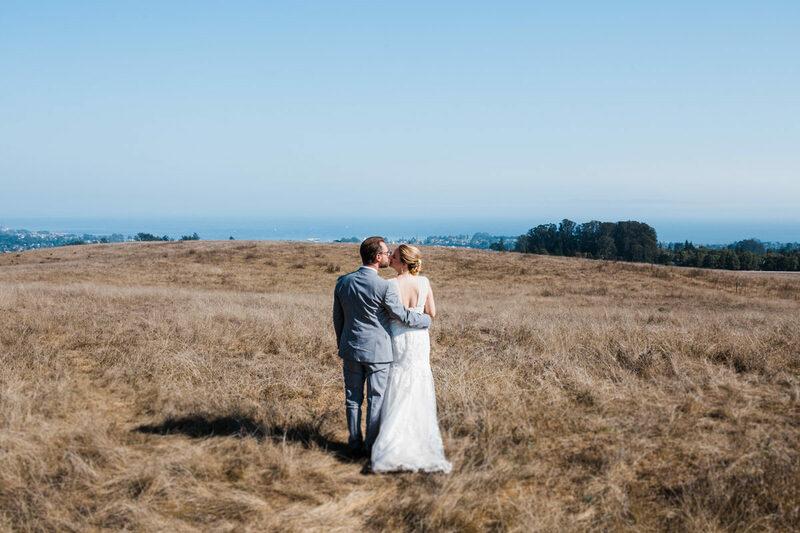 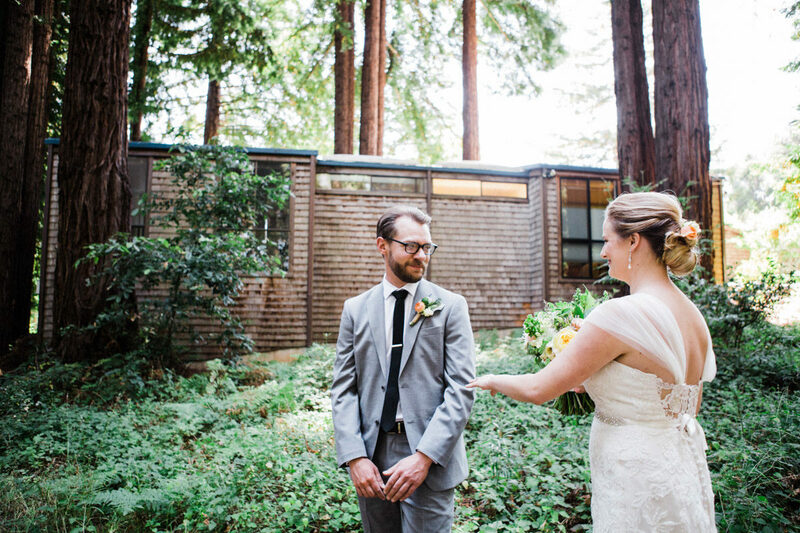 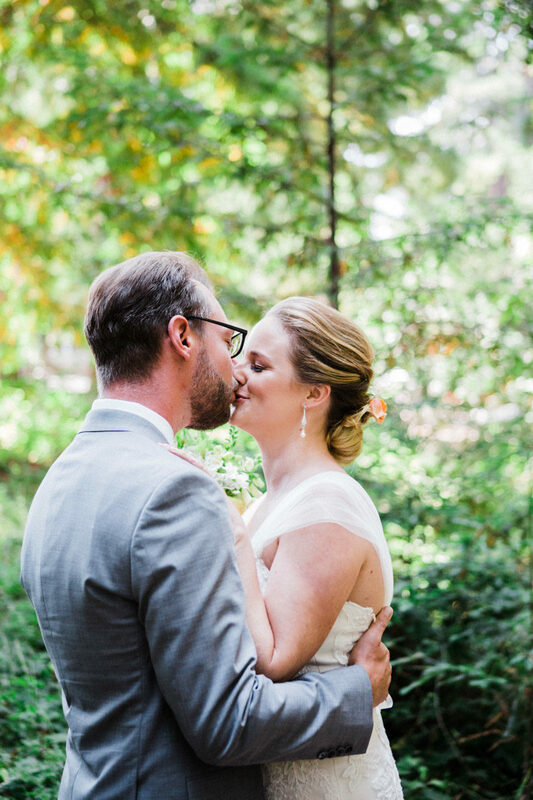 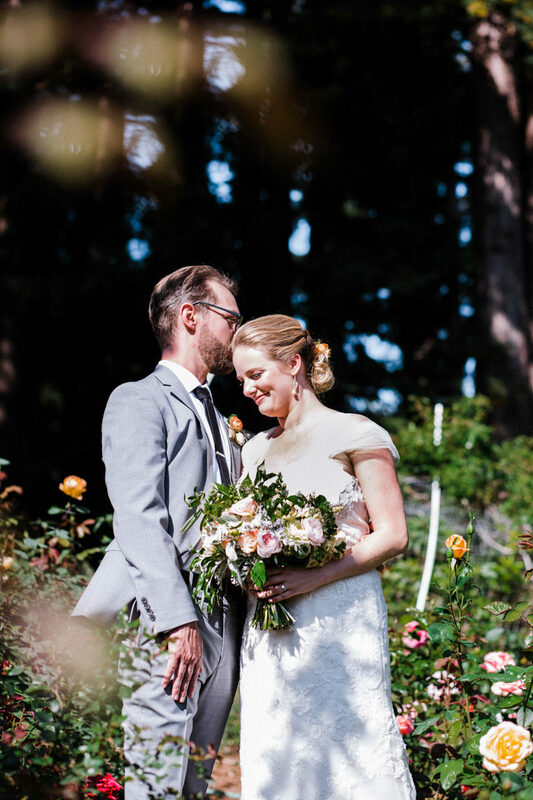 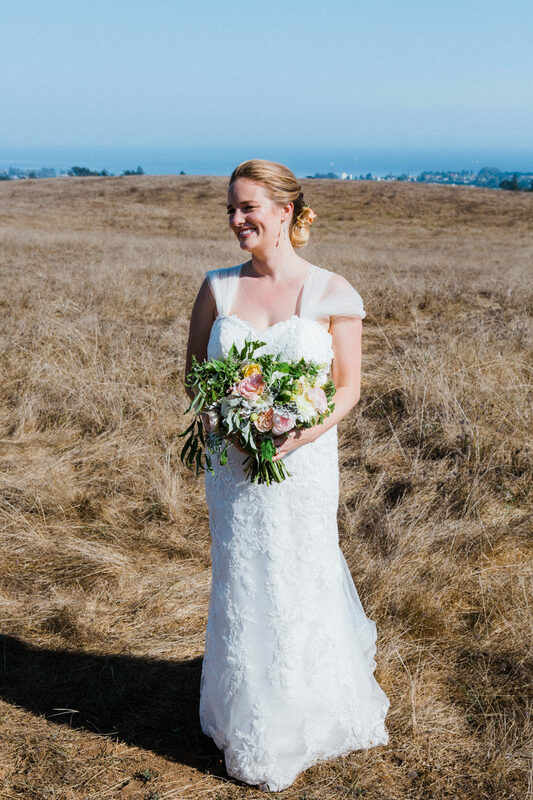 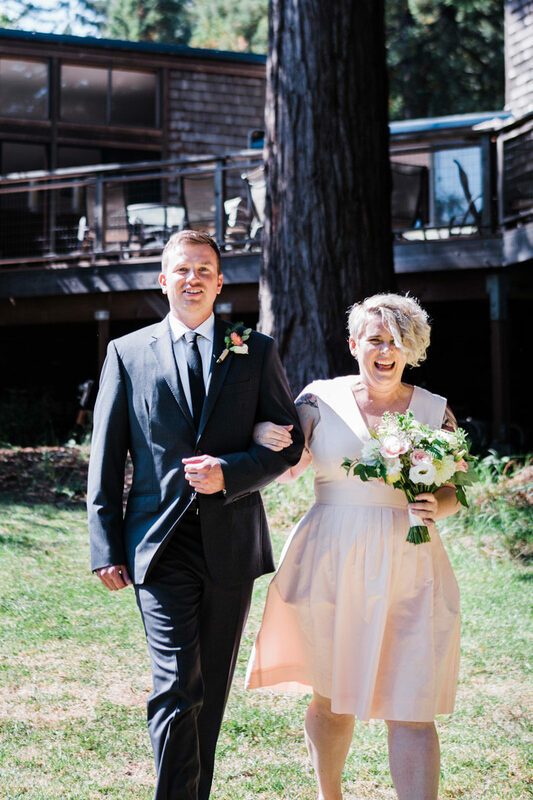 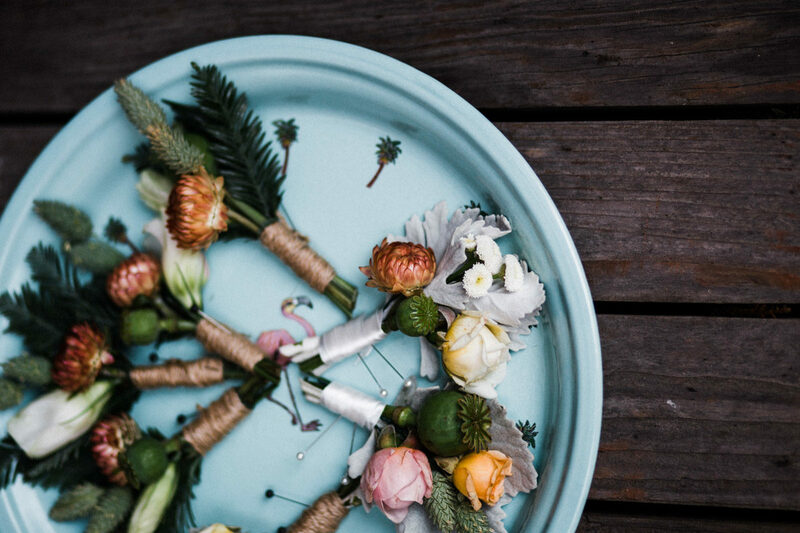 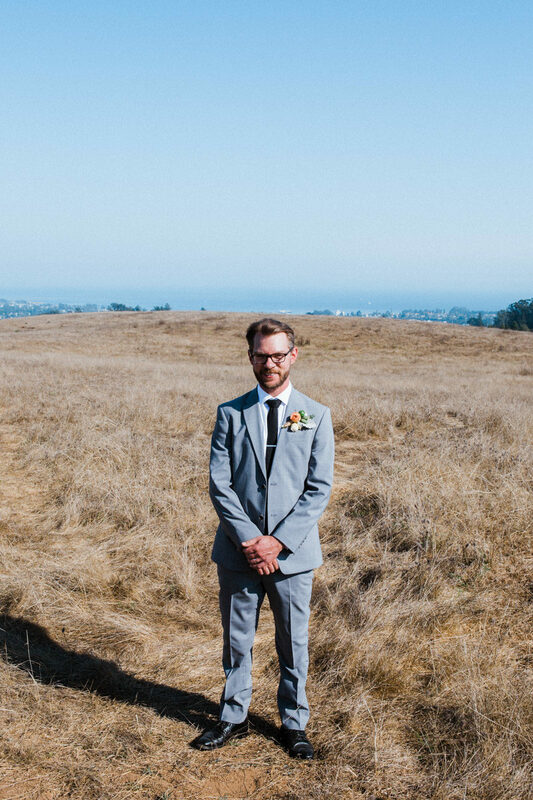 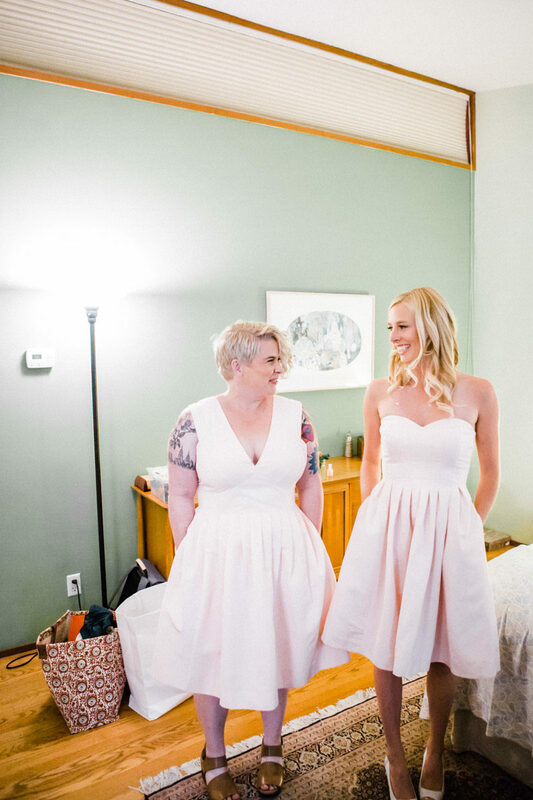 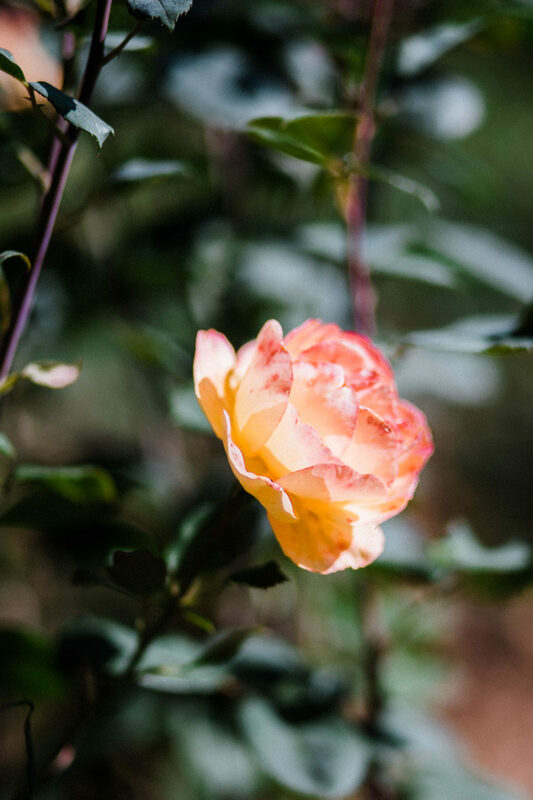 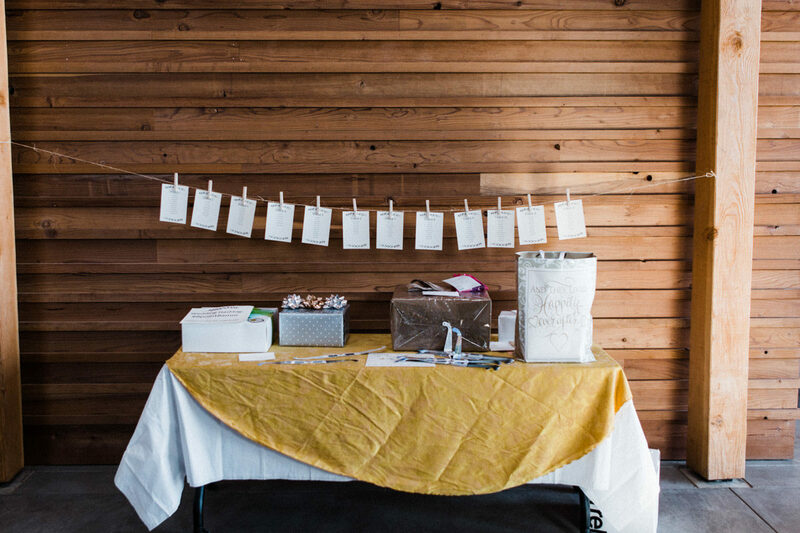 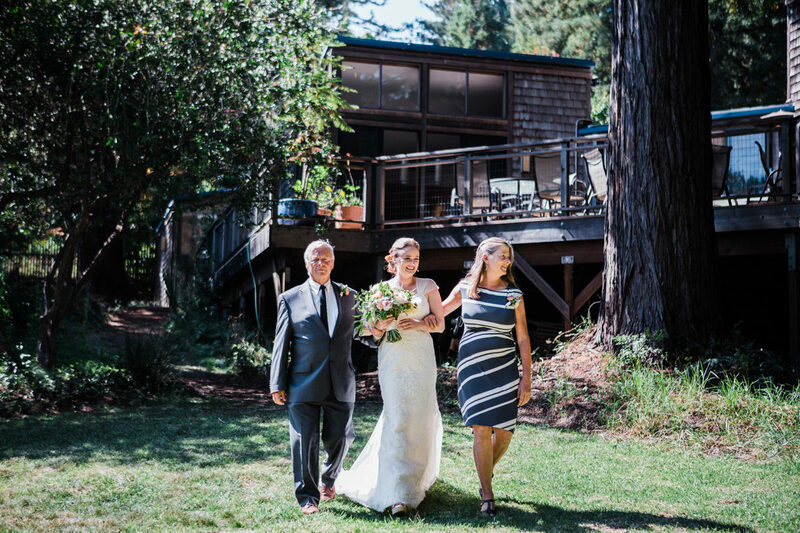 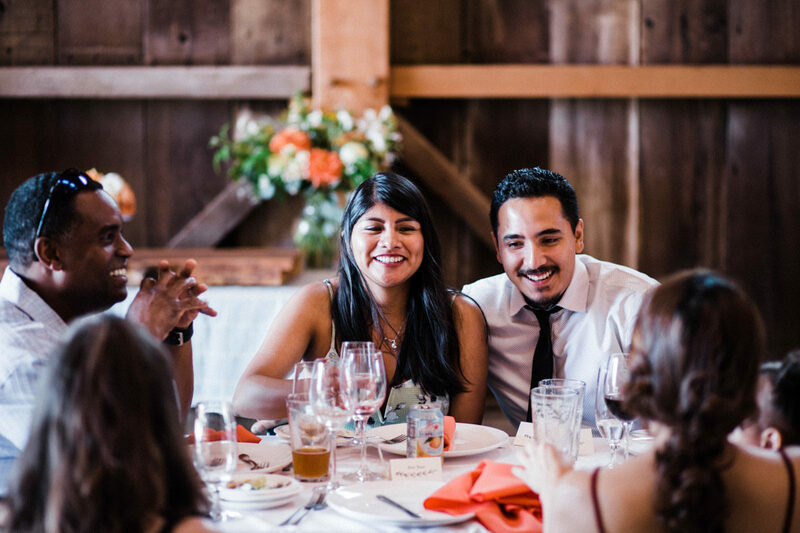 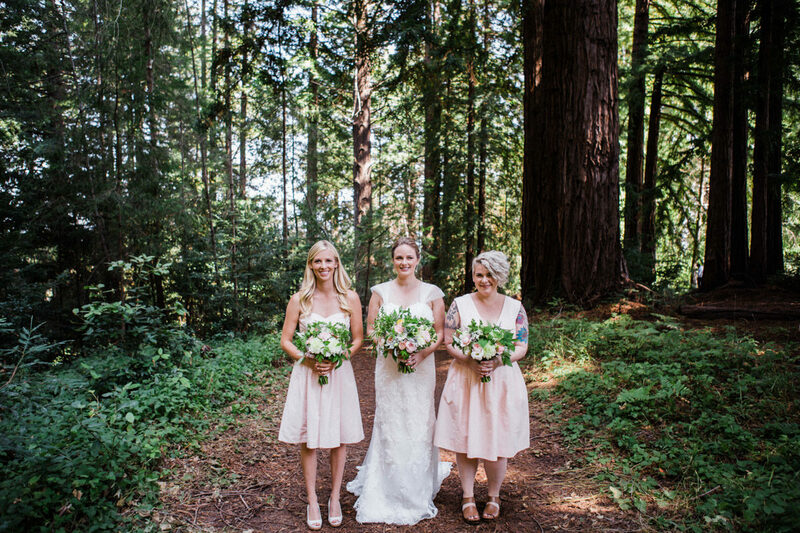 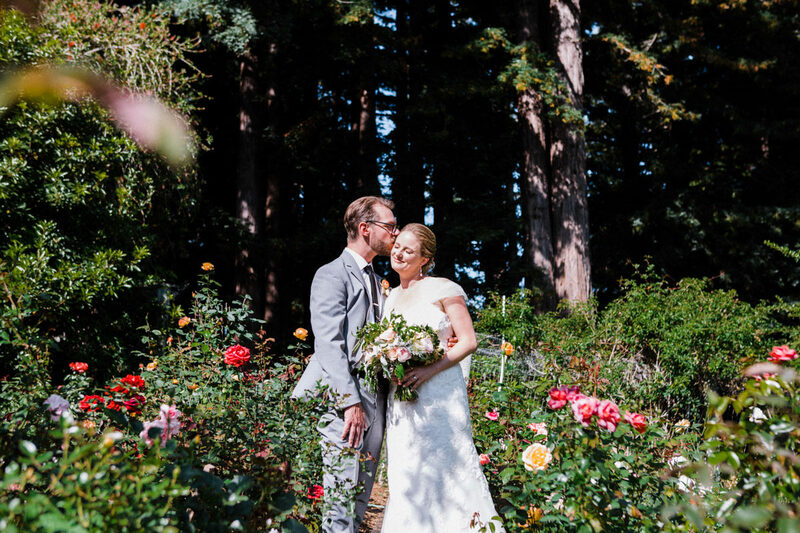 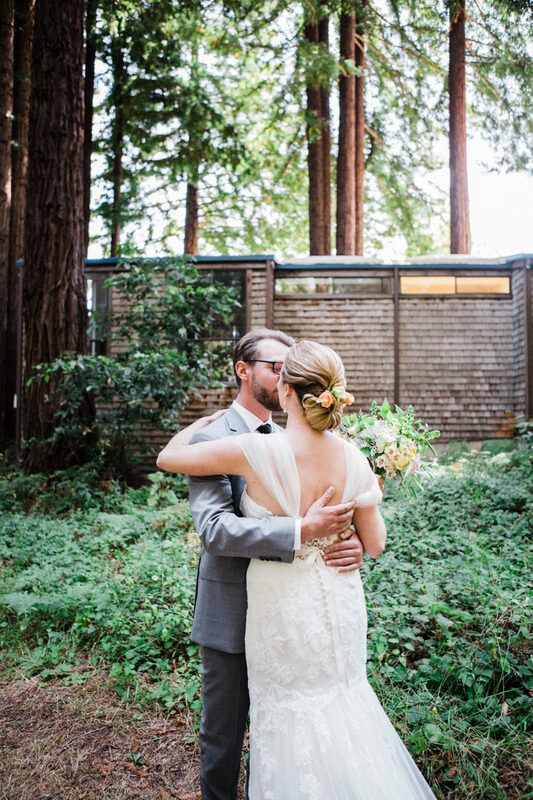 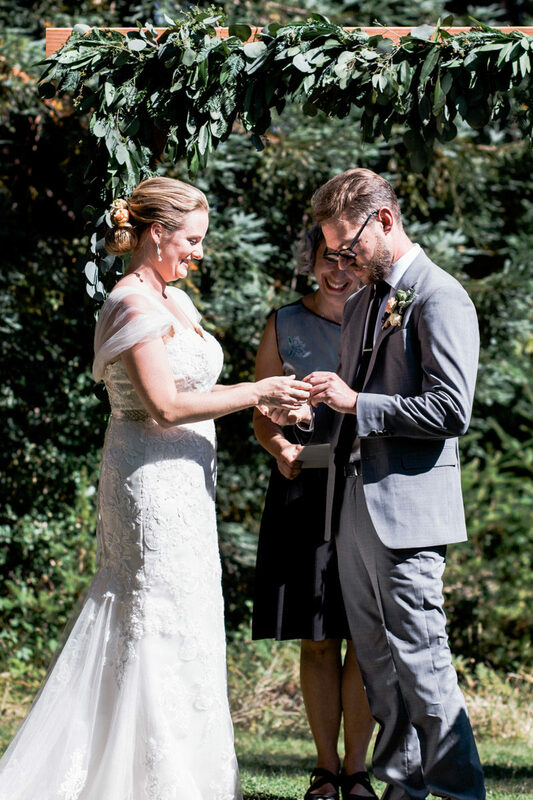 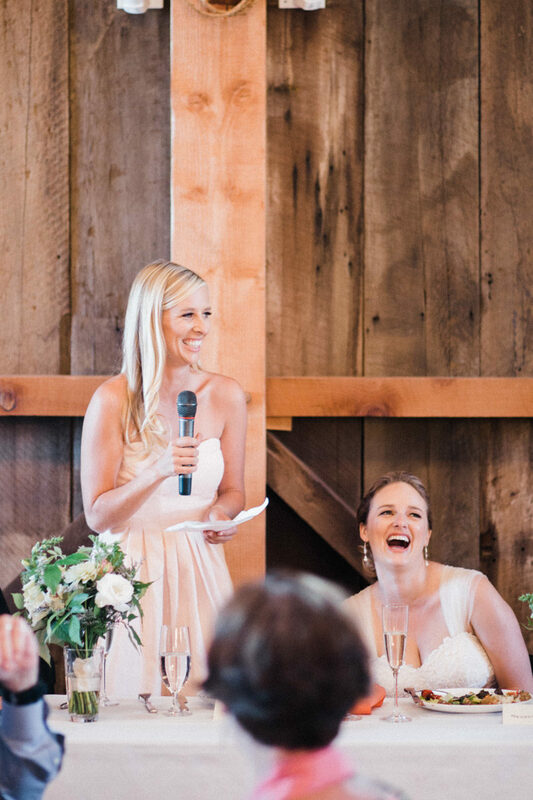 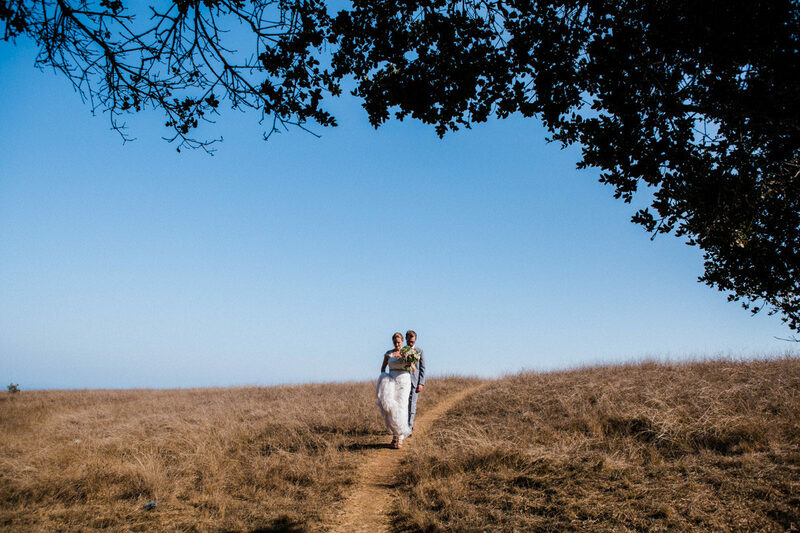 Katie and Charlie were married at the gorgeous grounds of UCSC in Santa Cruz. 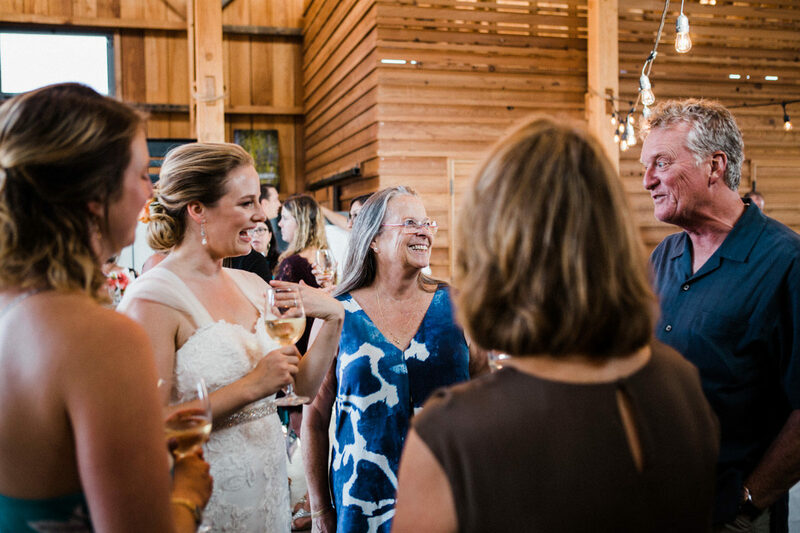 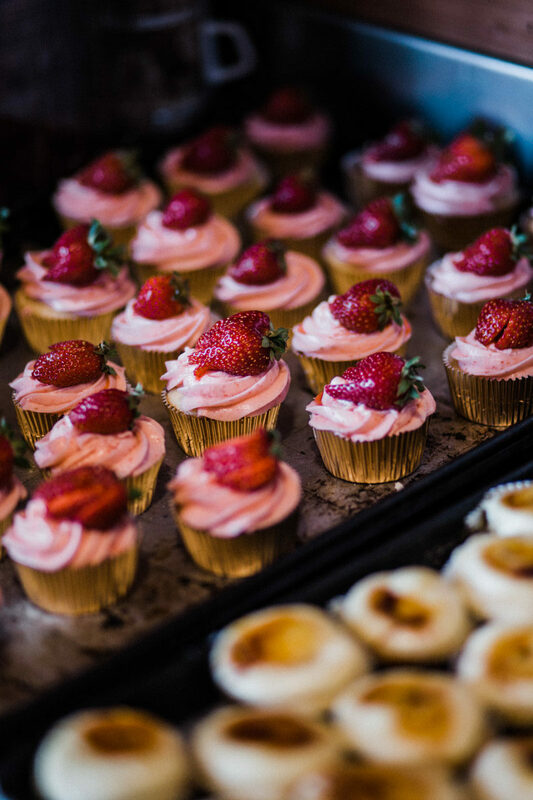 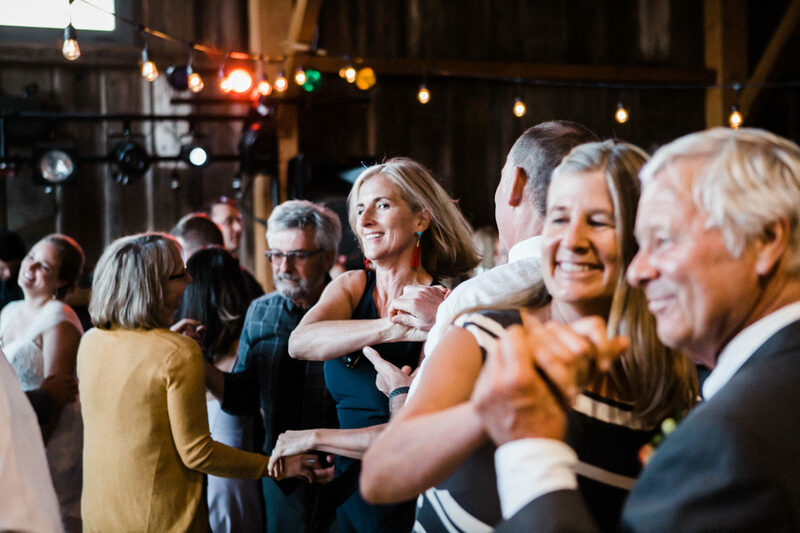 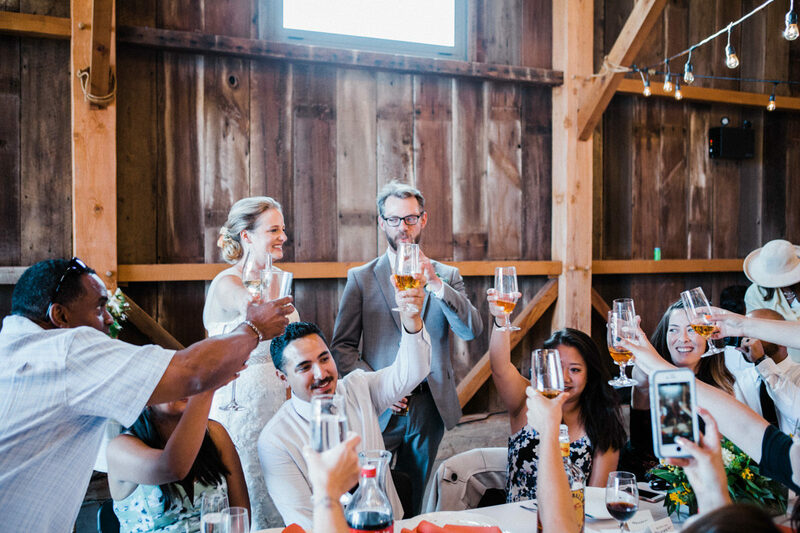 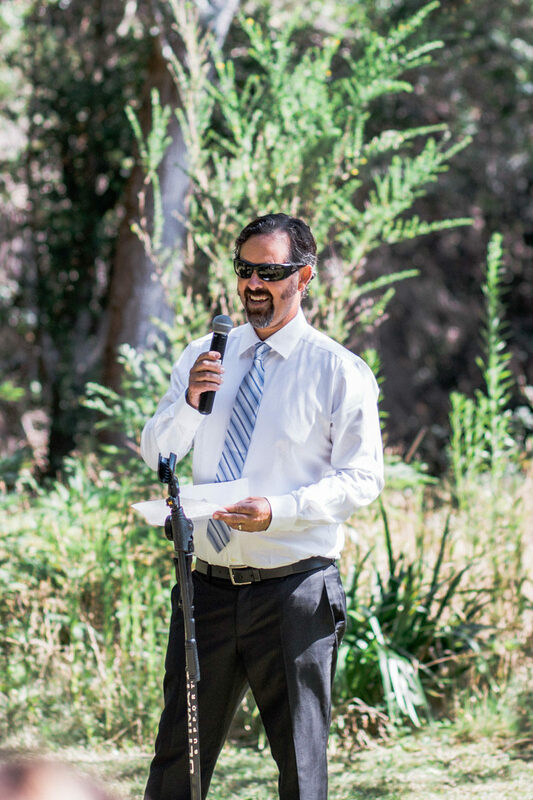 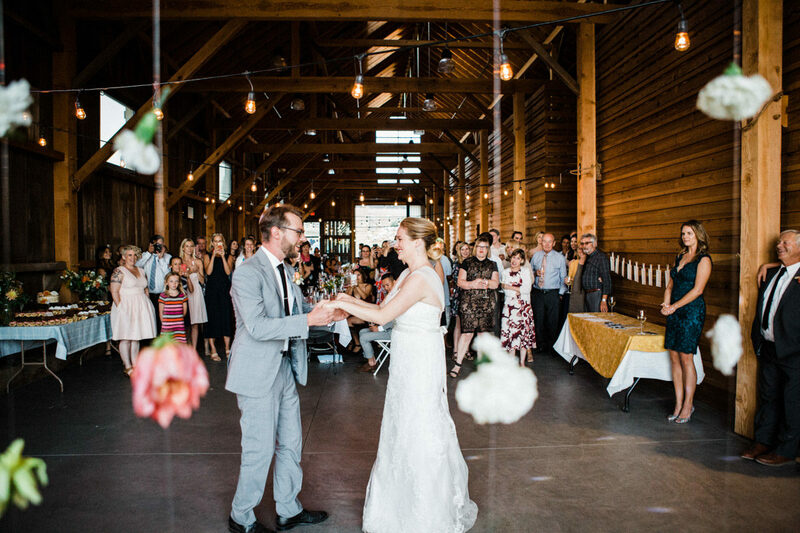 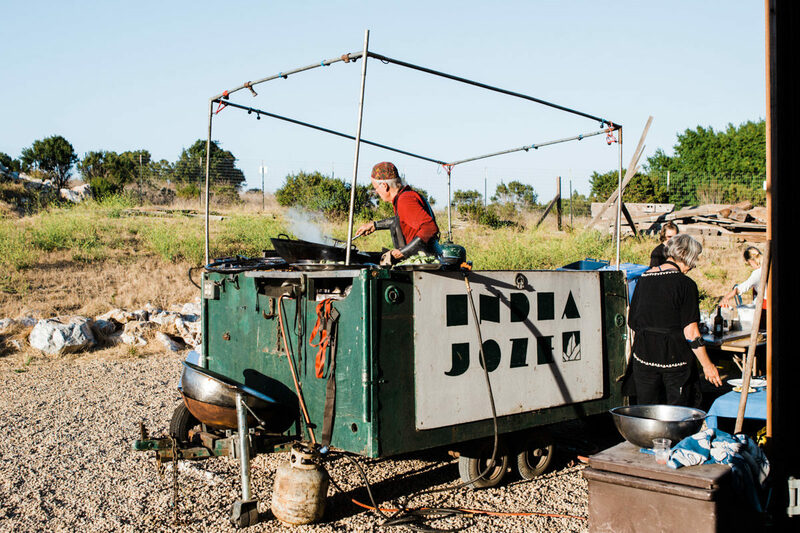 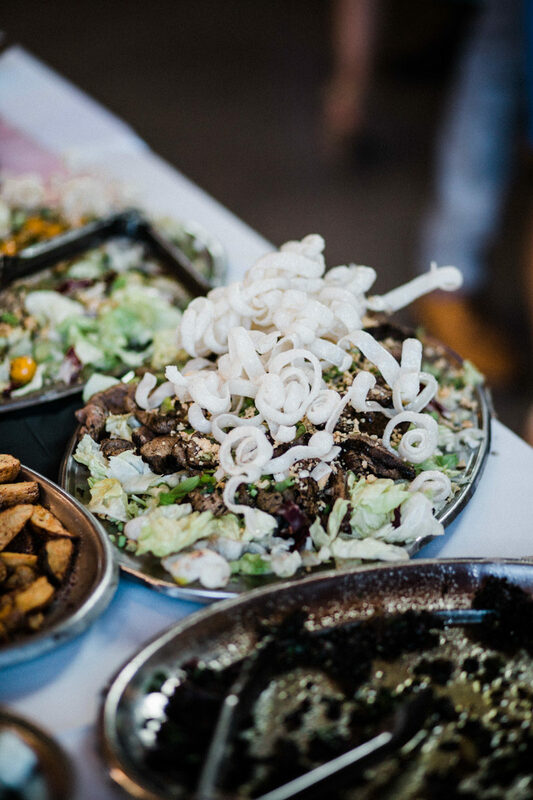 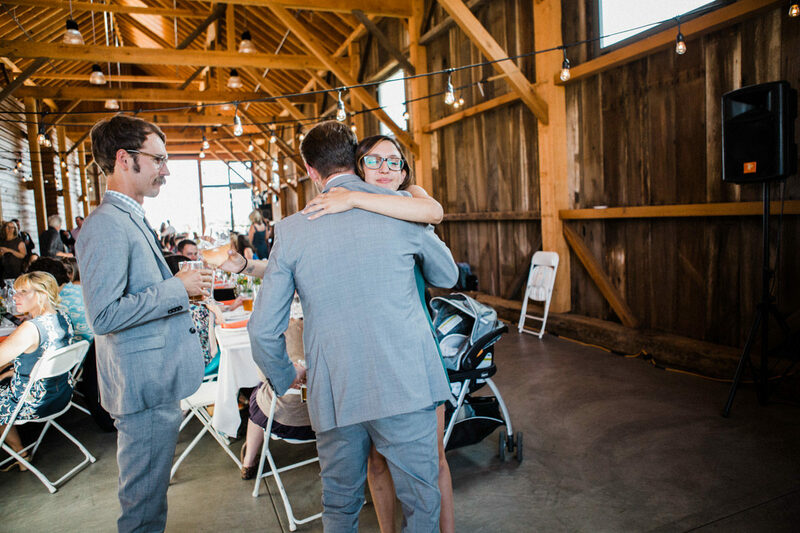 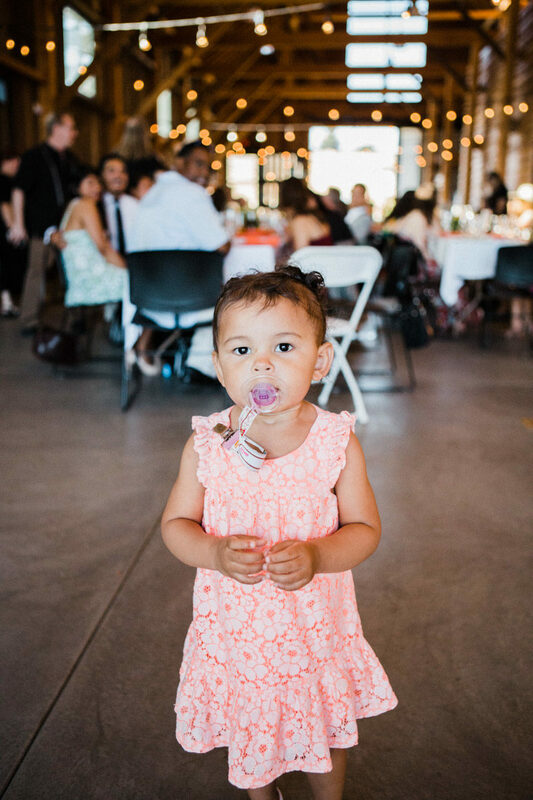 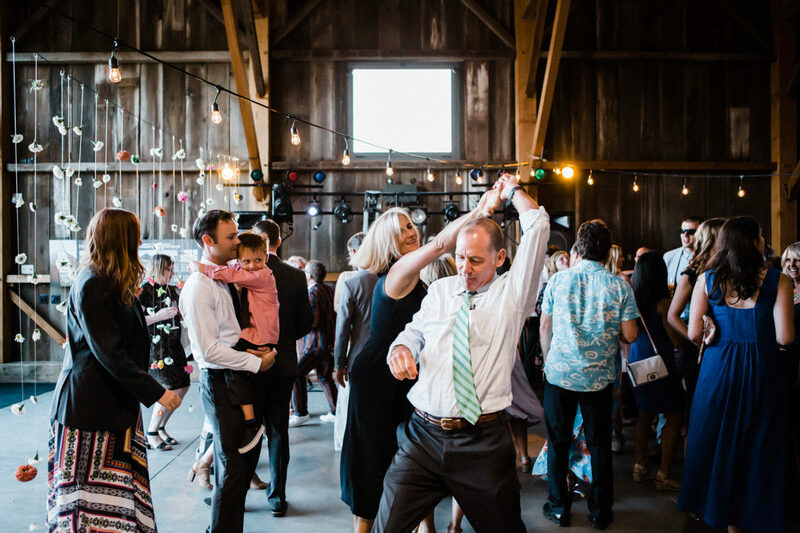 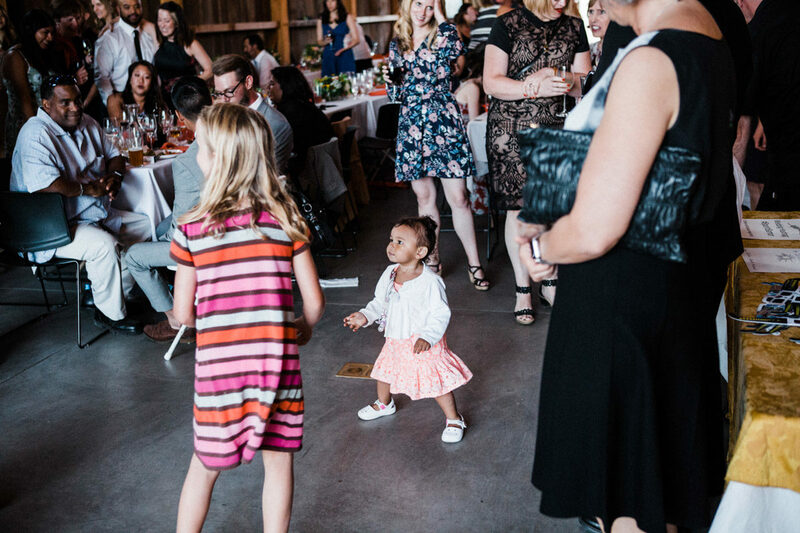 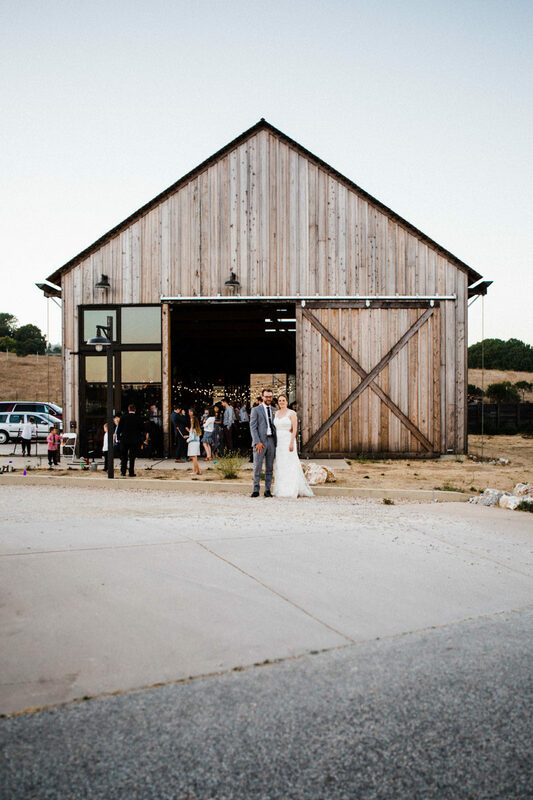 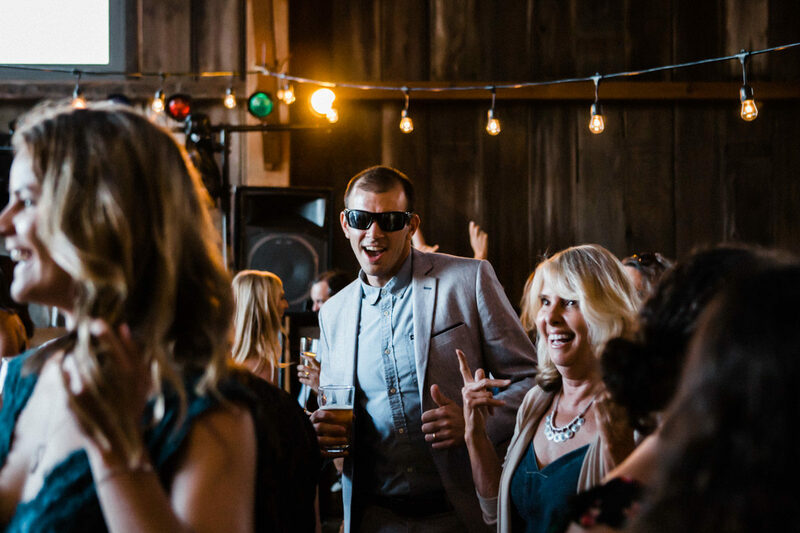 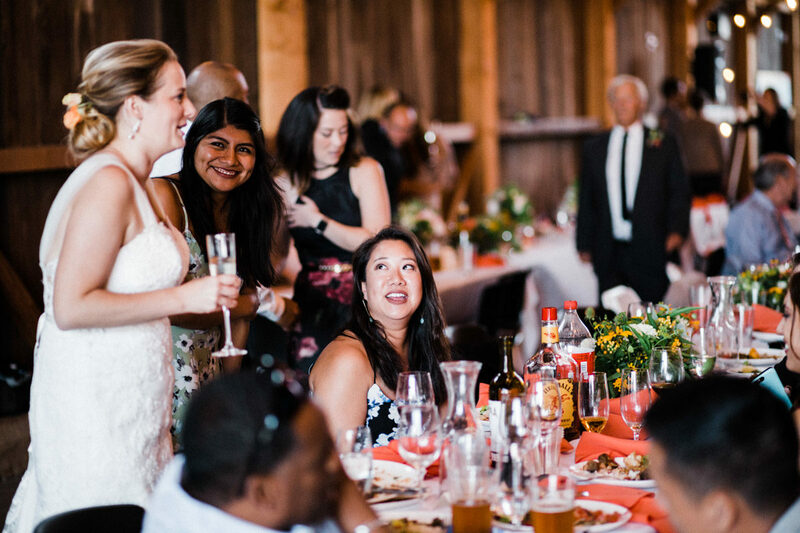 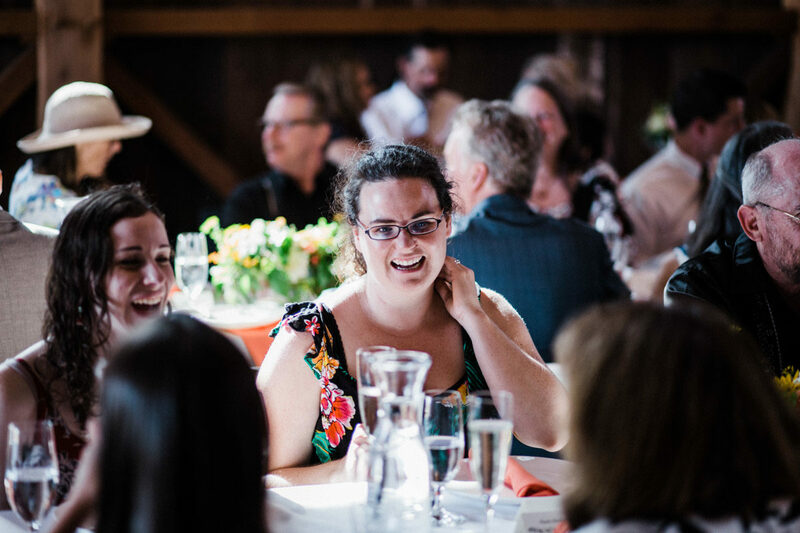 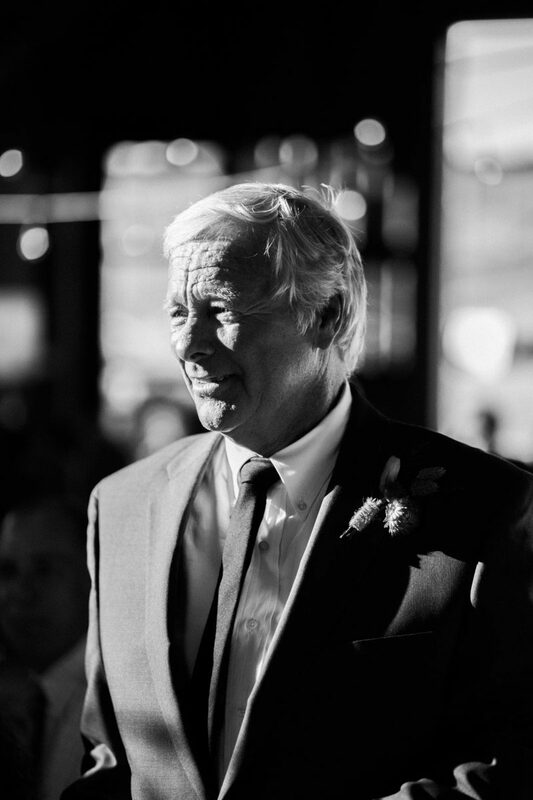 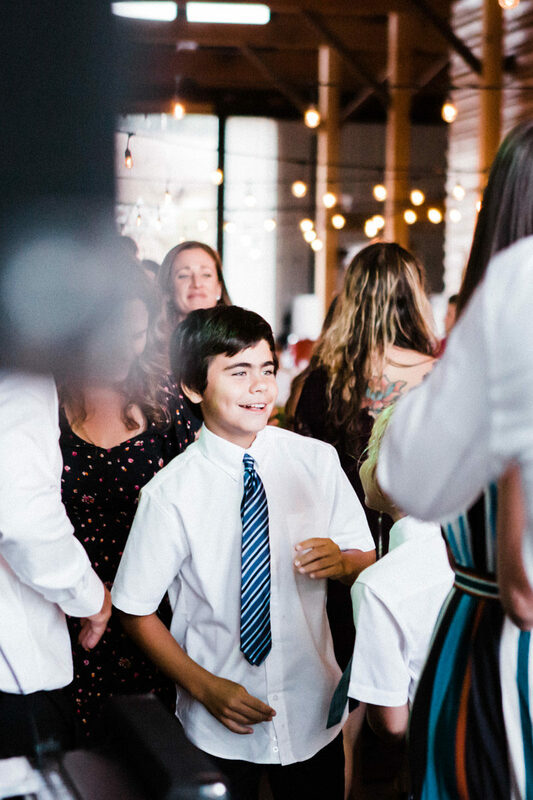 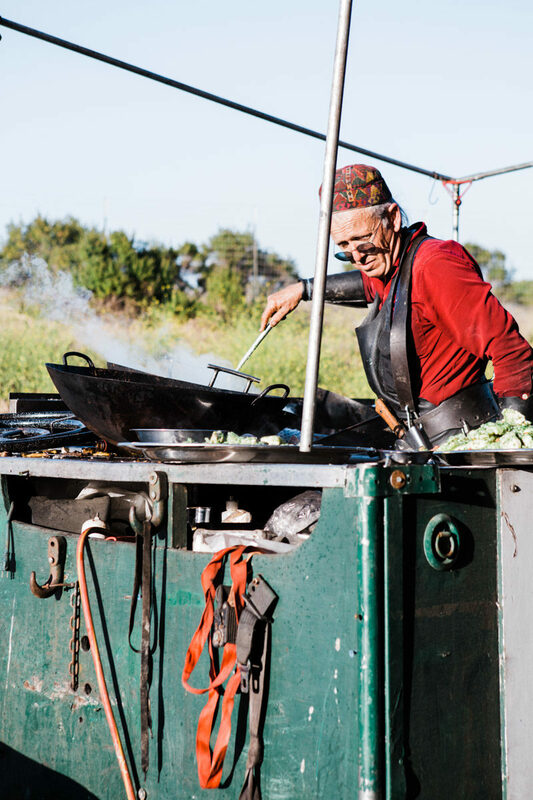 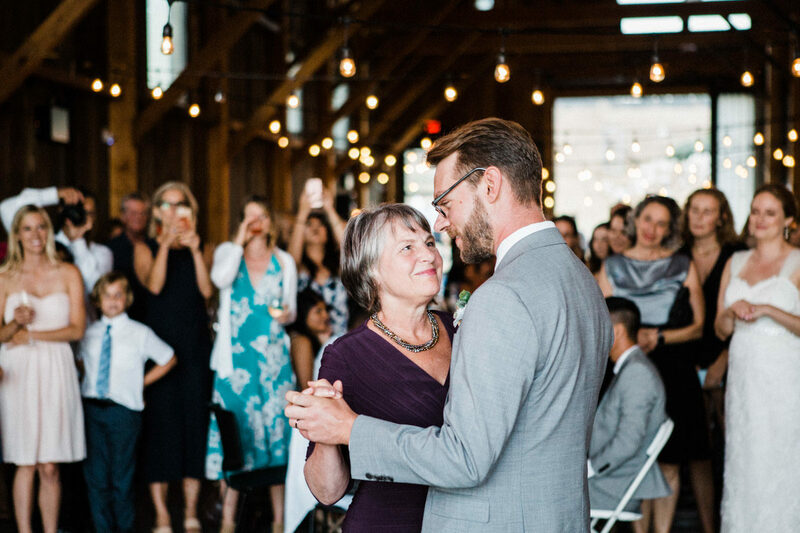 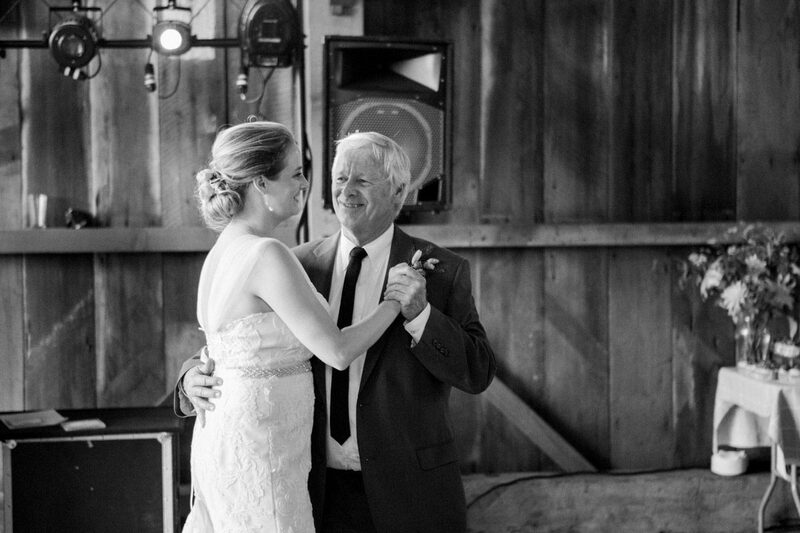 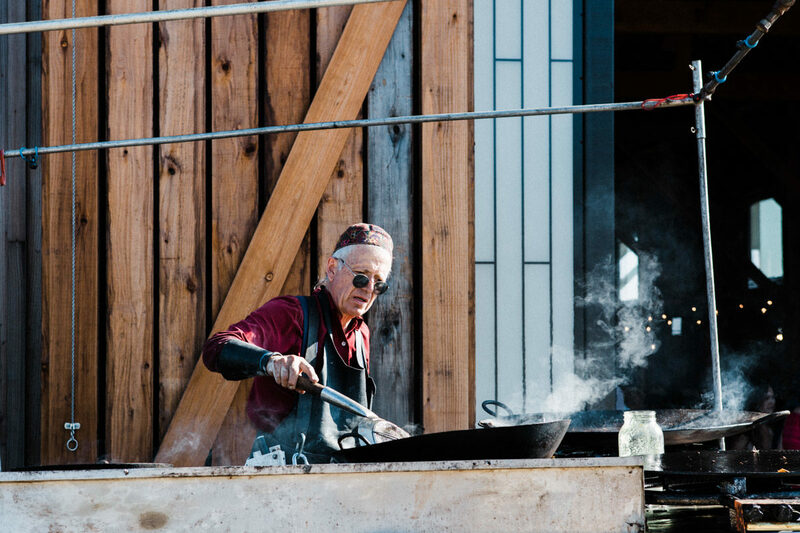 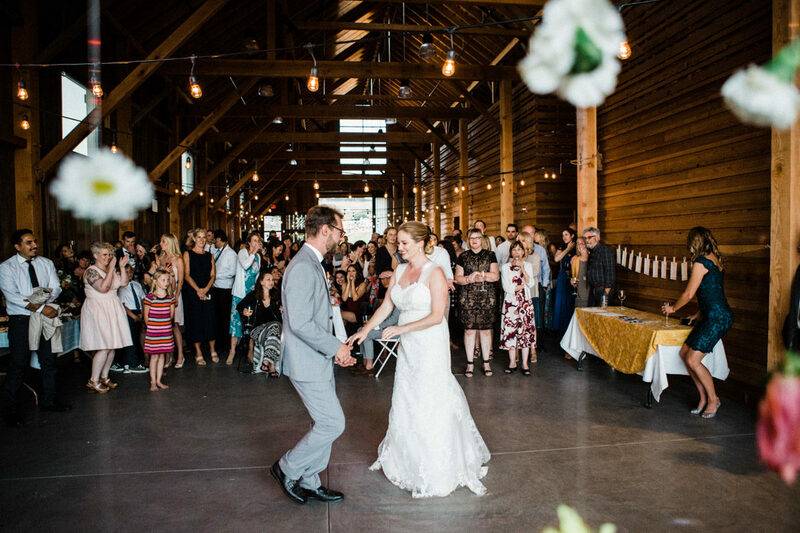 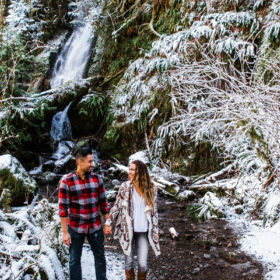 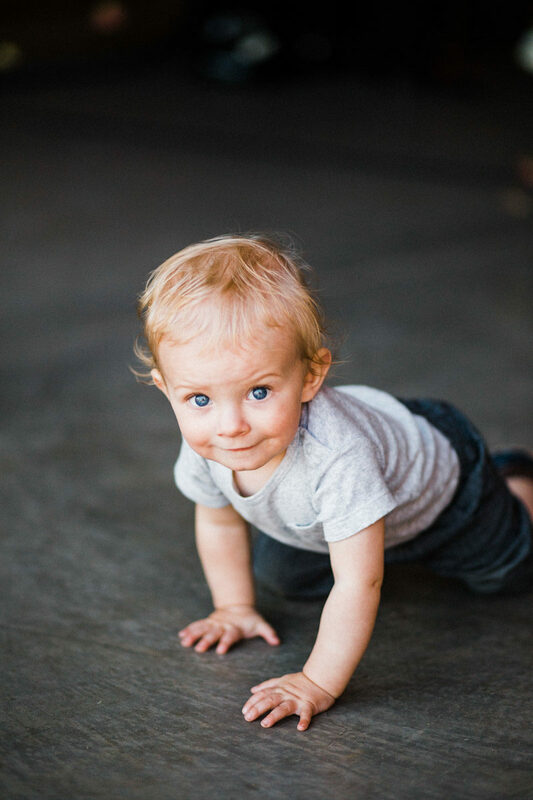 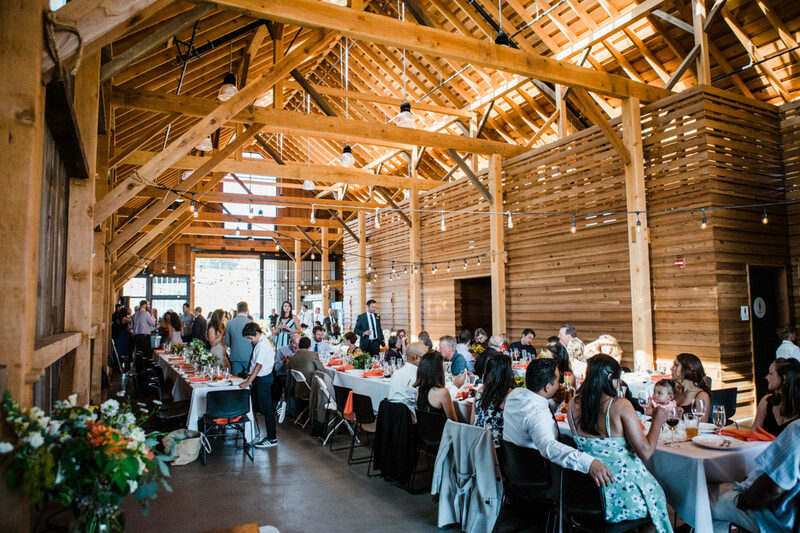 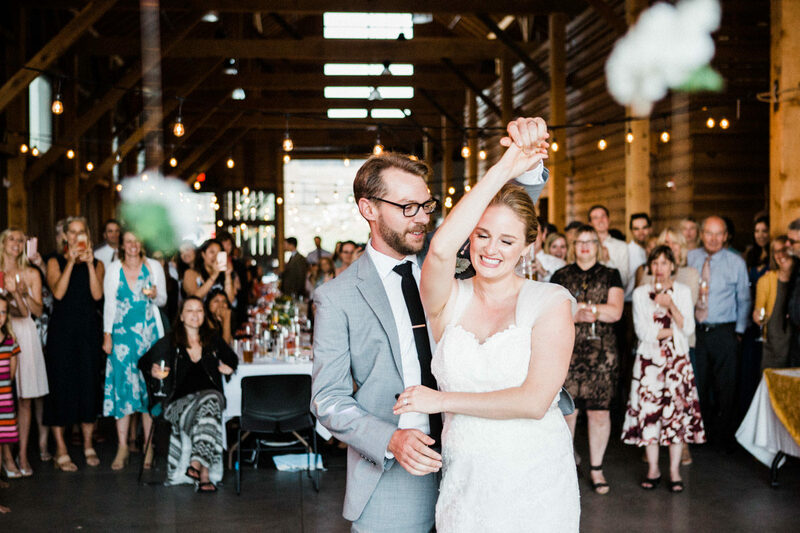 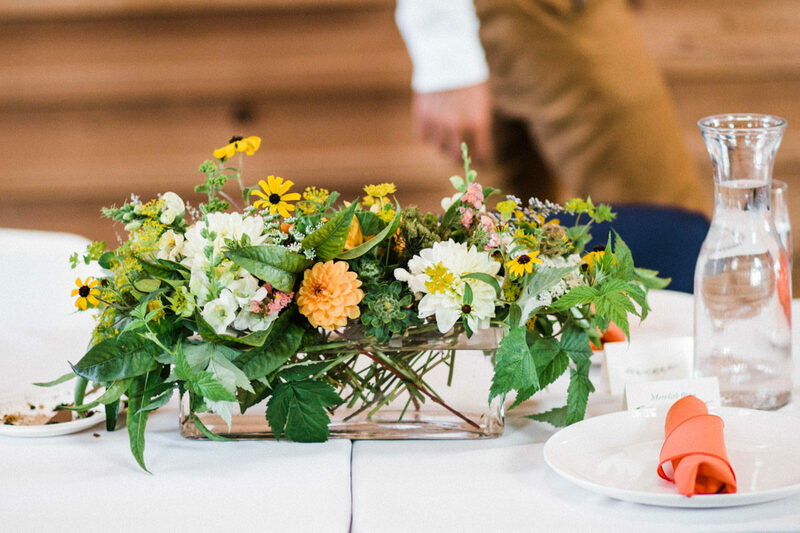 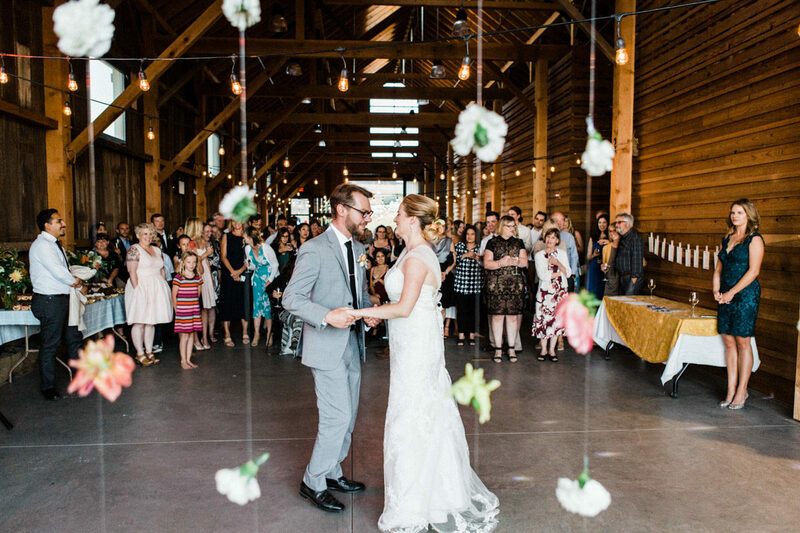 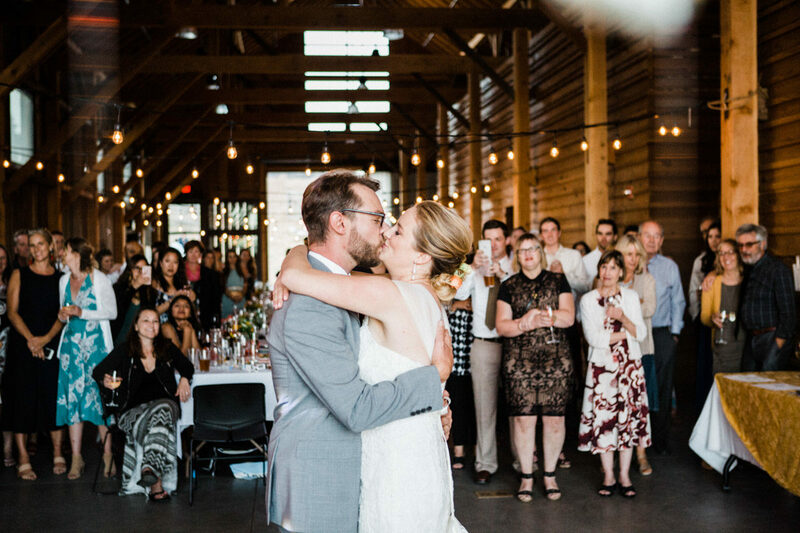 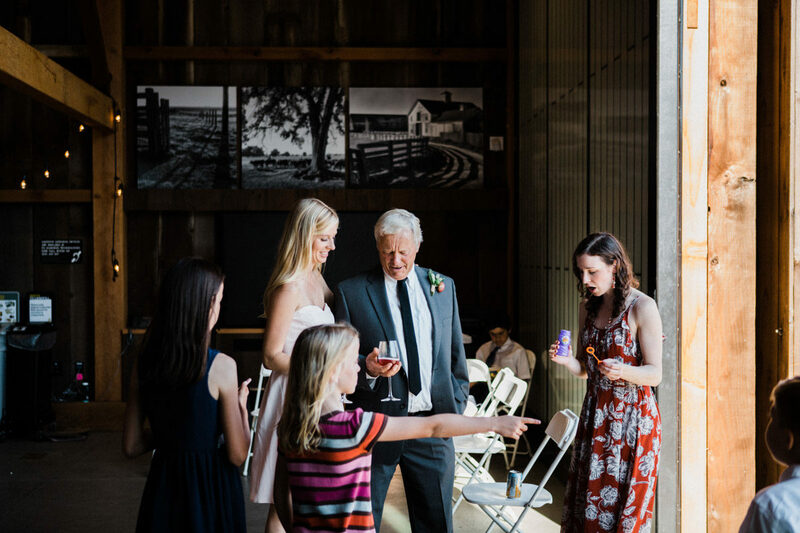 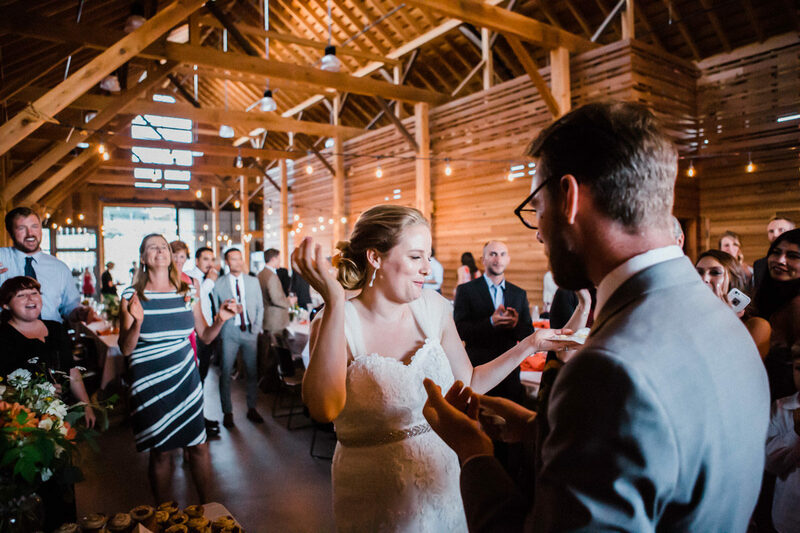 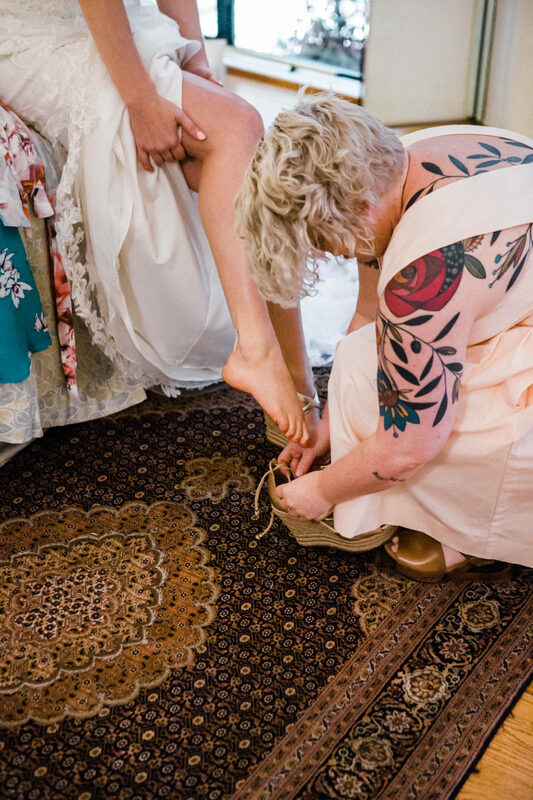 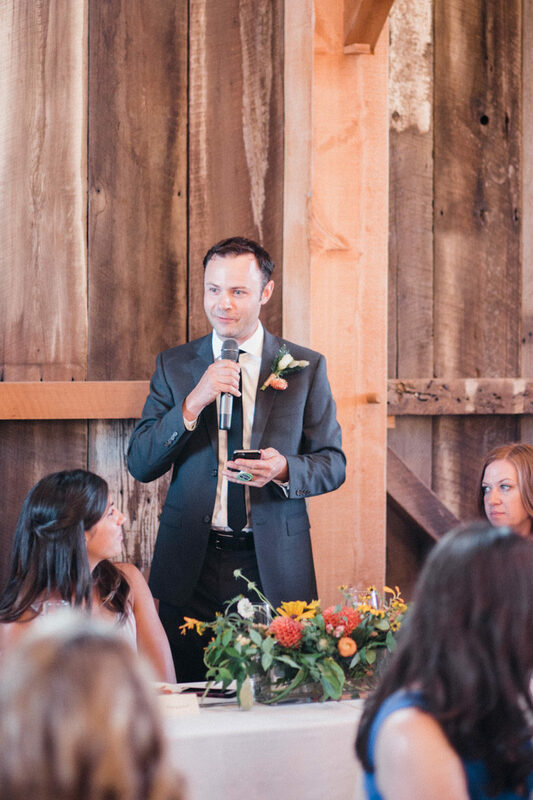 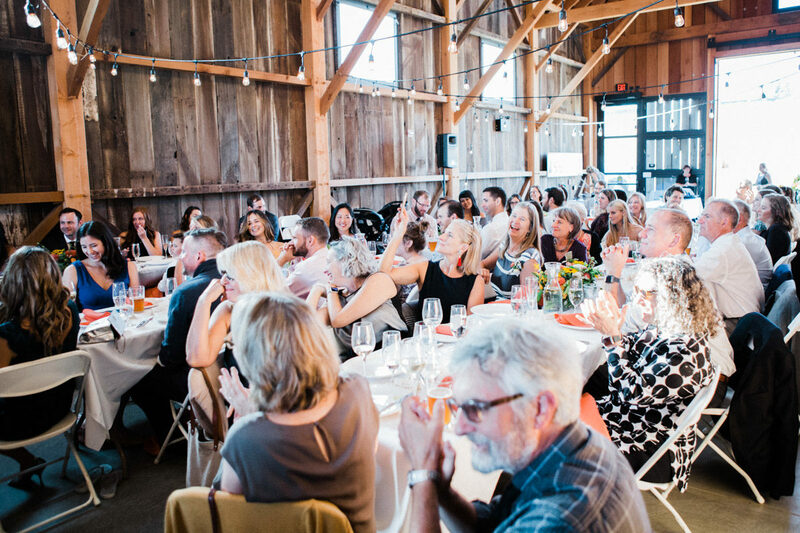 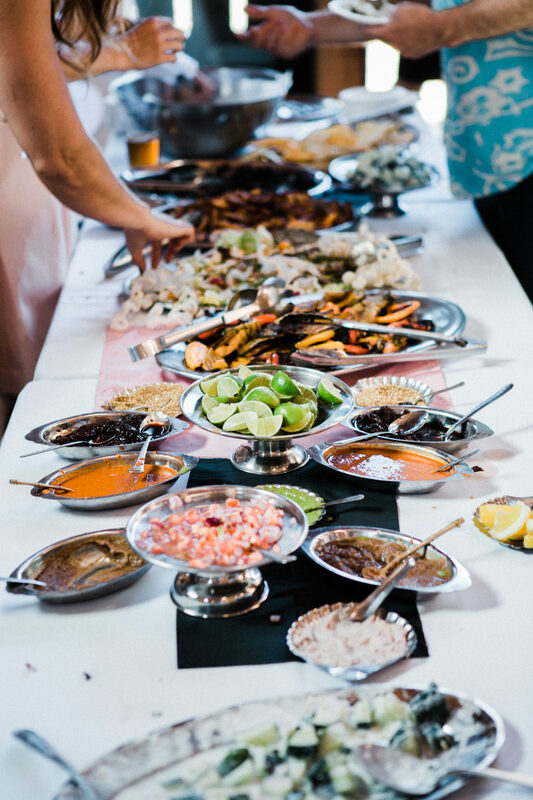 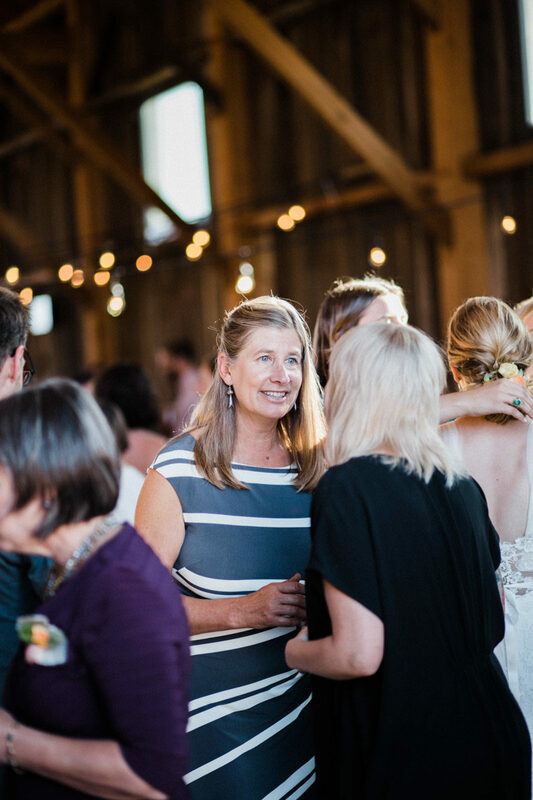 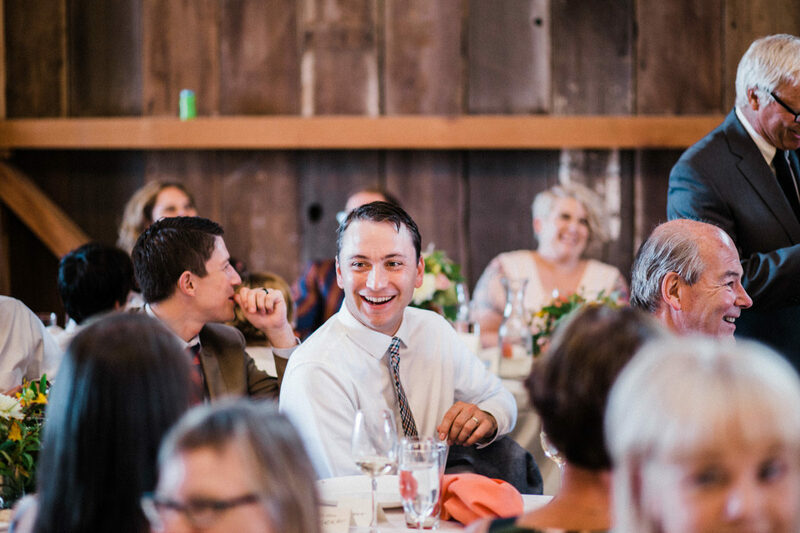 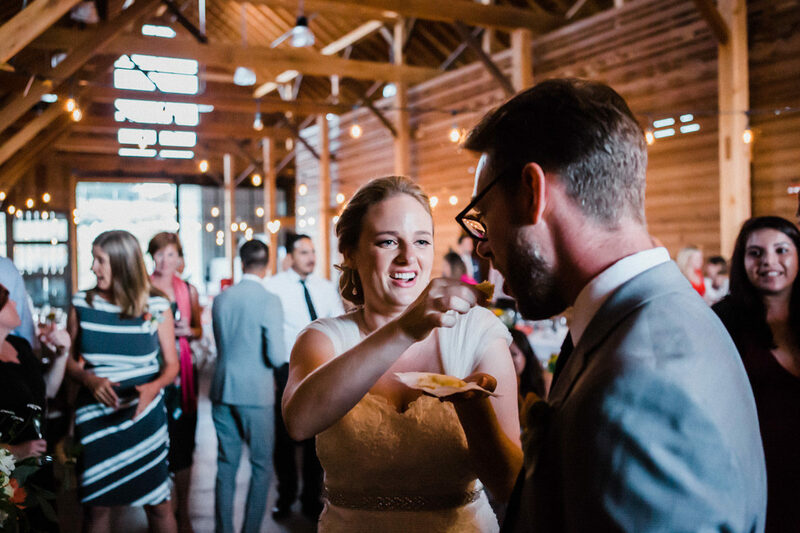 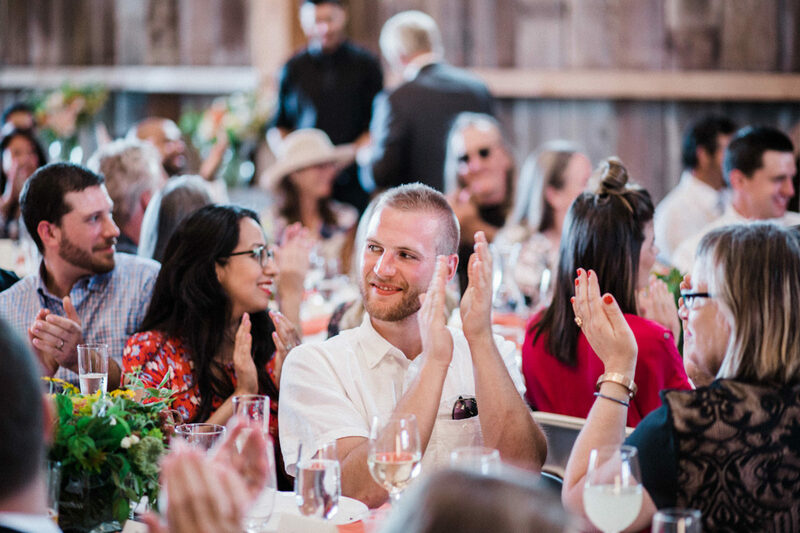 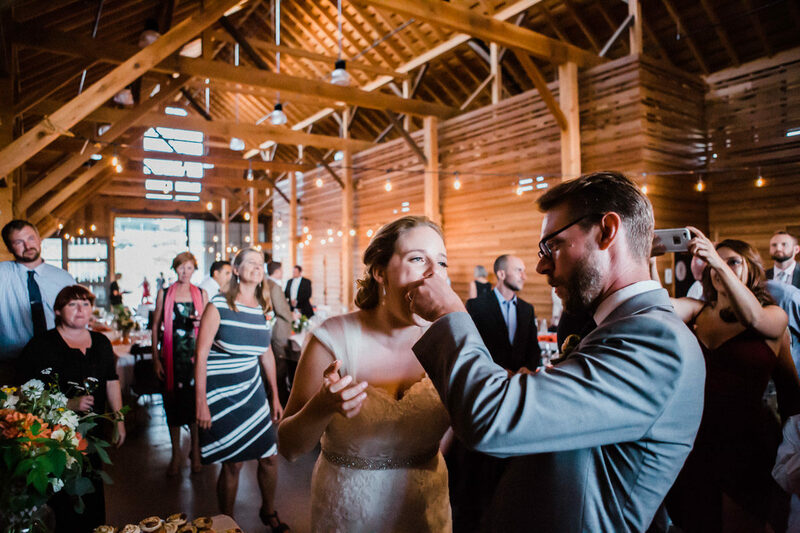 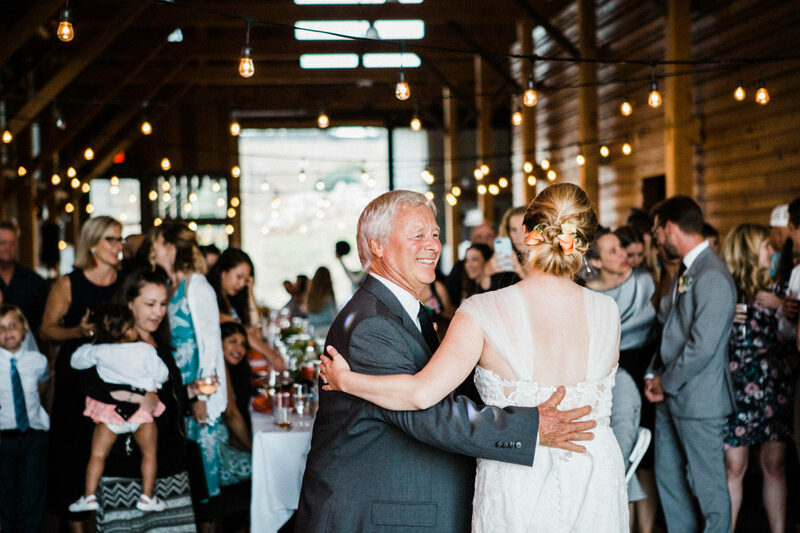 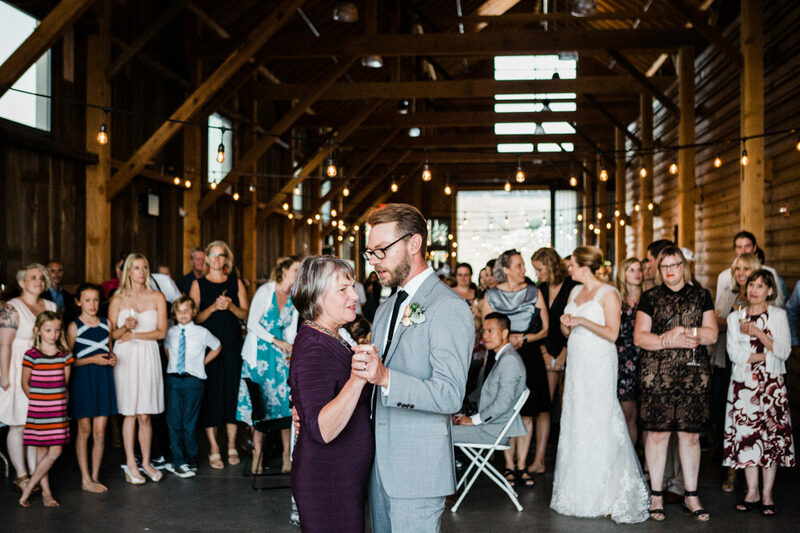 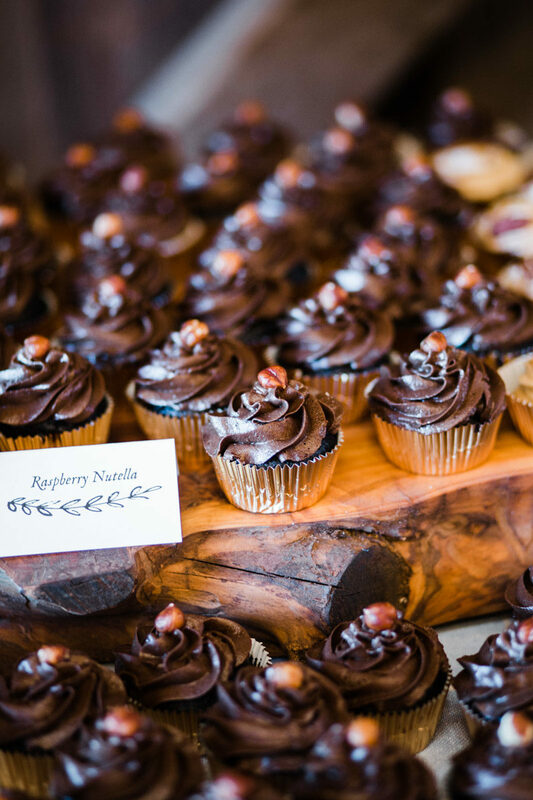 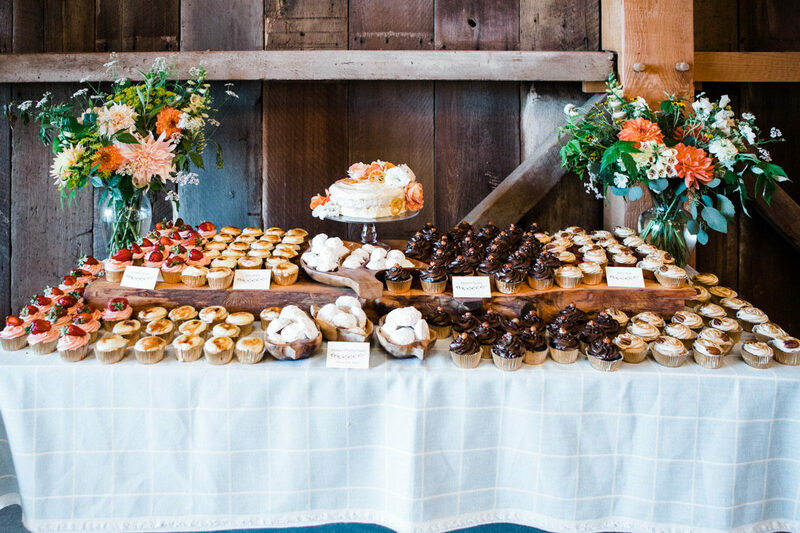 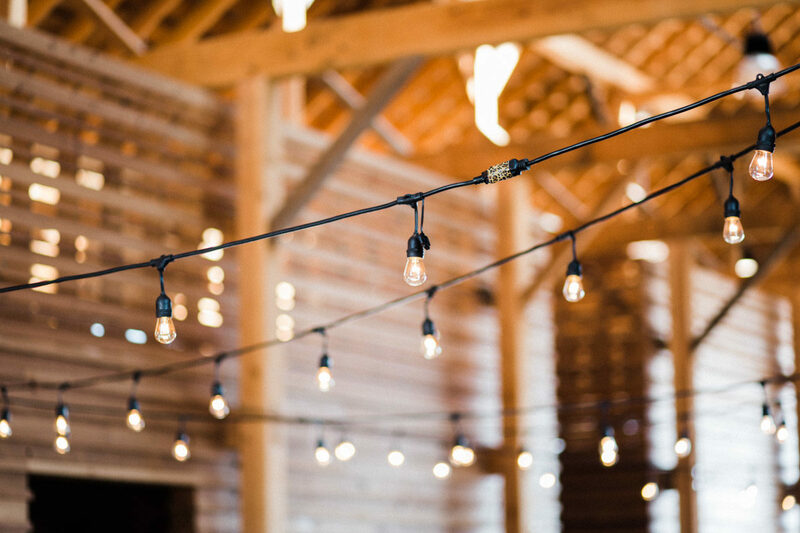 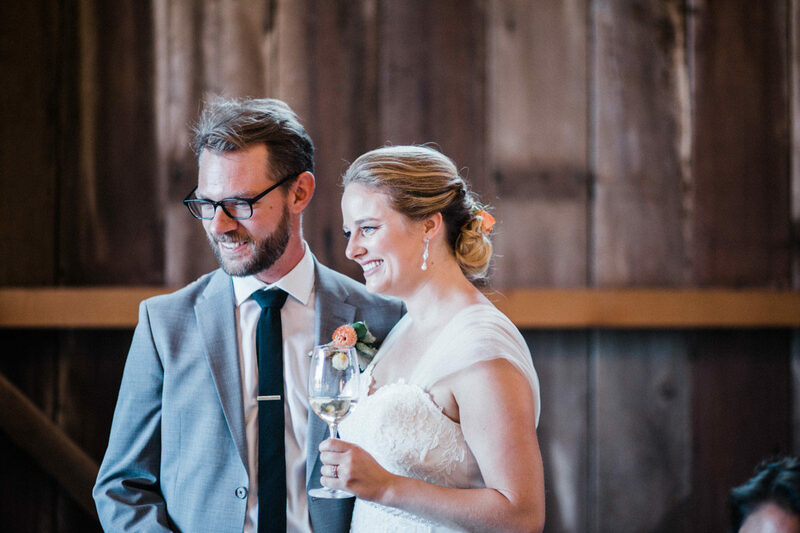 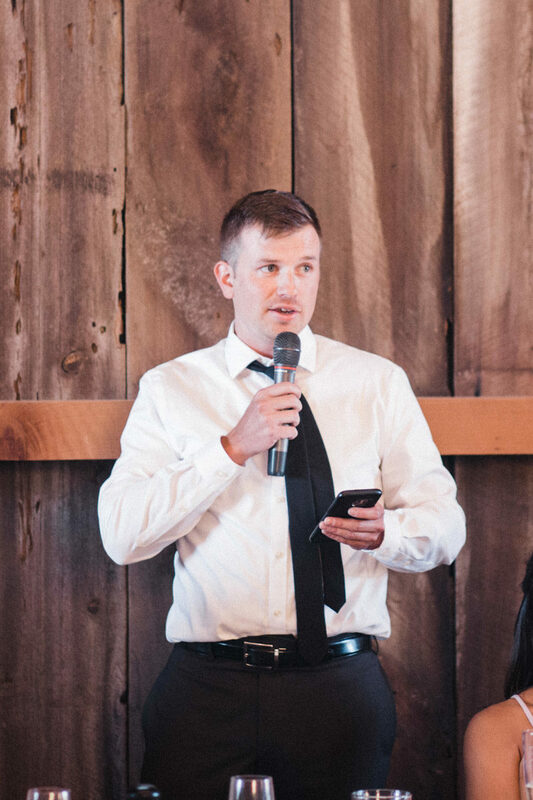 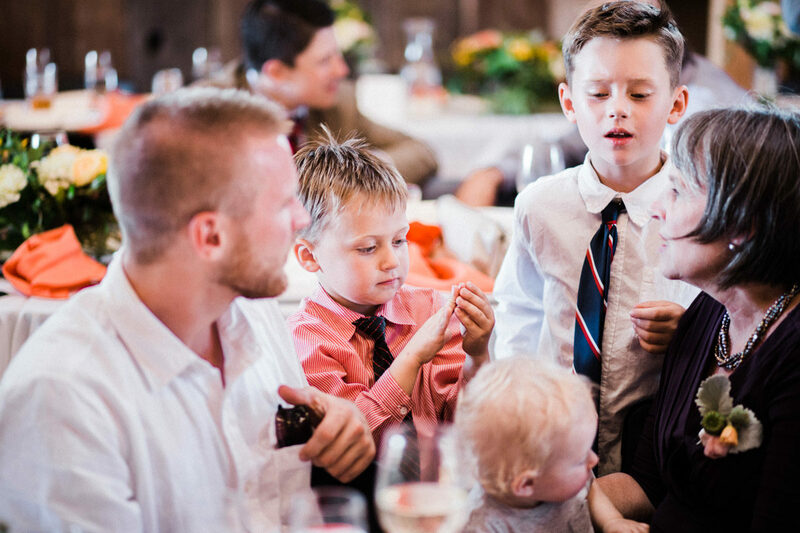 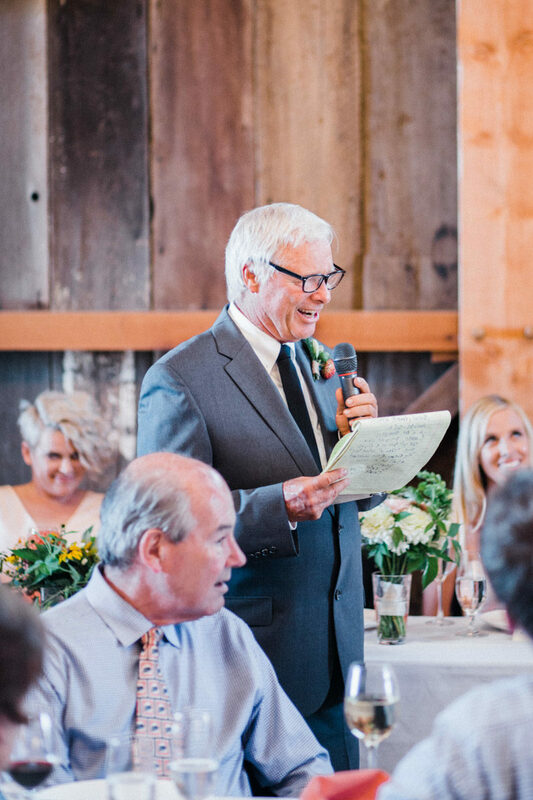 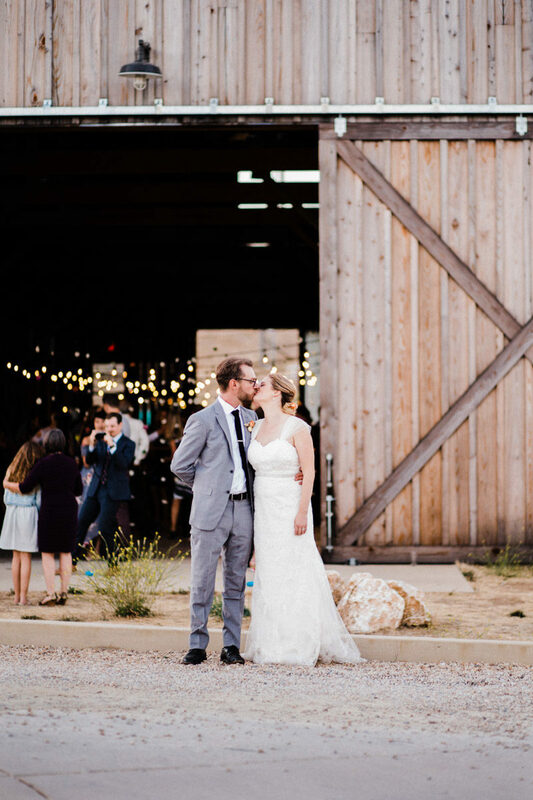 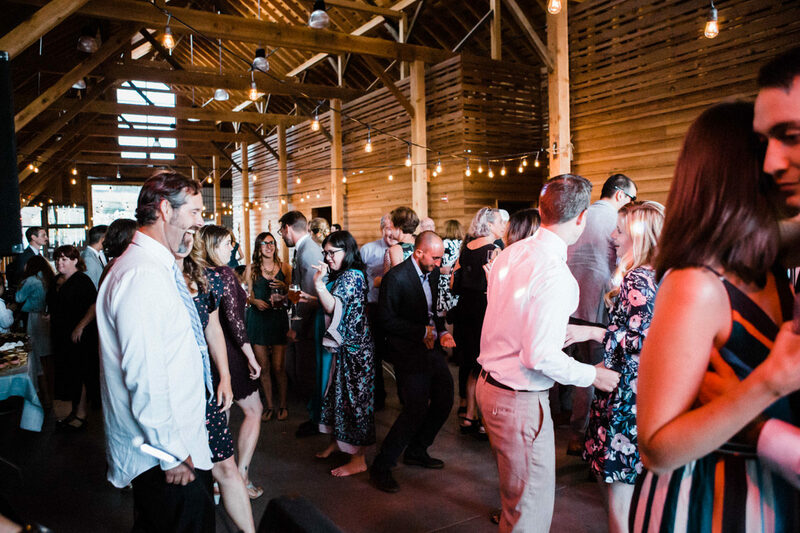 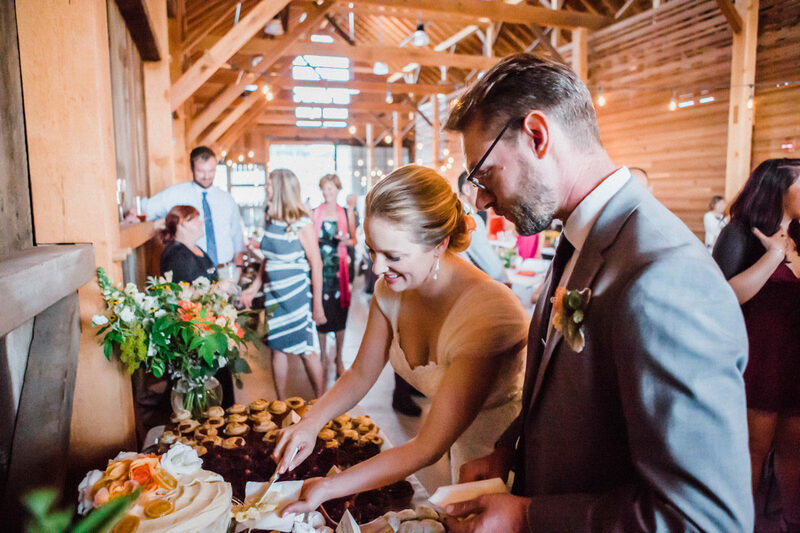 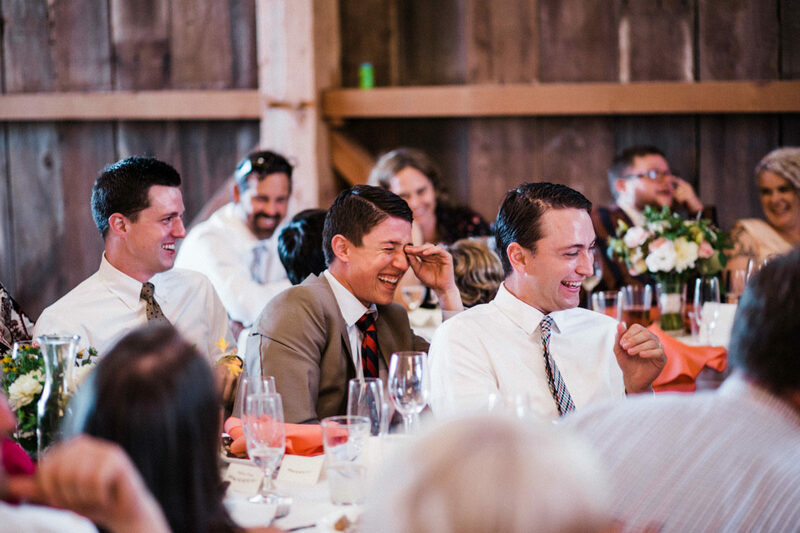 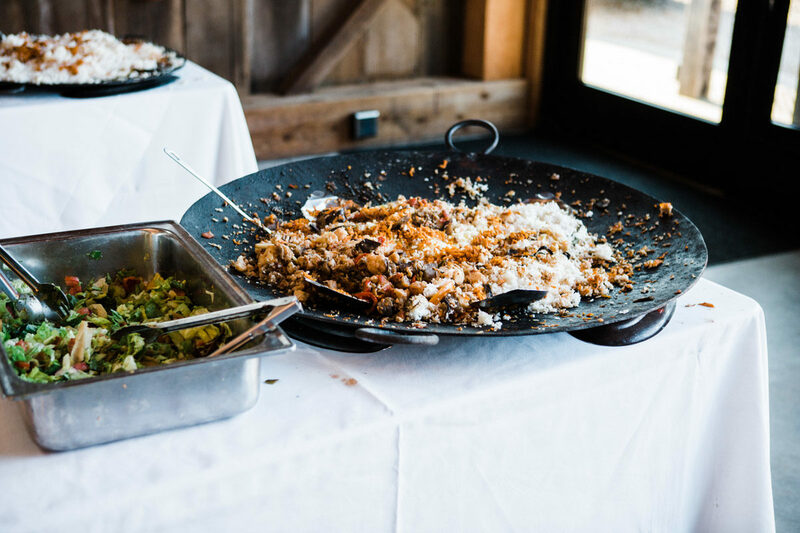 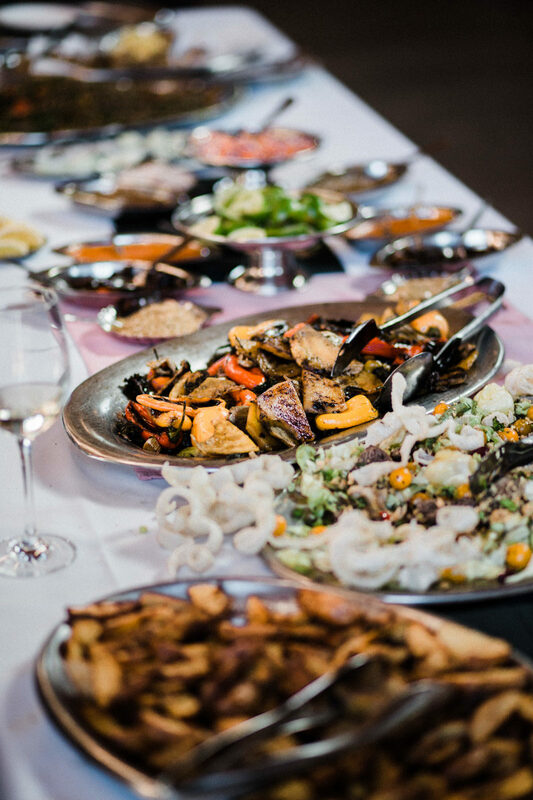 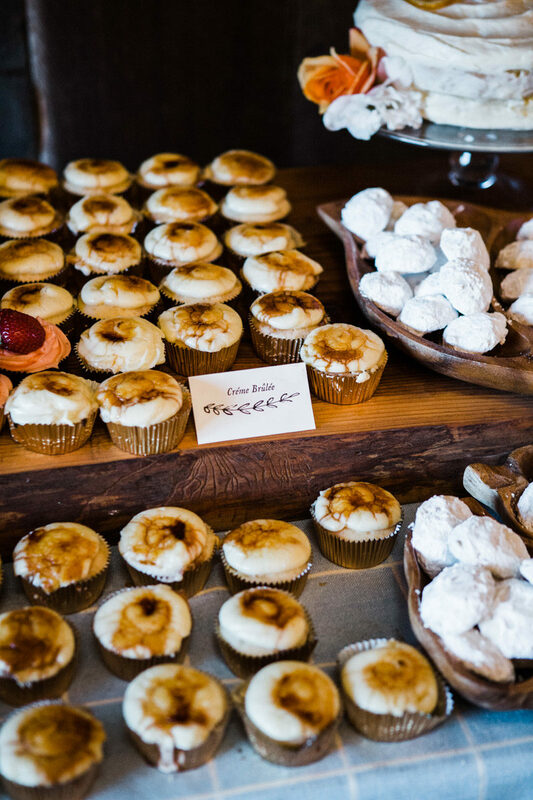 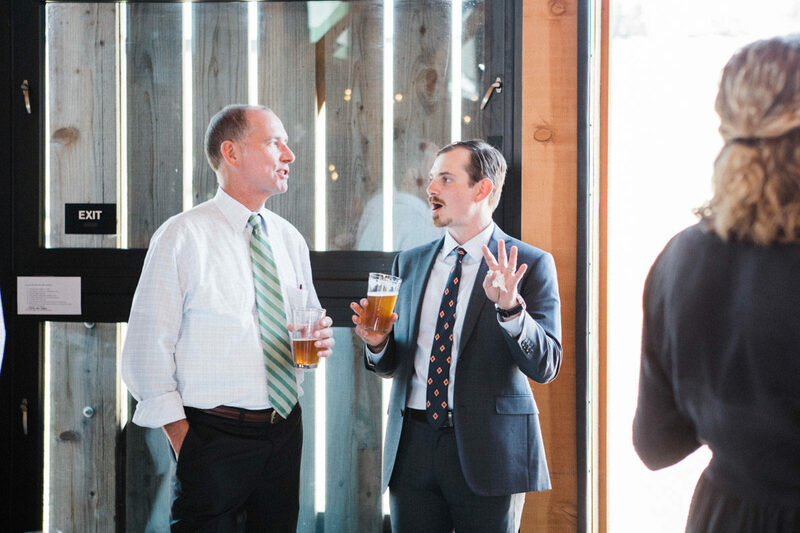 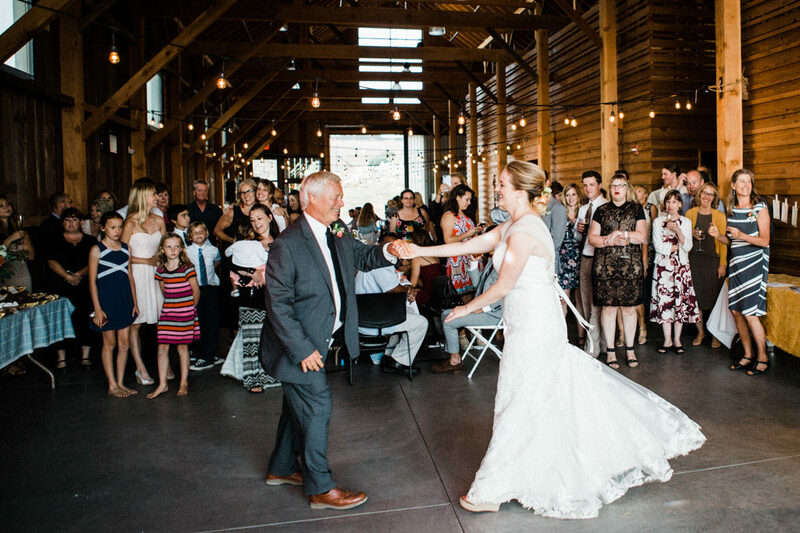 This particular wedding had a variety of awesome locations – forest, gardens, open fields with an ocean view, and a rustic hay barn. 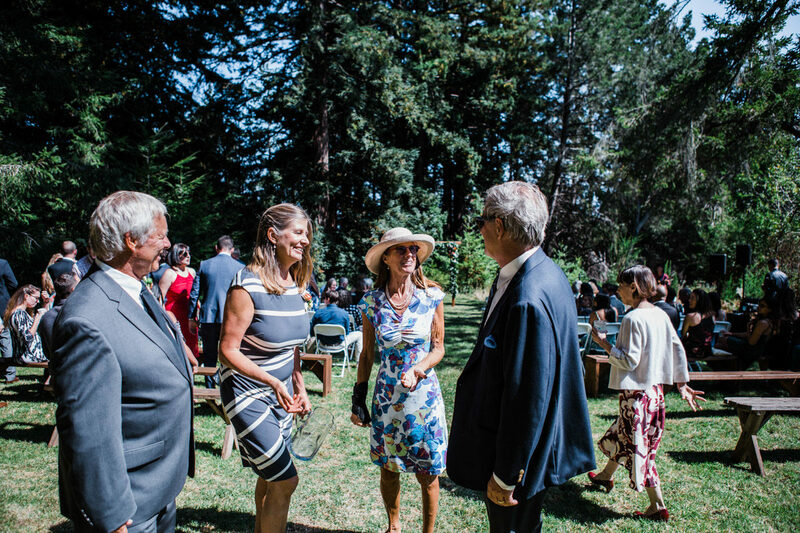 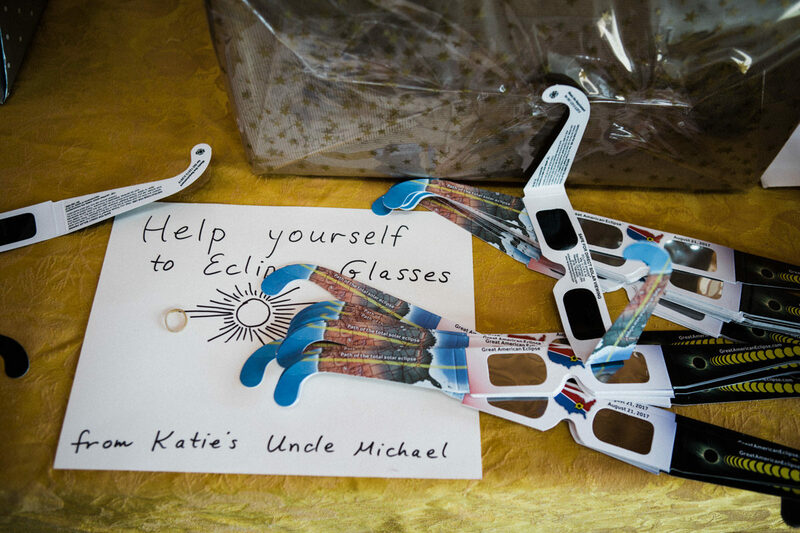 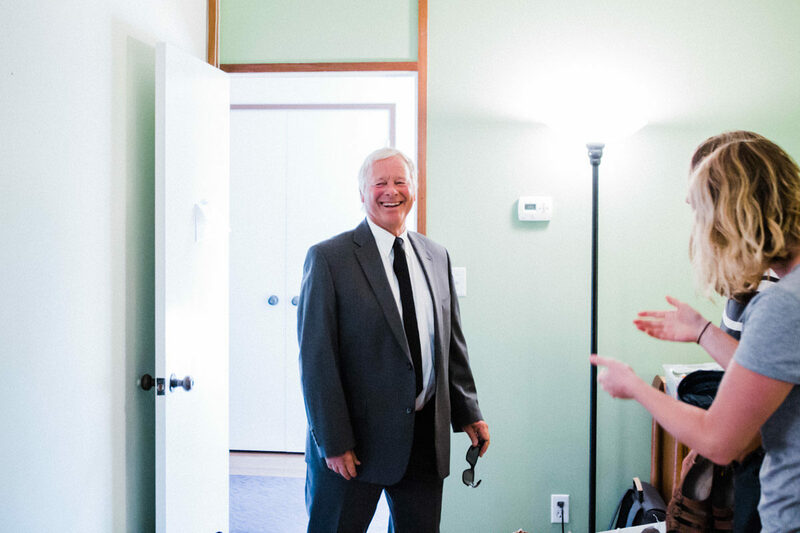 The day was warm and buzzing with energy as people buzzed around in final preparations for the ceremony. 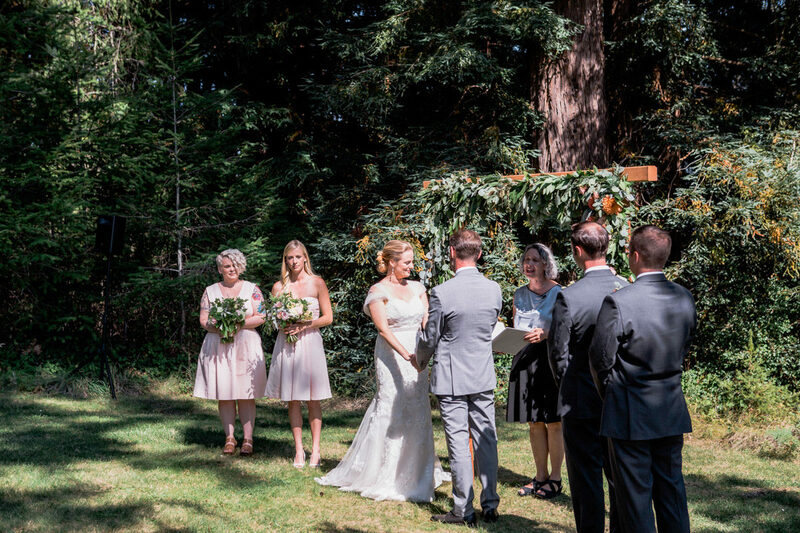 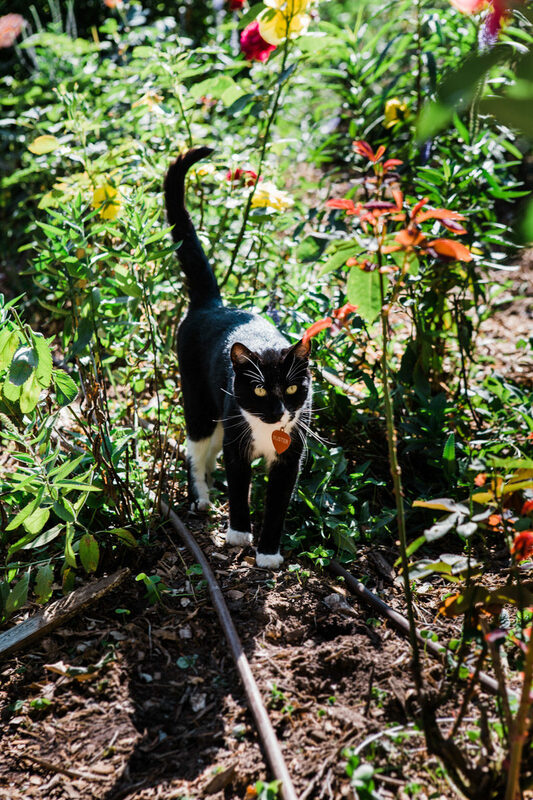 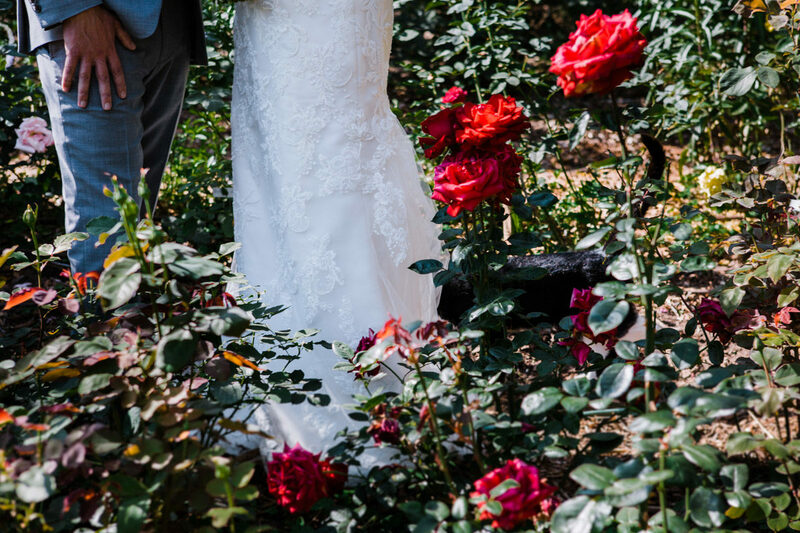 Resident garden cats in attendance, along with 120 of their closest friends and family the two said their vows in a tree lined sprawling lawn. 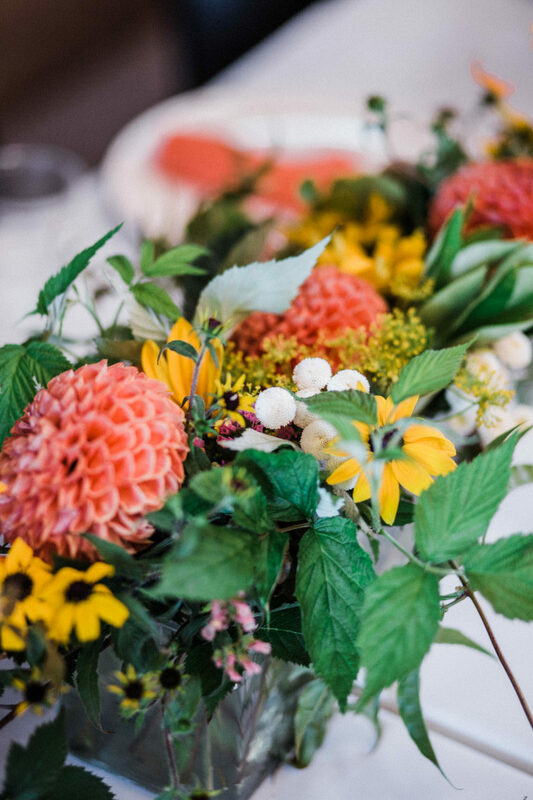 Right next to the ceremony was a huge collection of flowers, including Dahlias (fav! 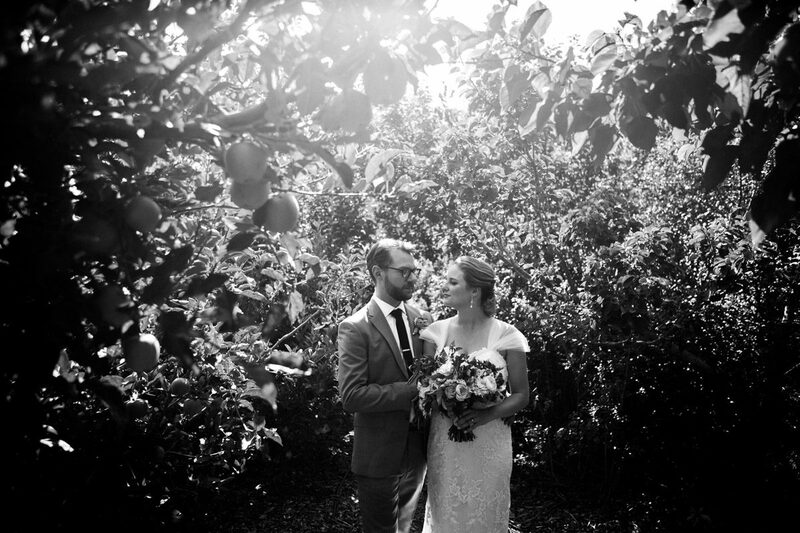 ), and even a mini apple orchard, so cool. 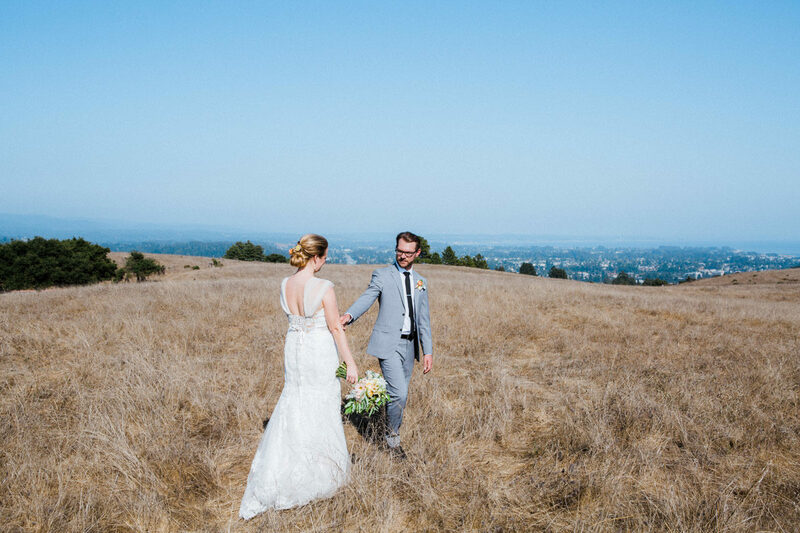 On the way to the reception we found an ocean breeze in the large fields that surround the campus. 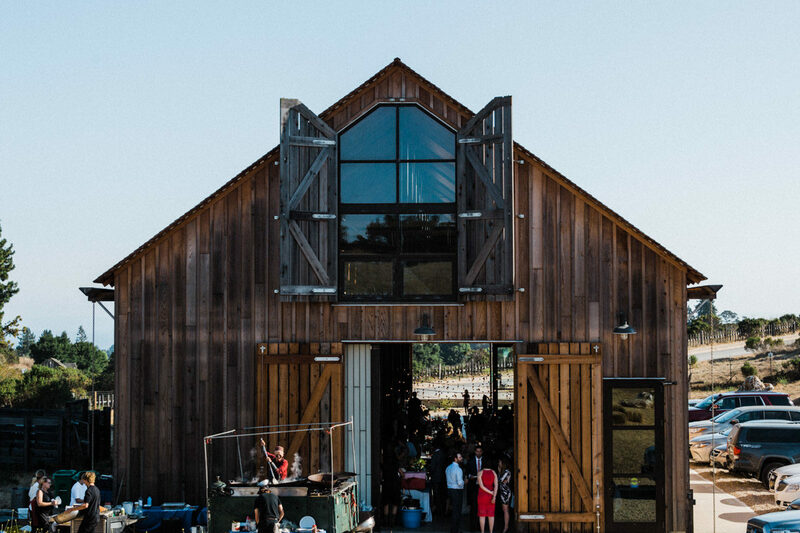 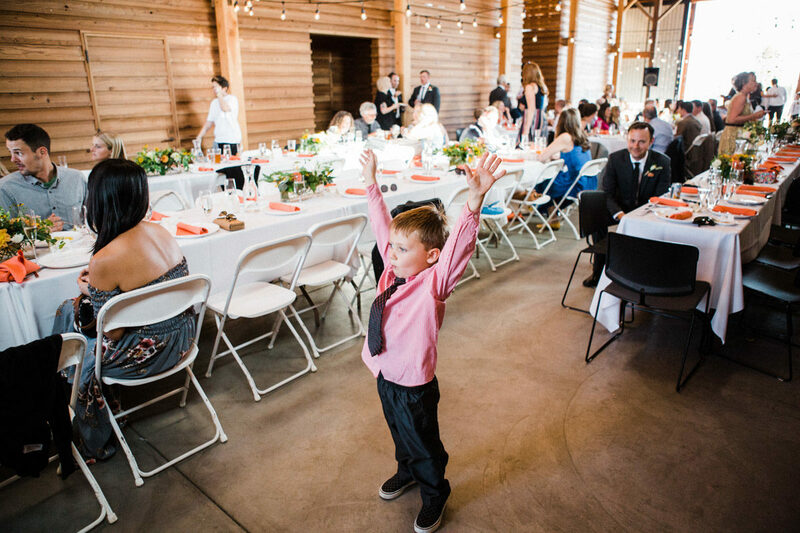 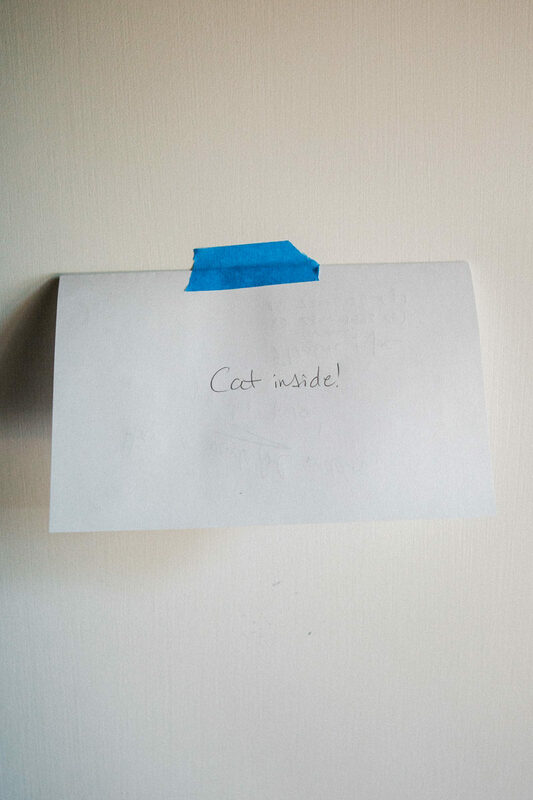 The hay barn had been recently remodeled and opened, and it was pretty spectacular. 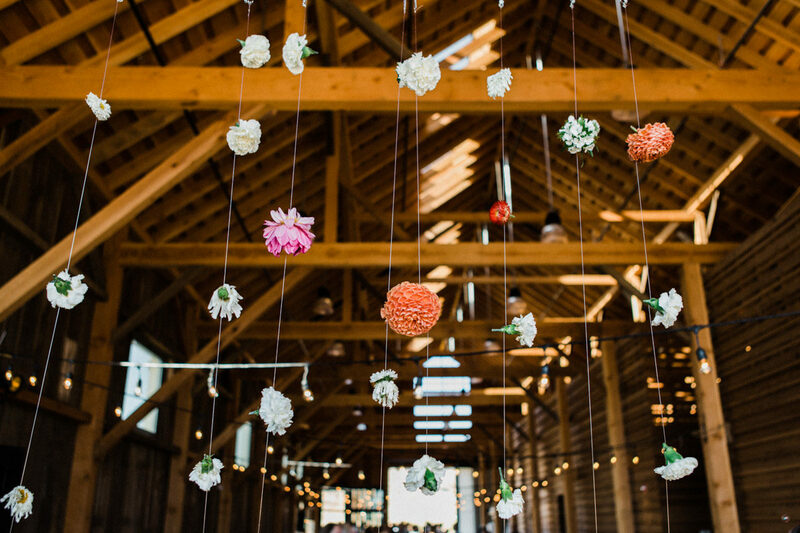 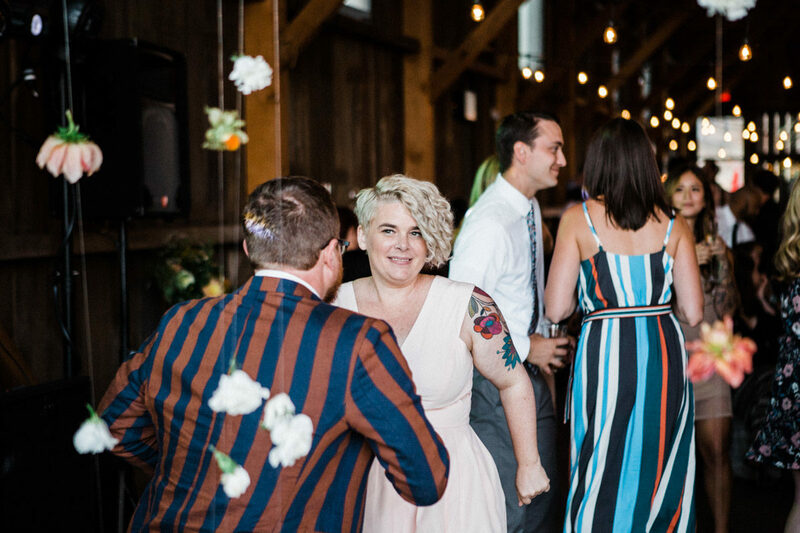 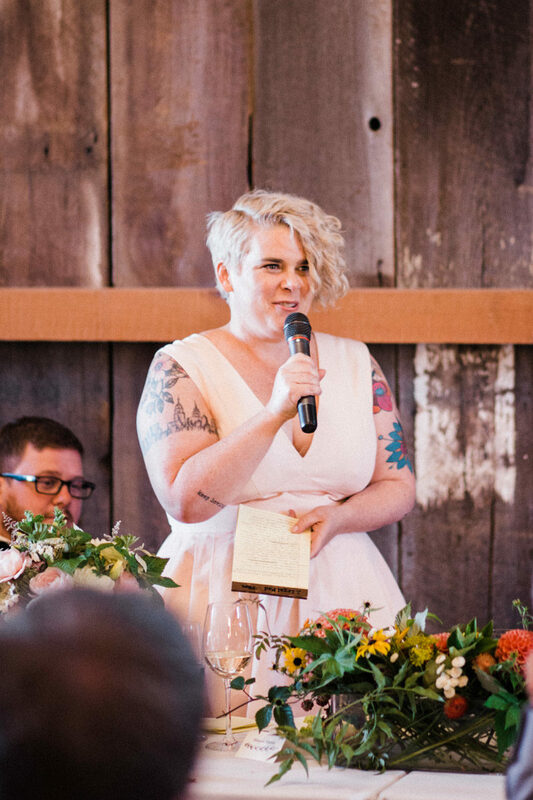 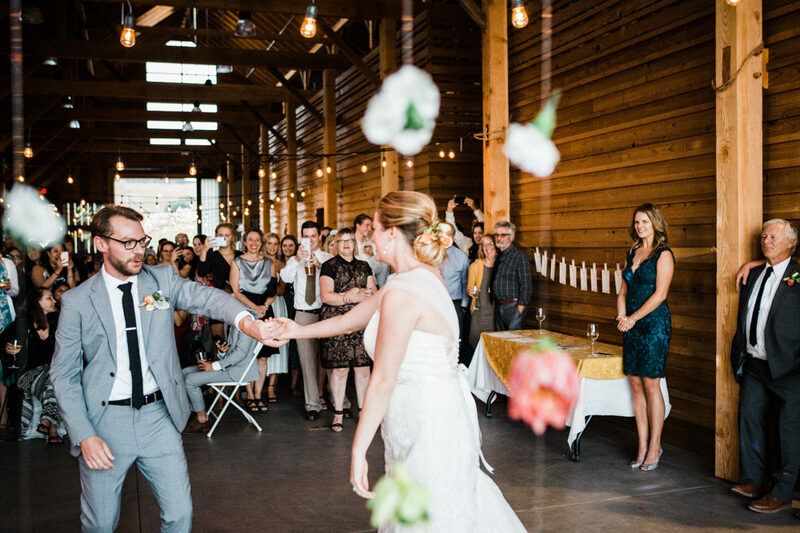 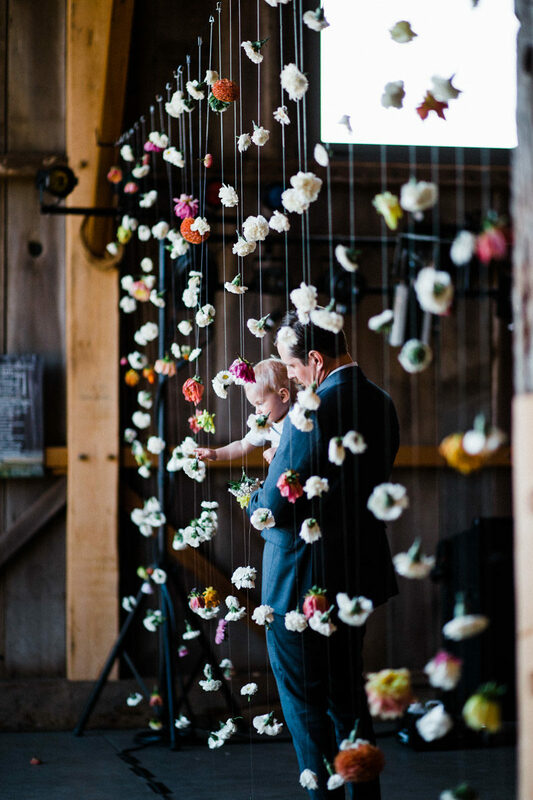 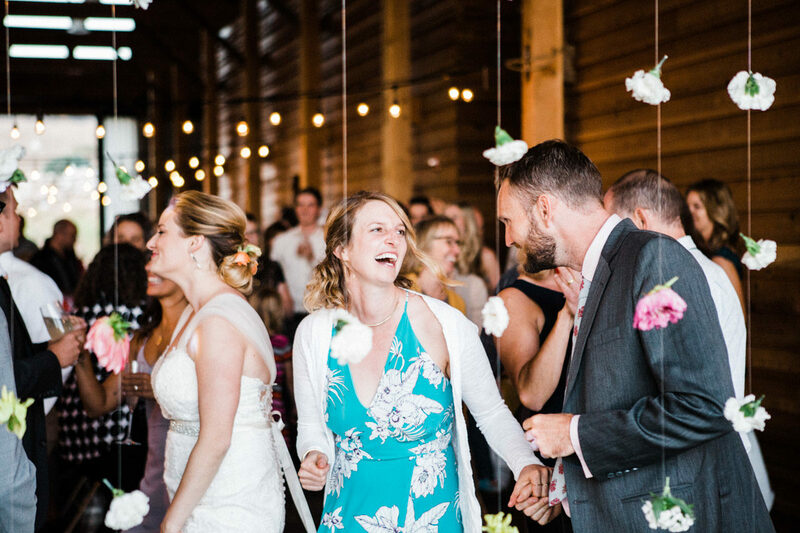 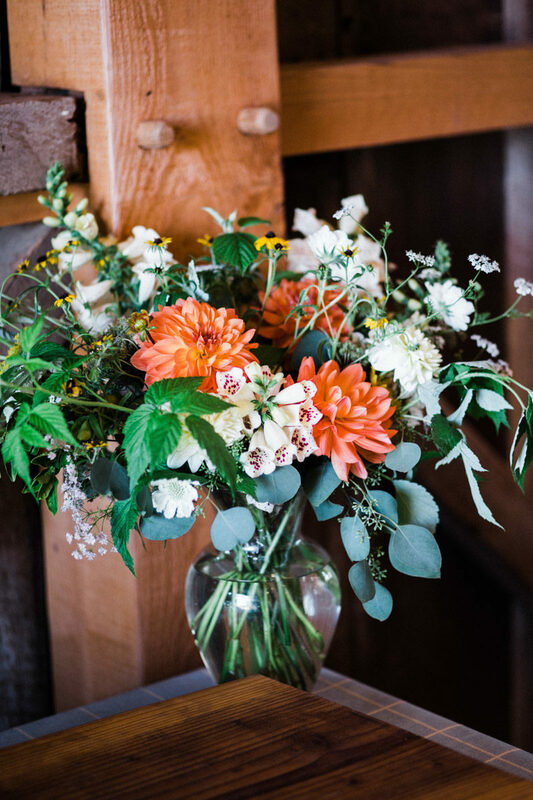 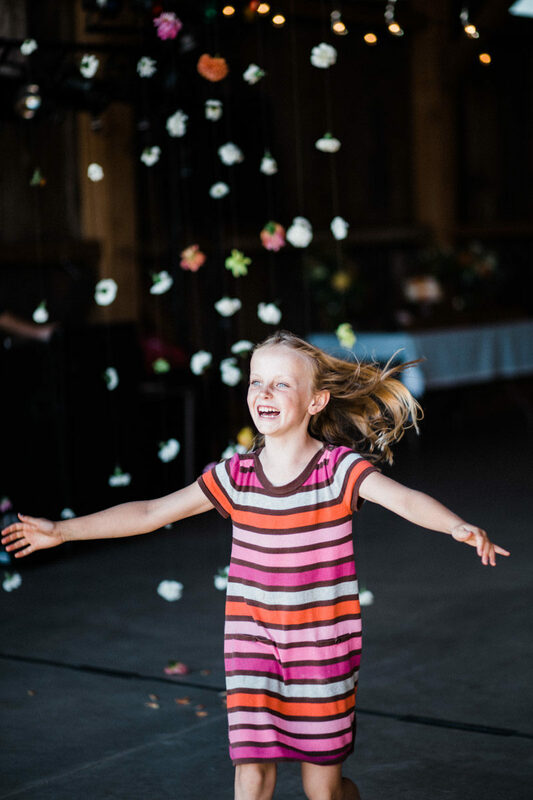 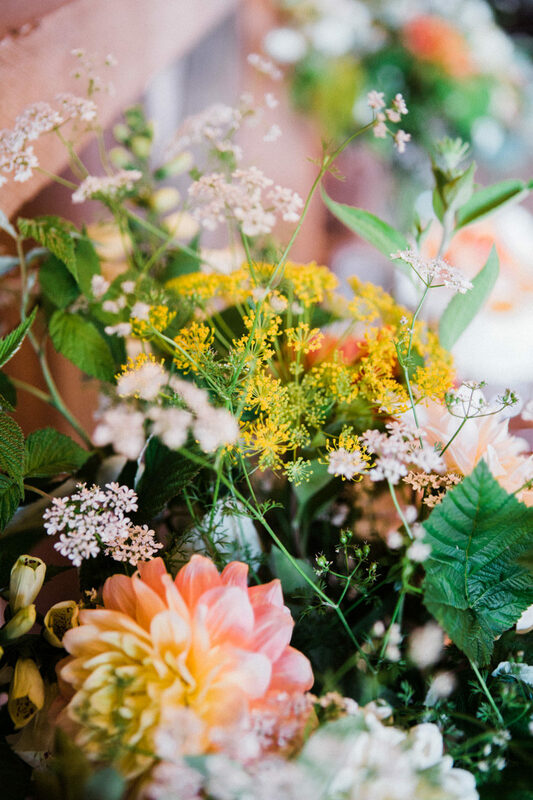 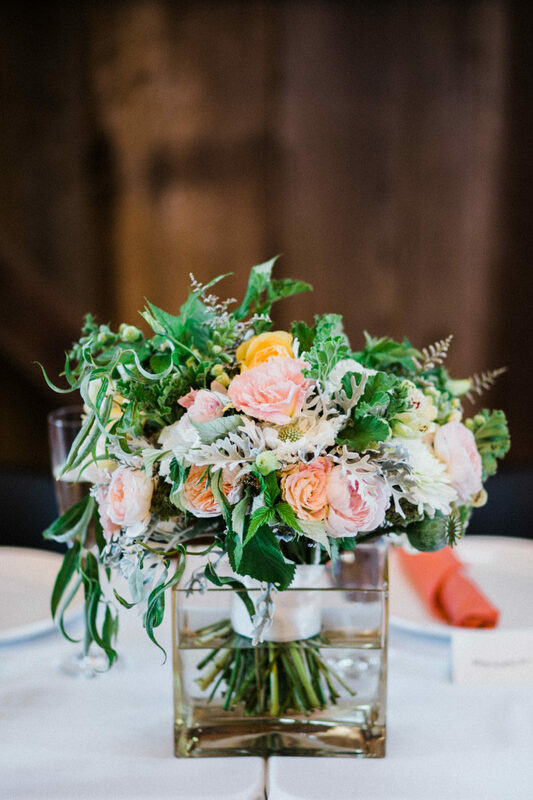 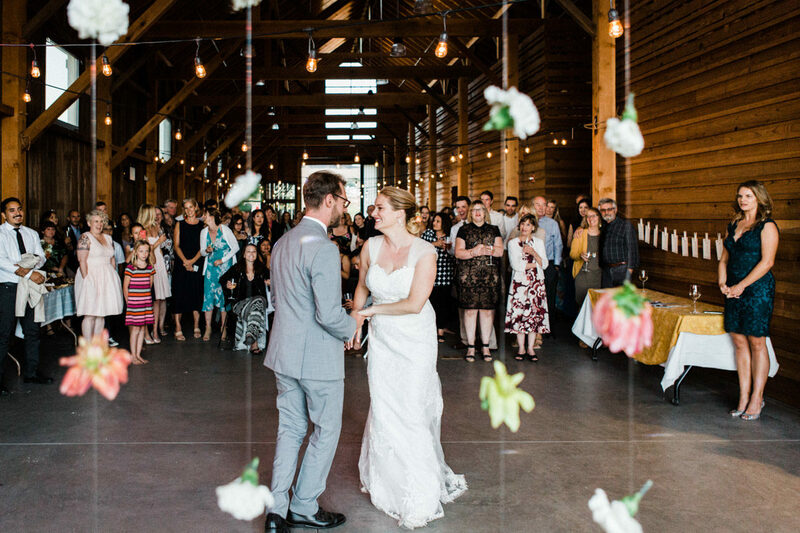 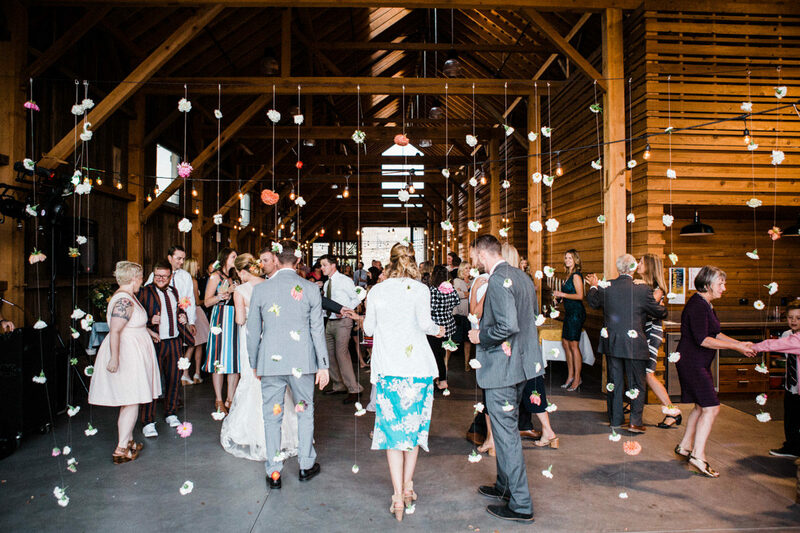 Katie’s sister at Wild Moon Flowers did all the fantastic florals, and even made a custom flower curtain for the barn entrance.